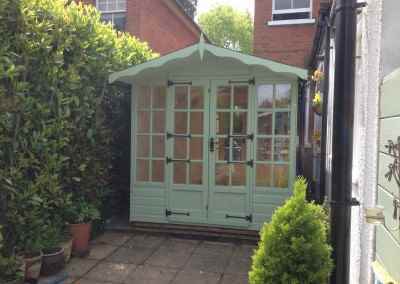 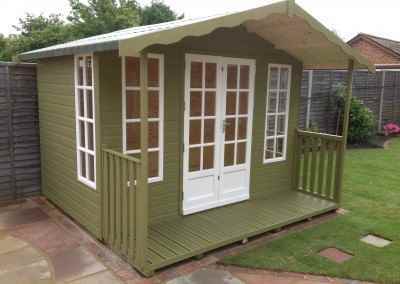 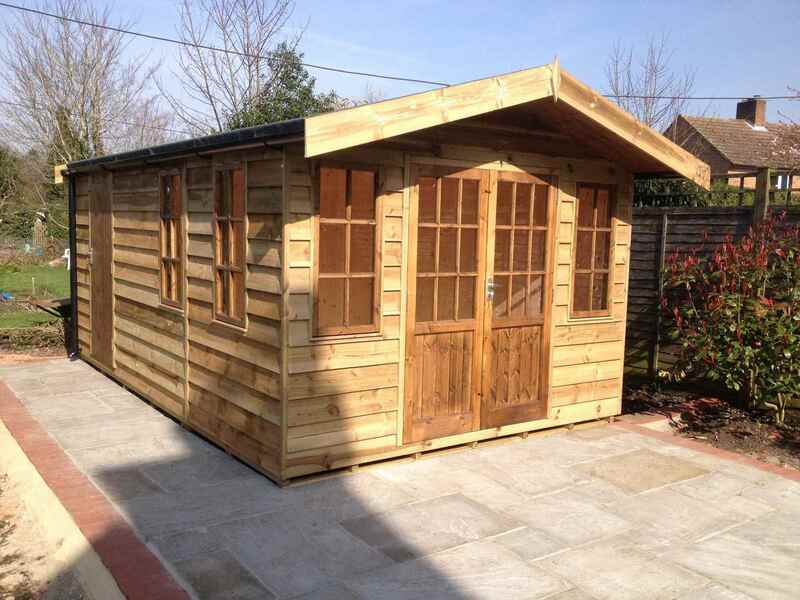 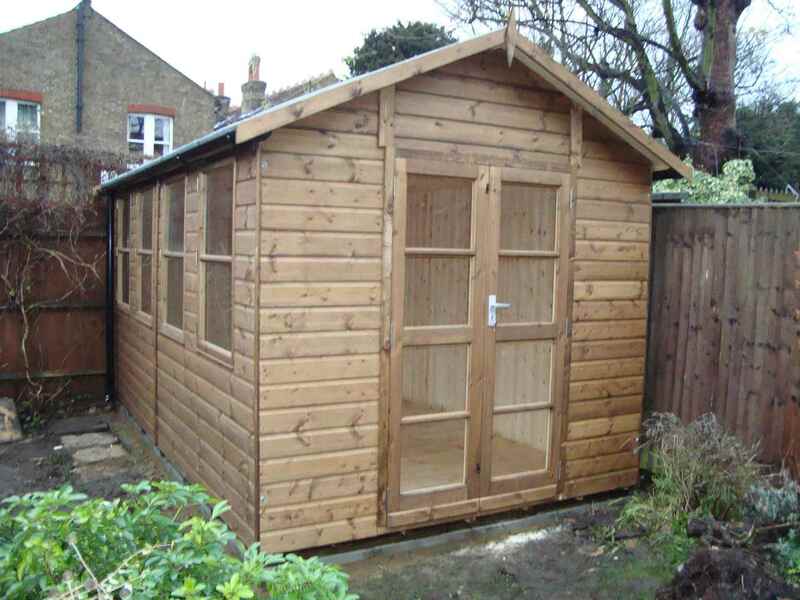 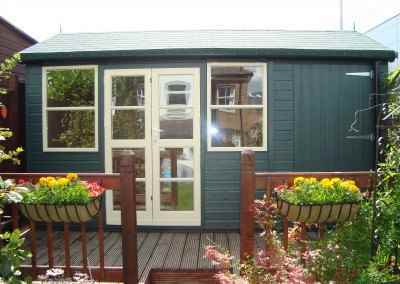 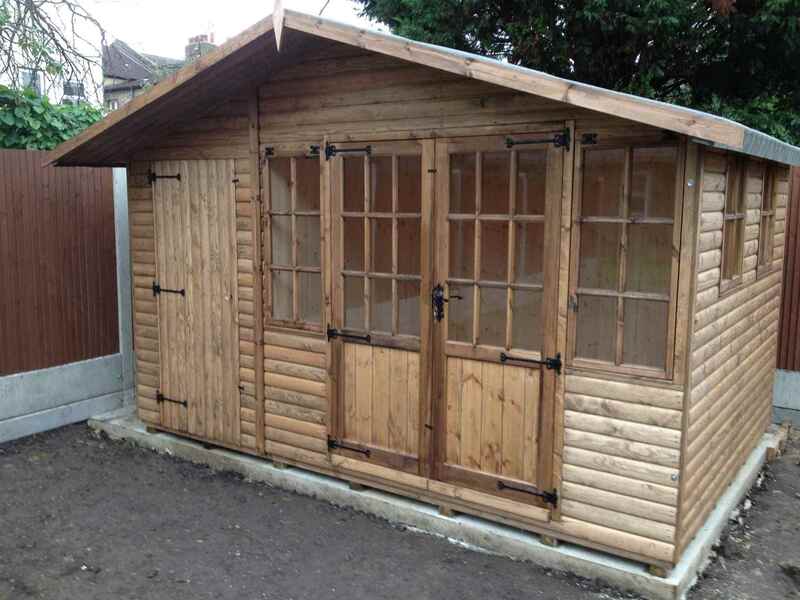 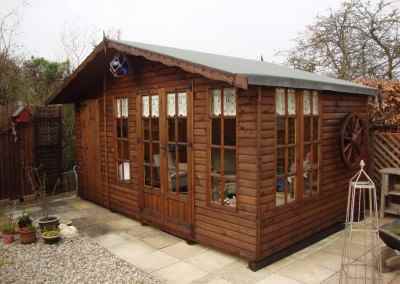 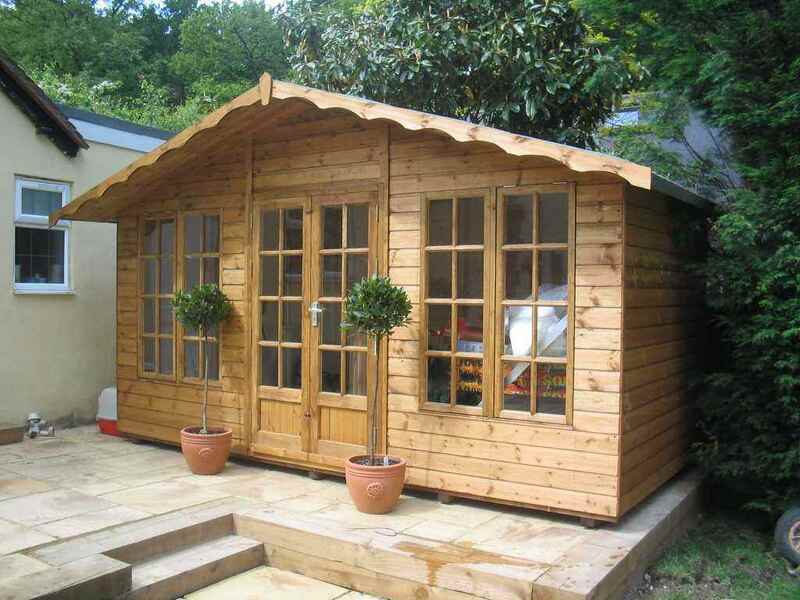 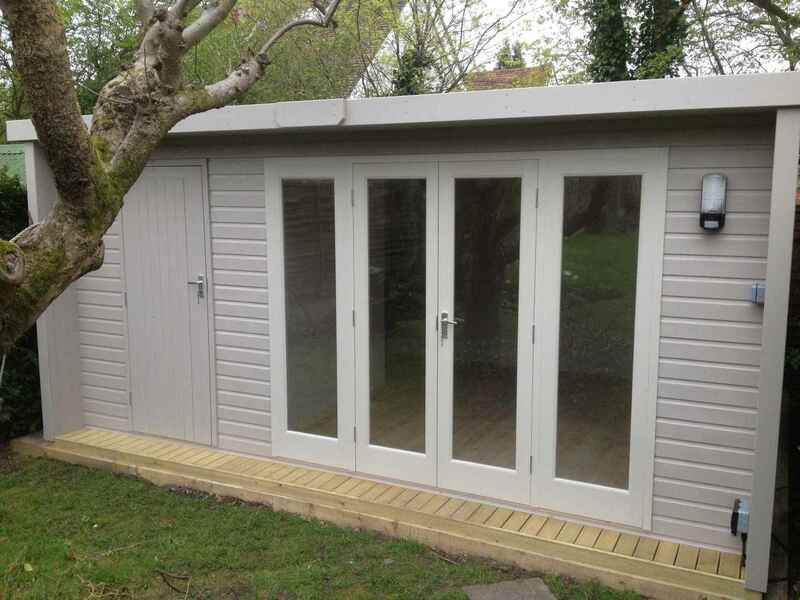 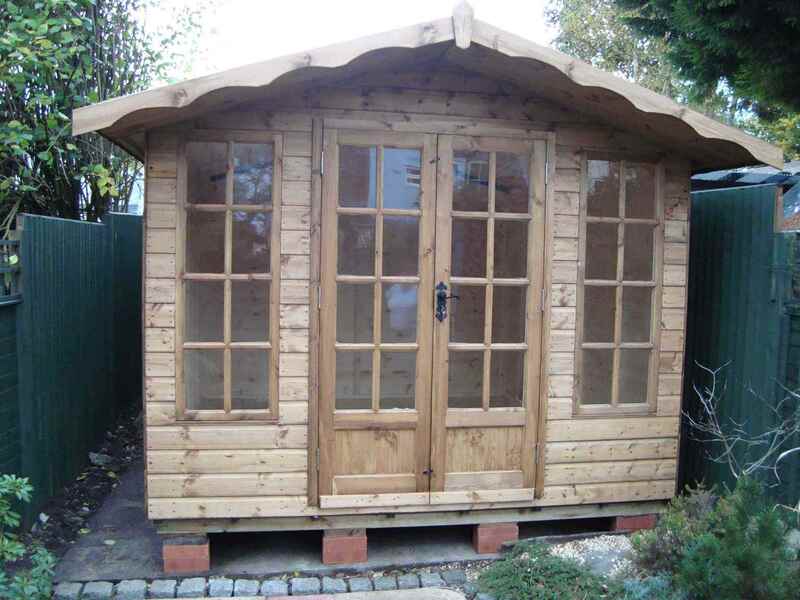 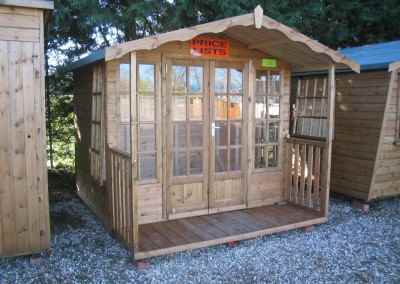 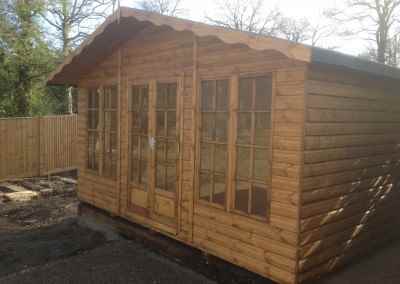 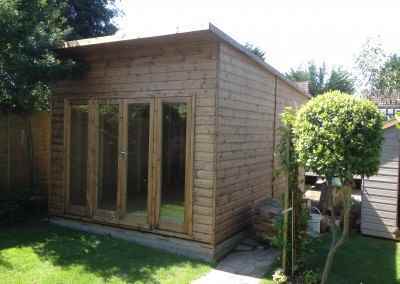 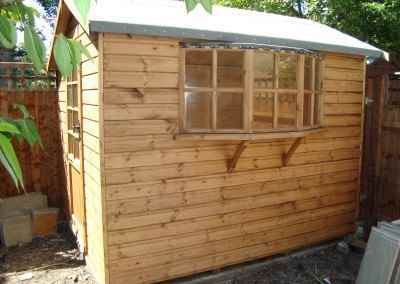 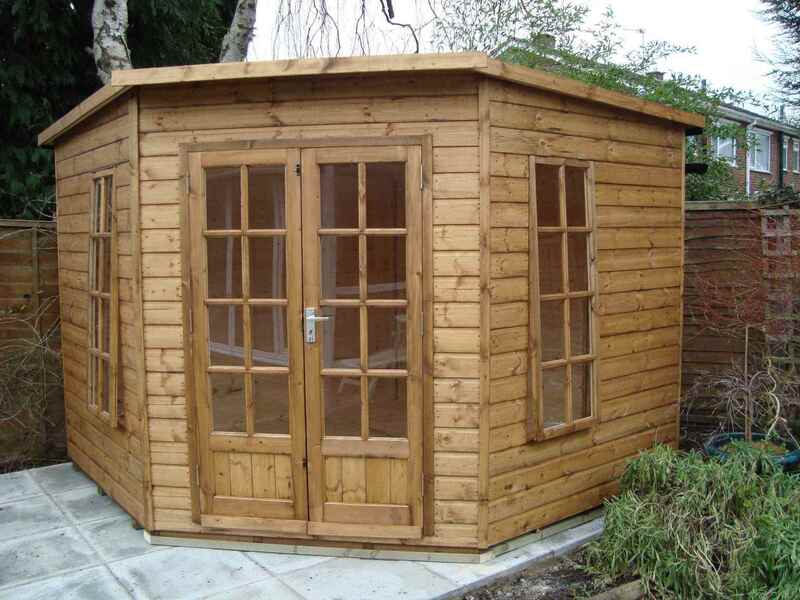 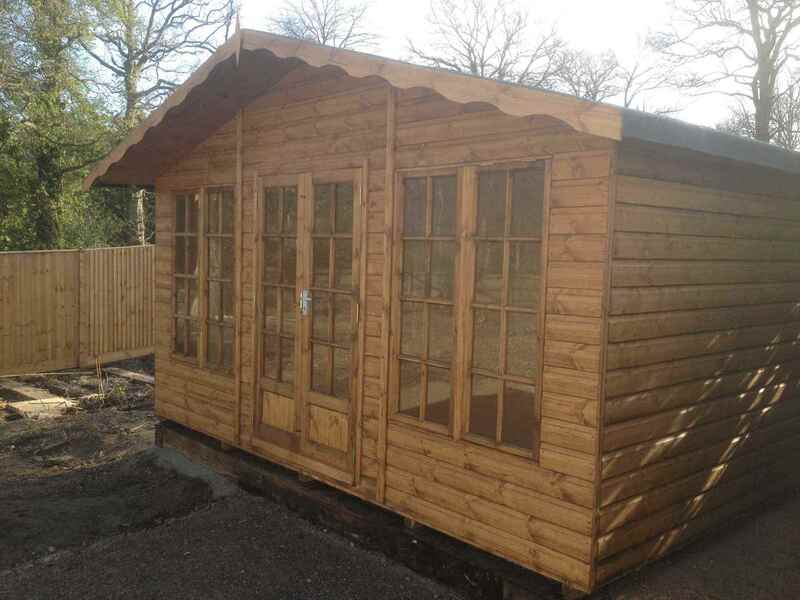 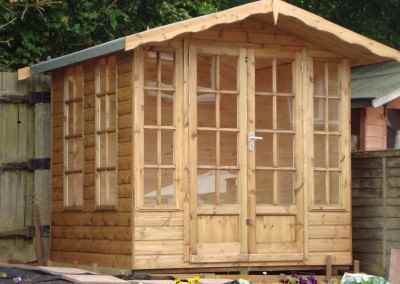 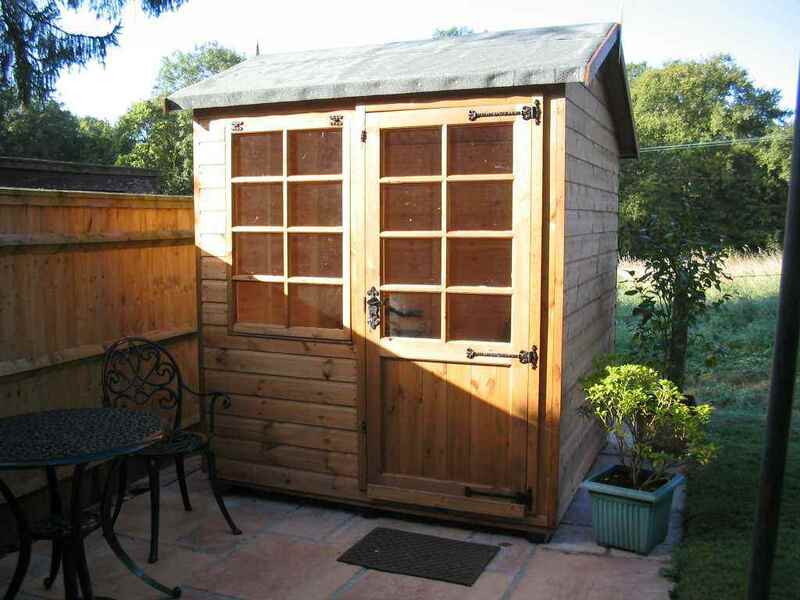 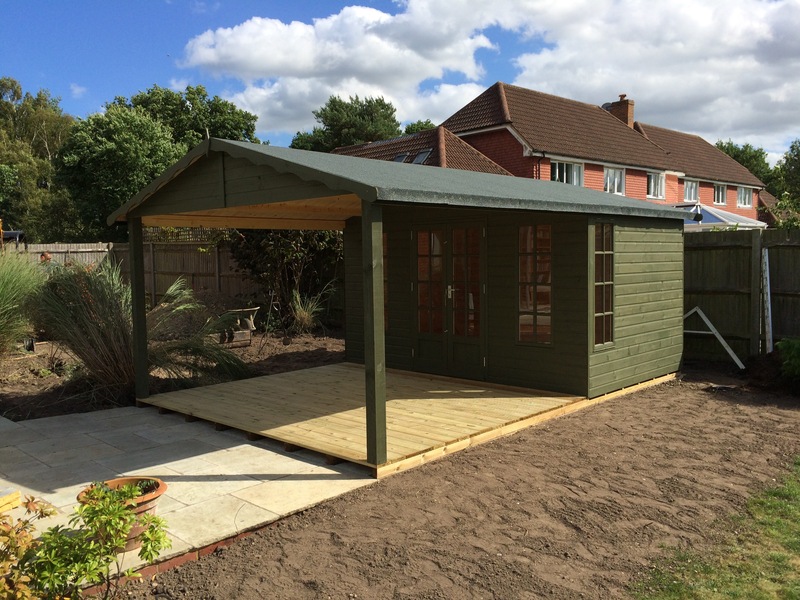 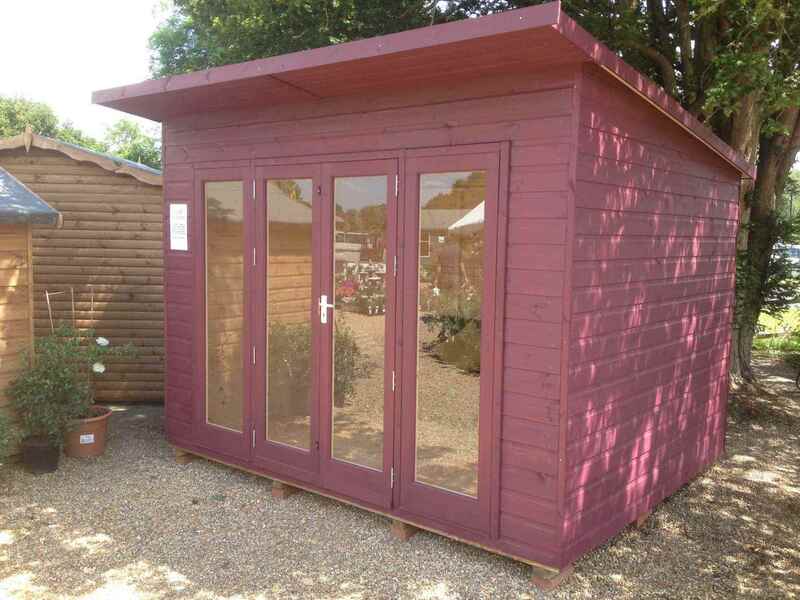 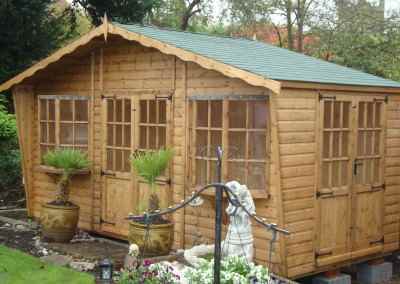 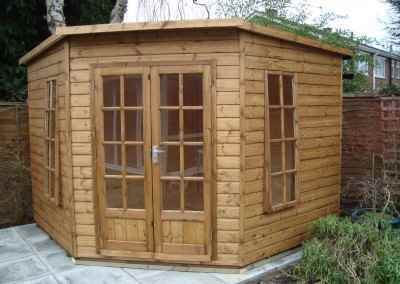 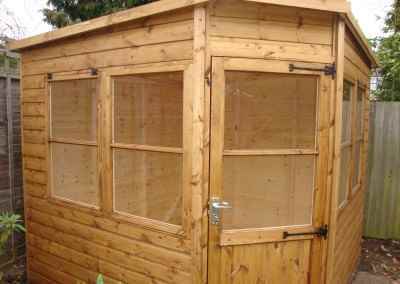 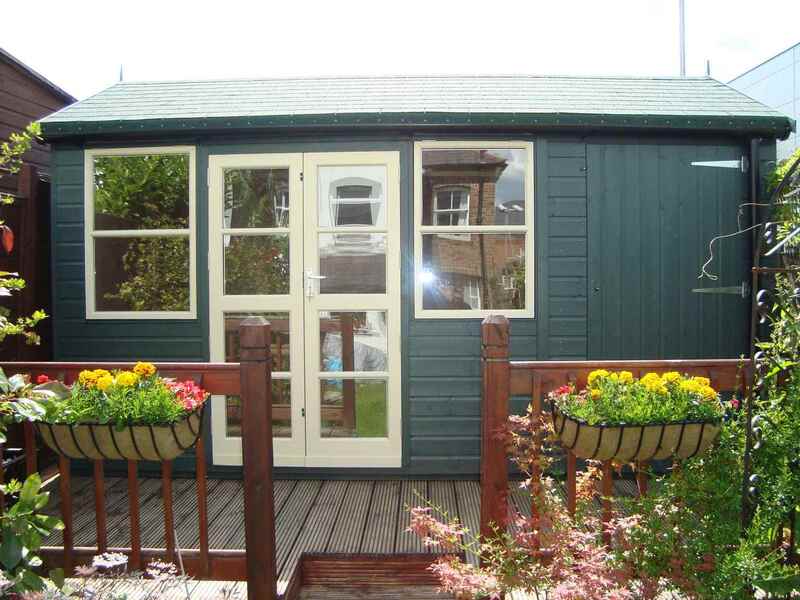 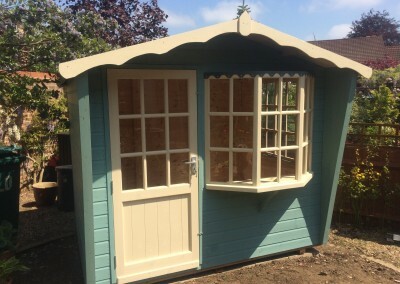 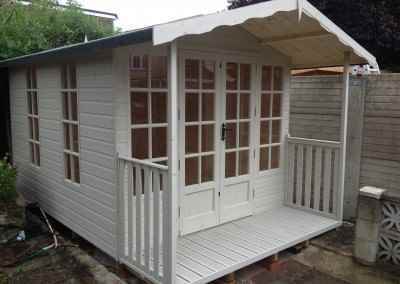 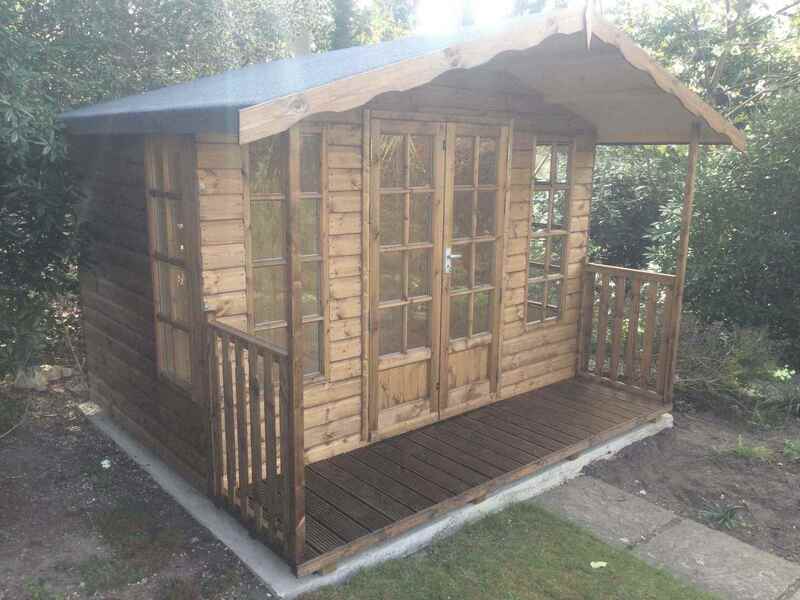 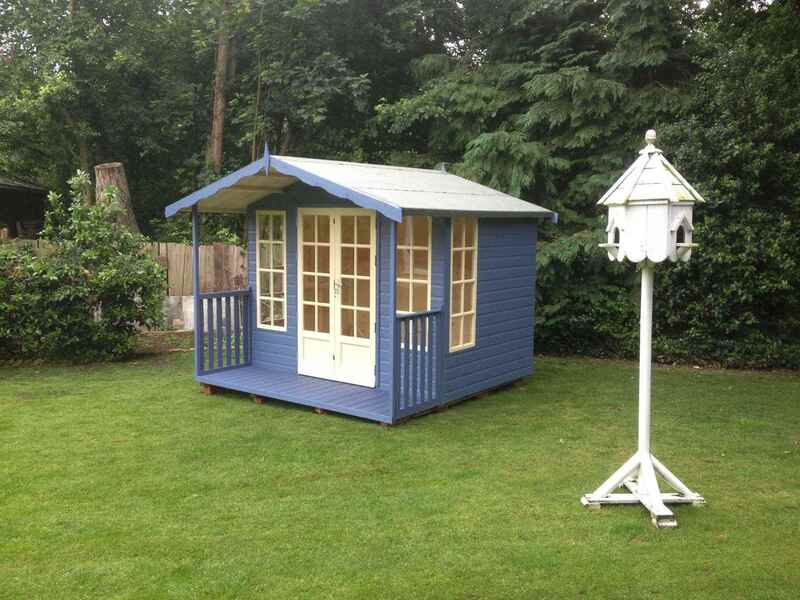 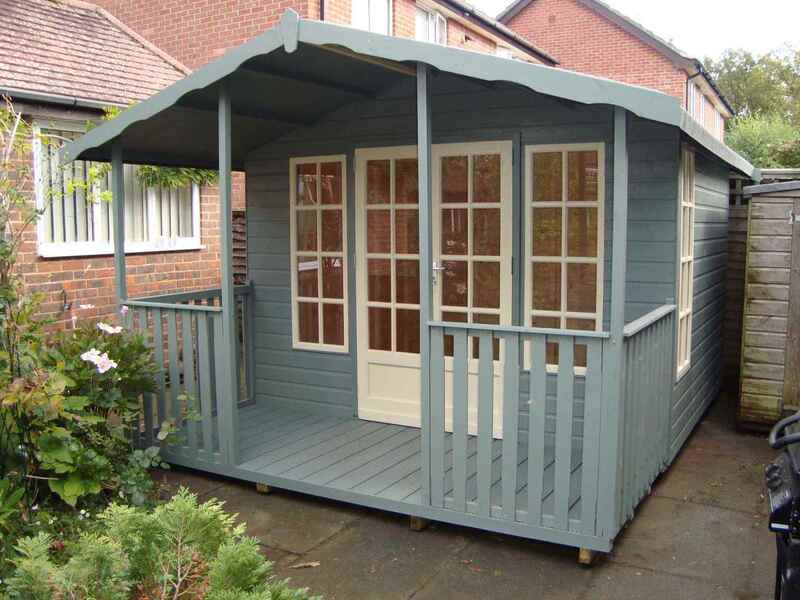 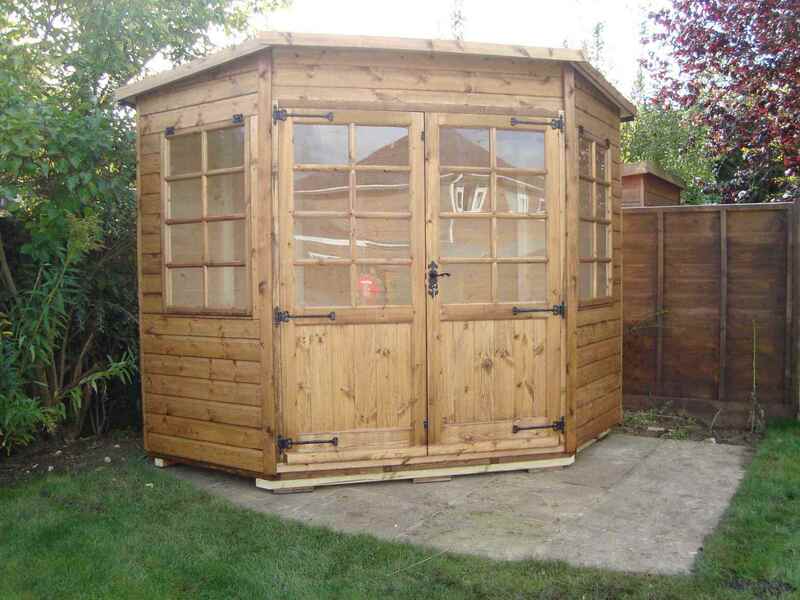 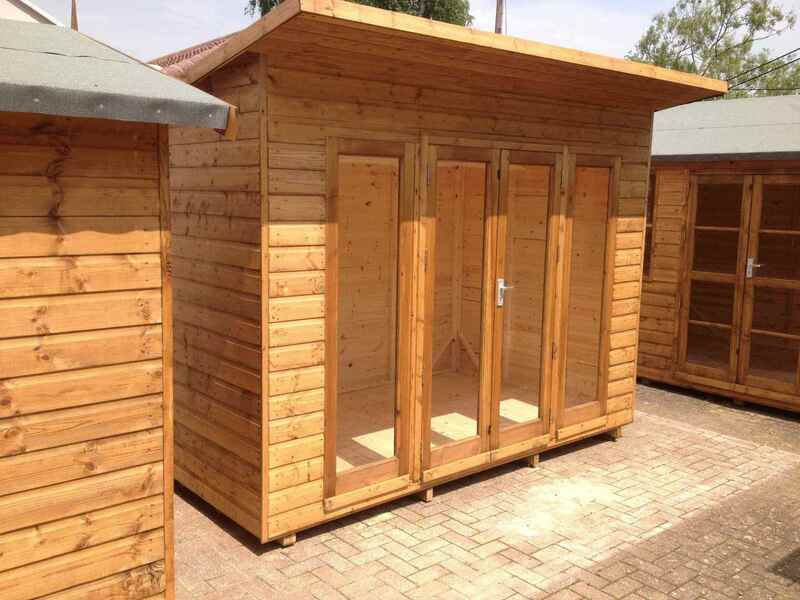 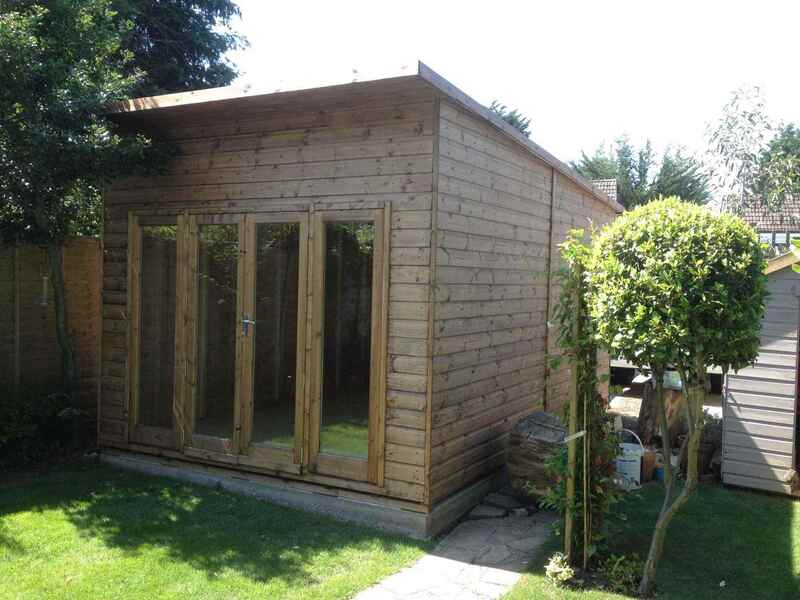 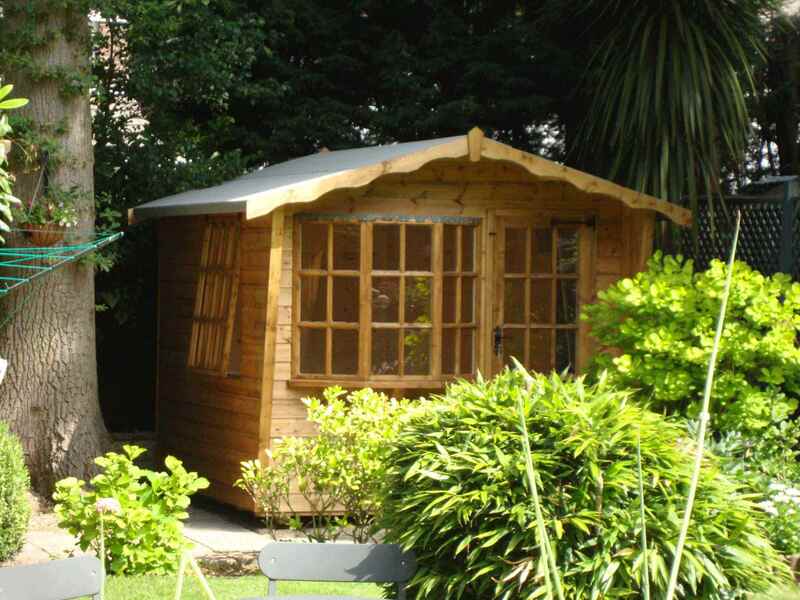 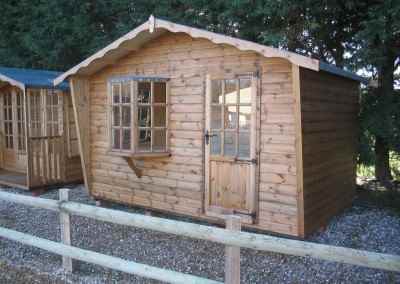 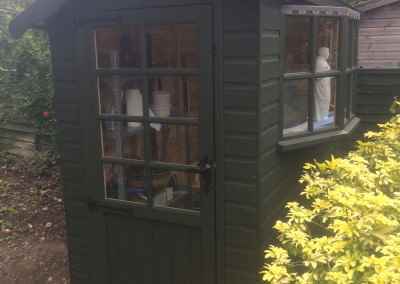 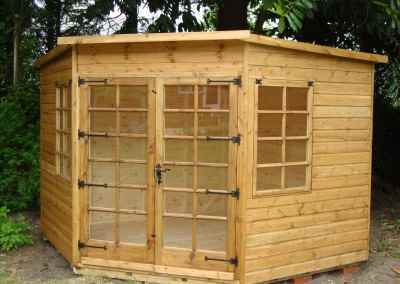 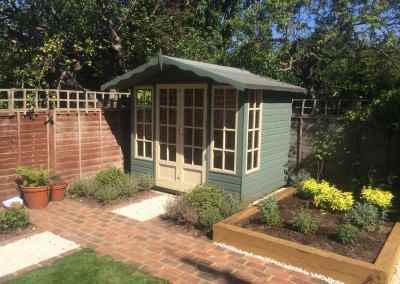 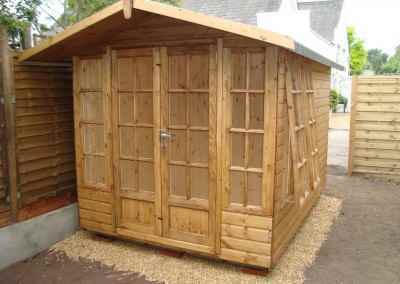 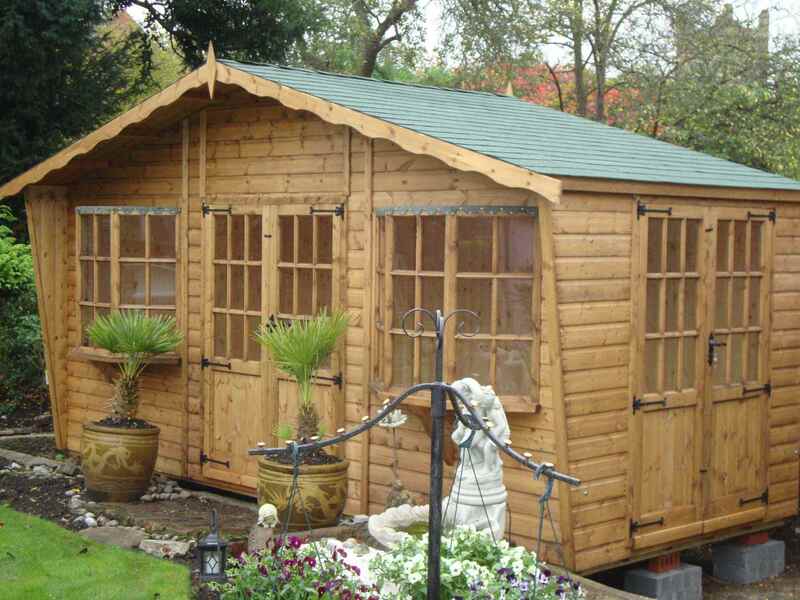 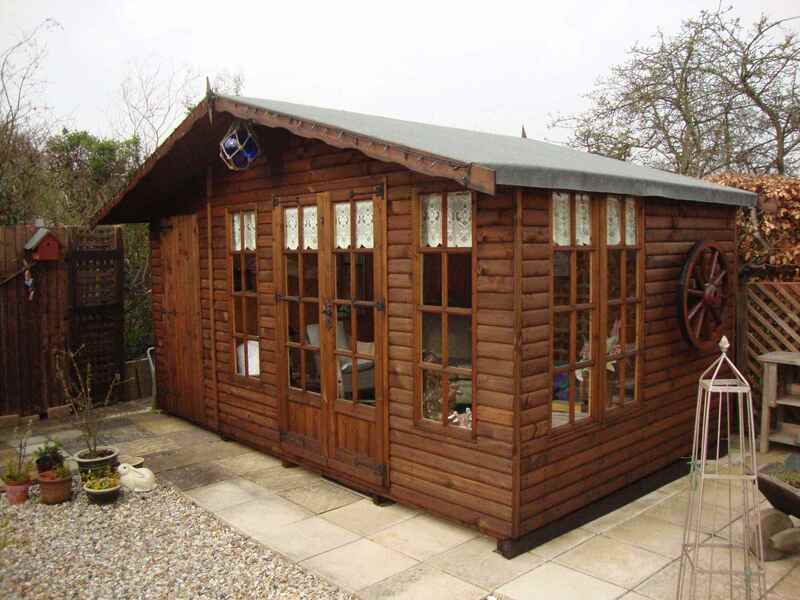 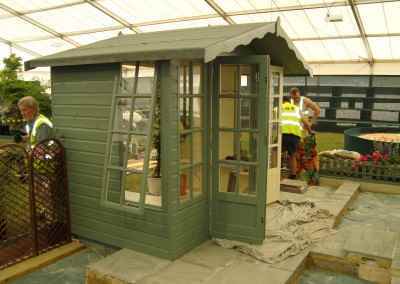 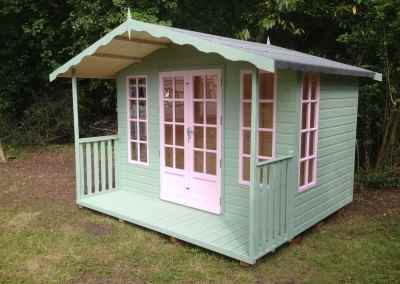 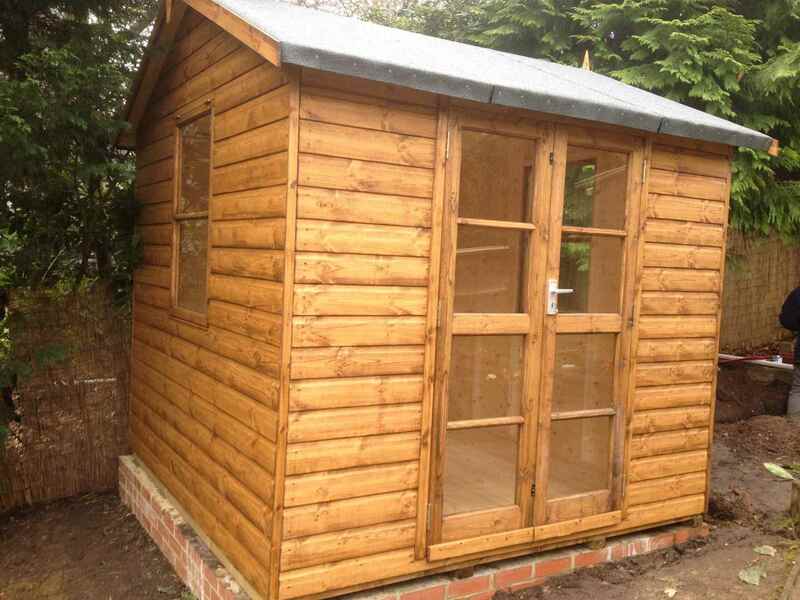 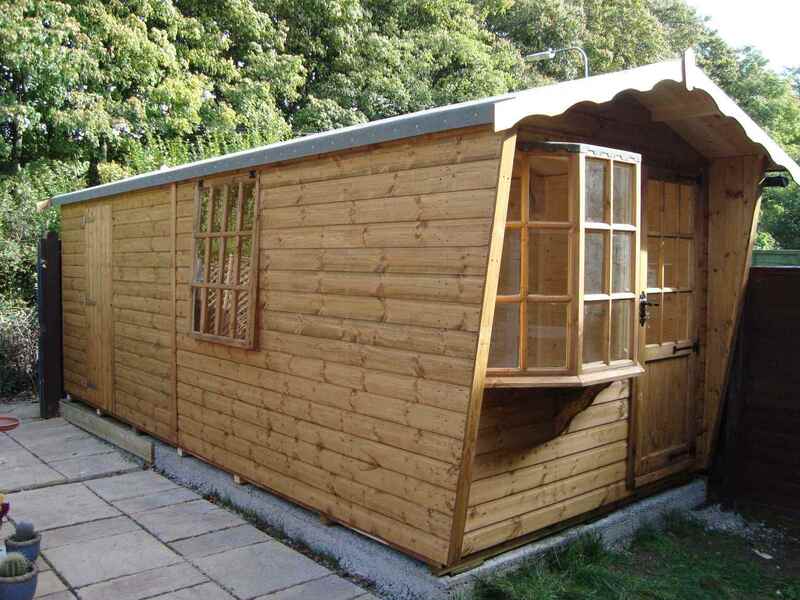 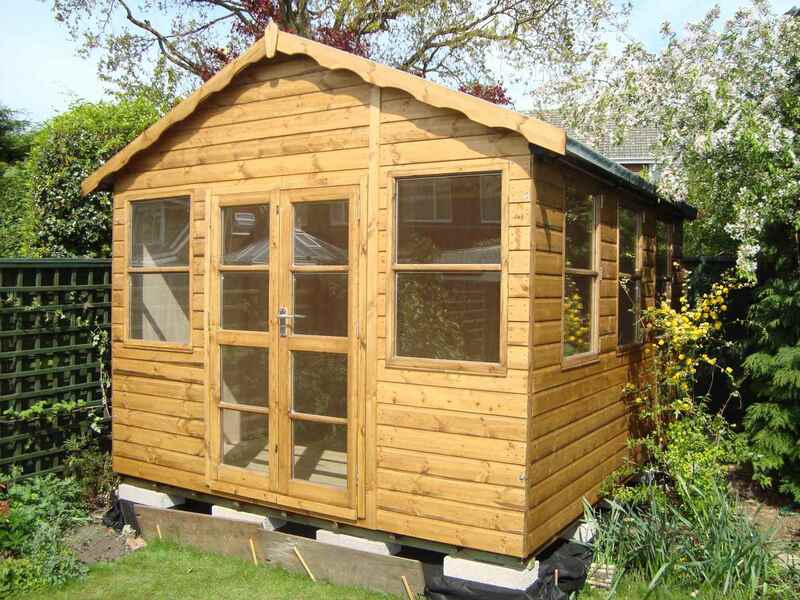 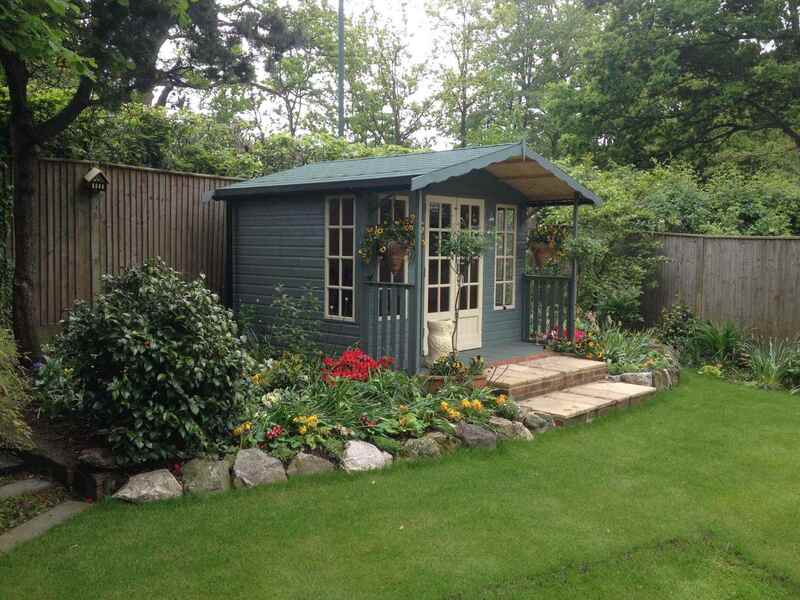 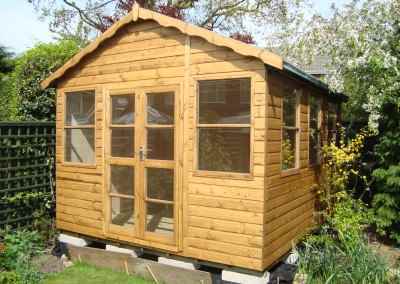 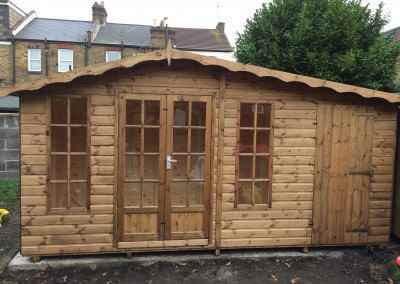 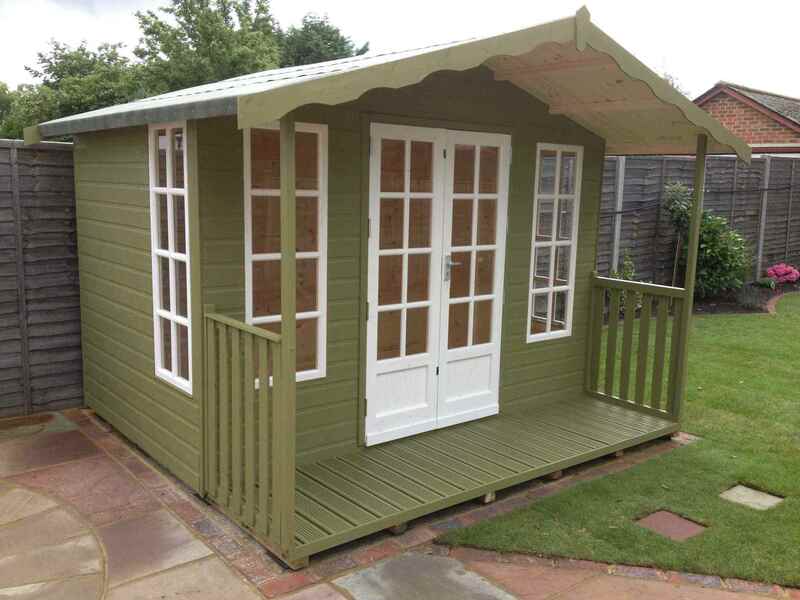 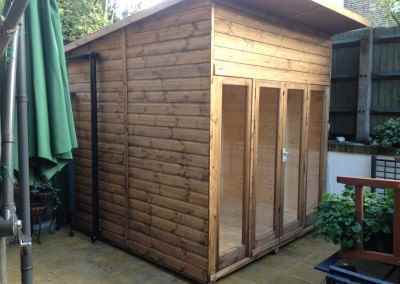 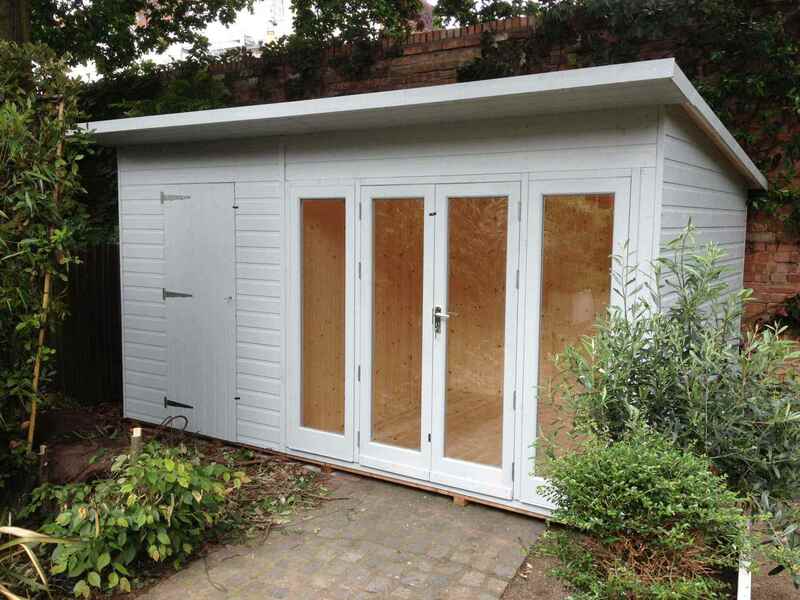 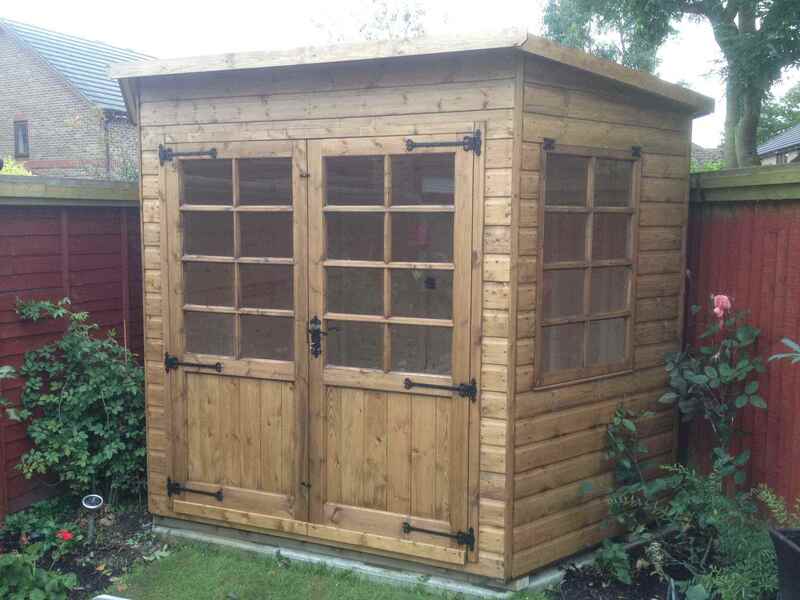 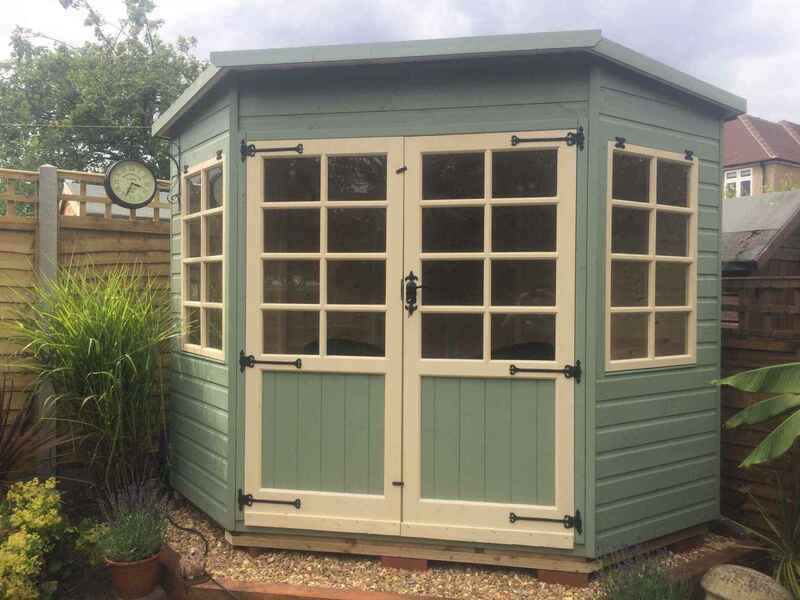 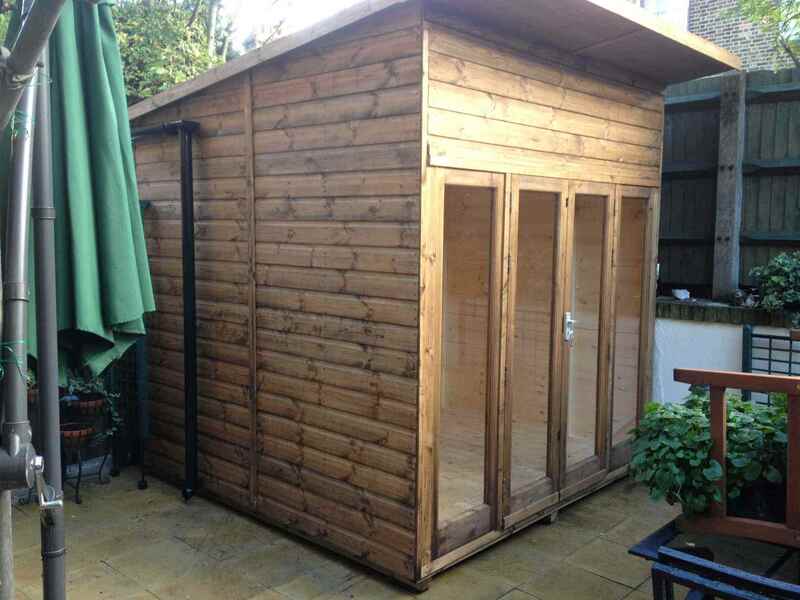 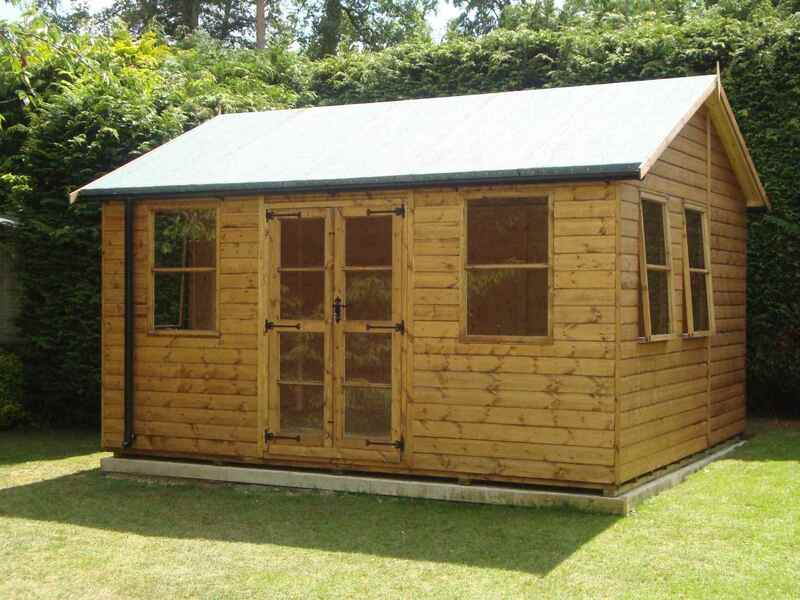 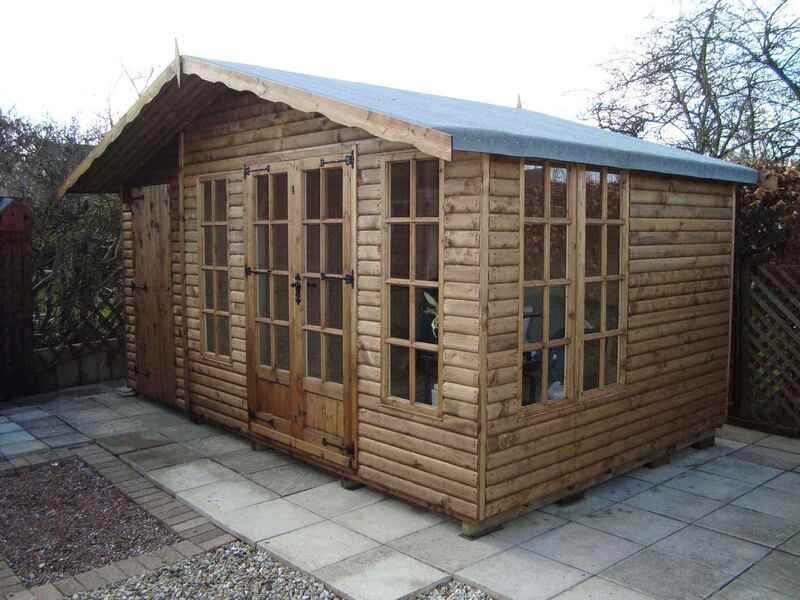 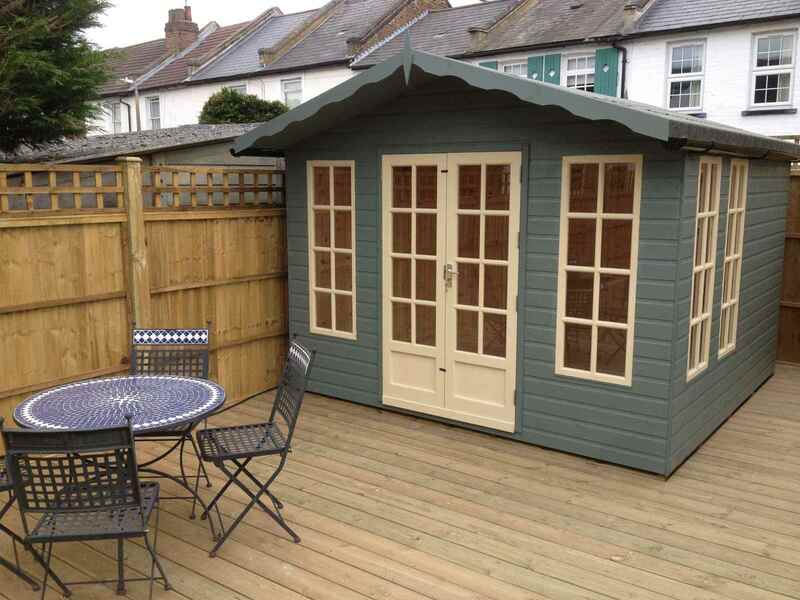 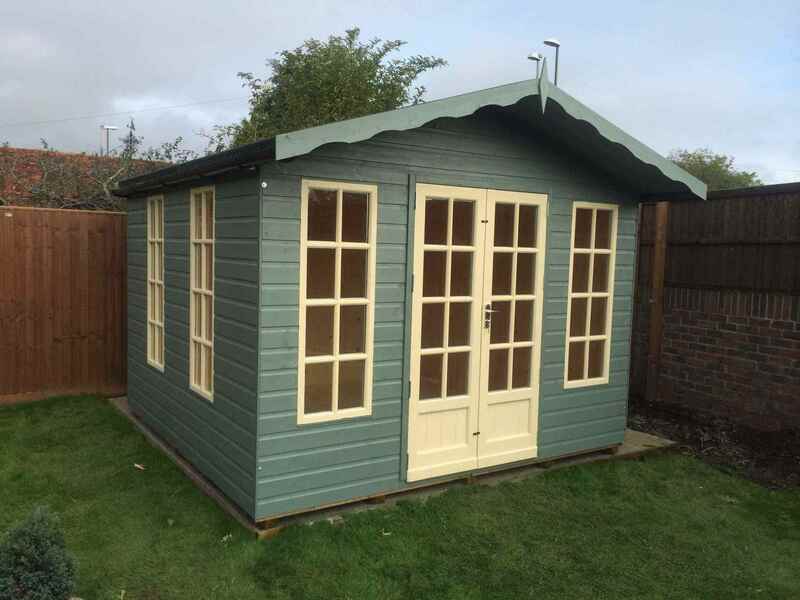 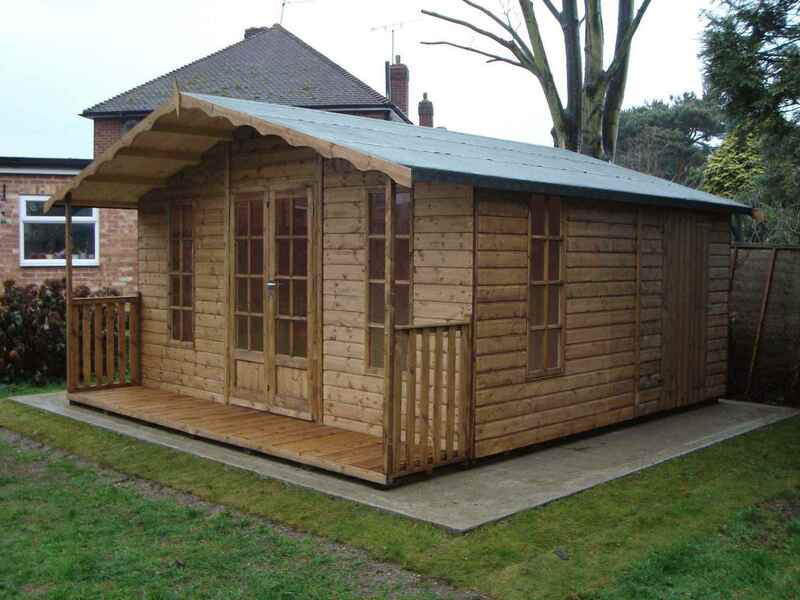 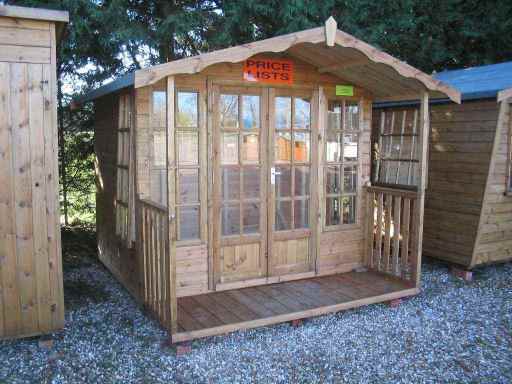 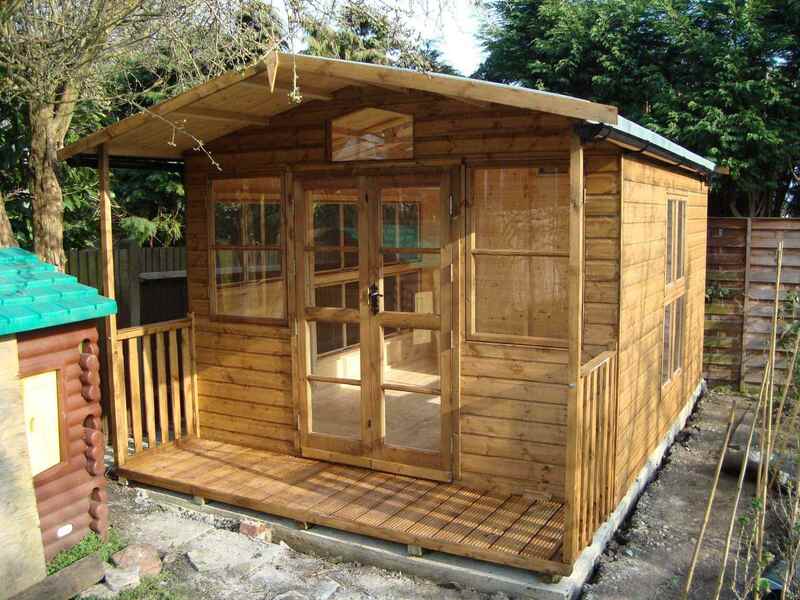 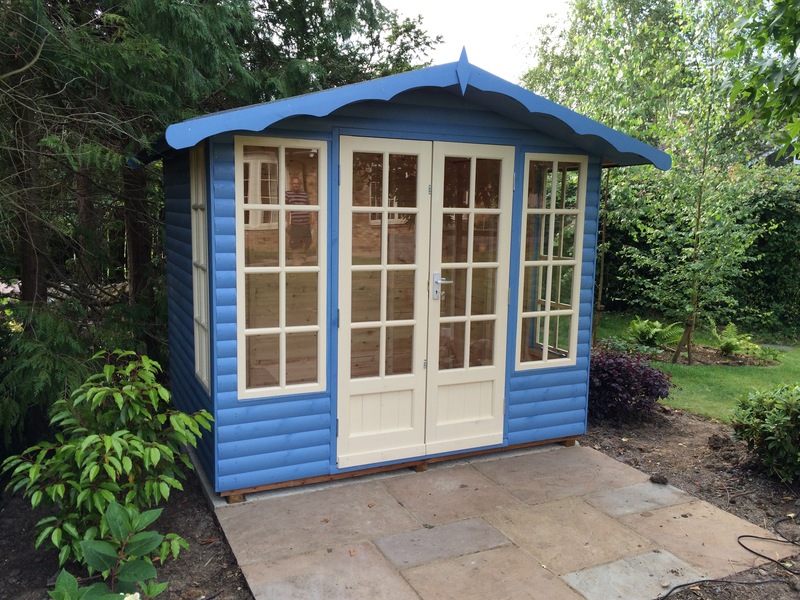 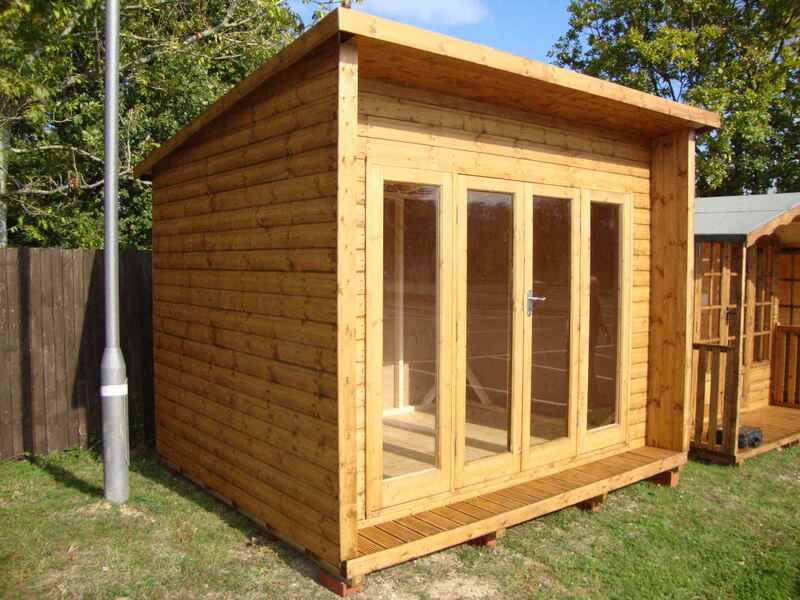 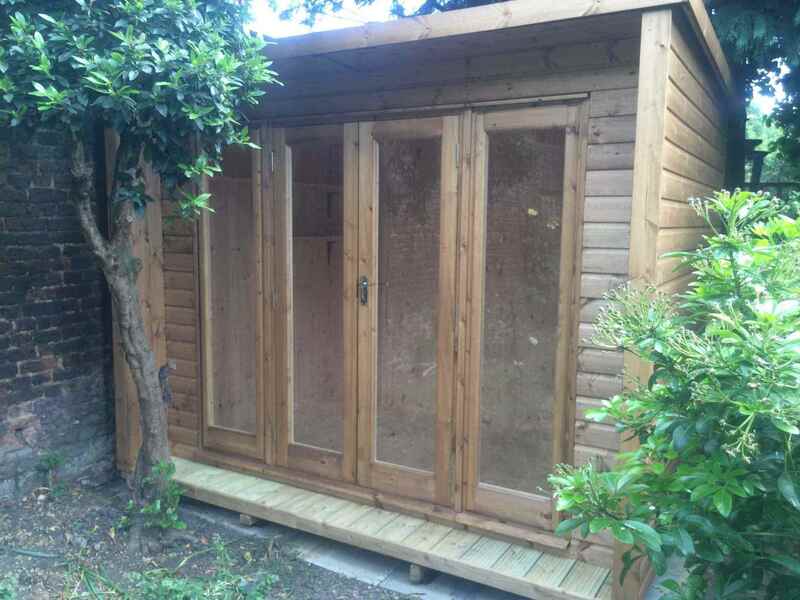 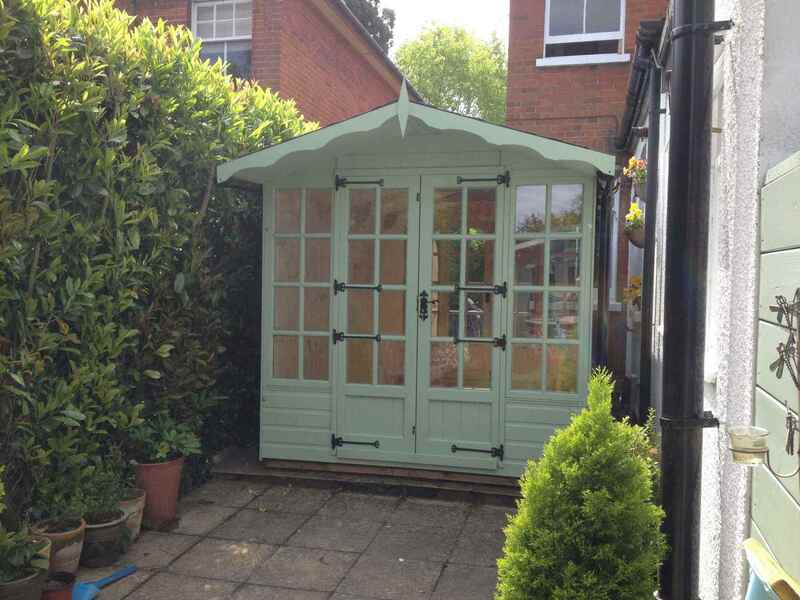 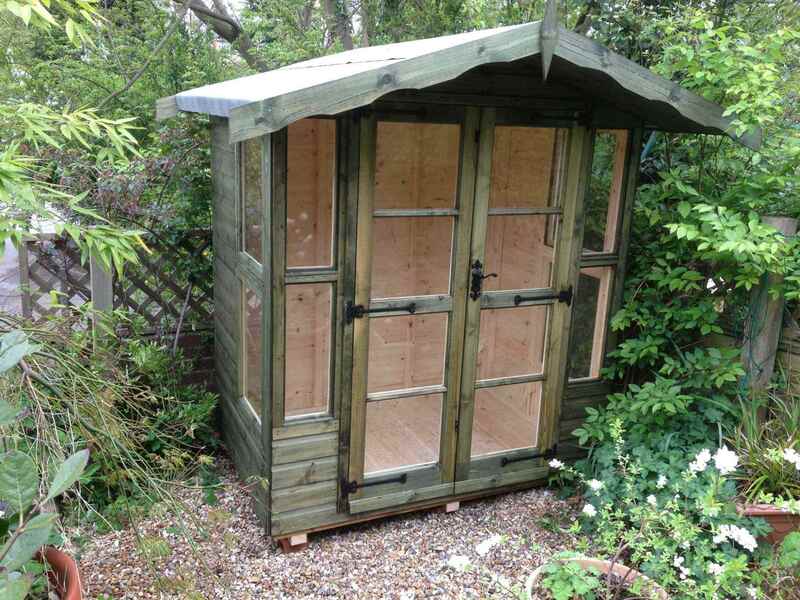 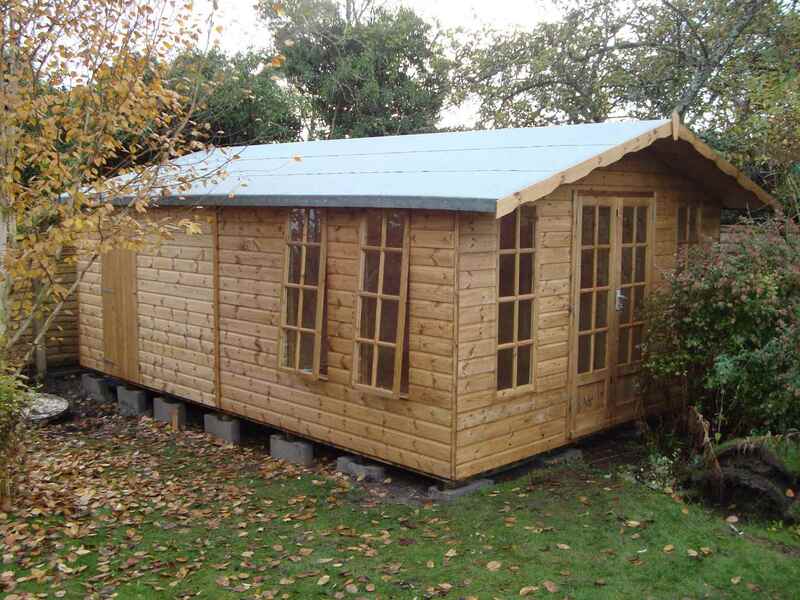 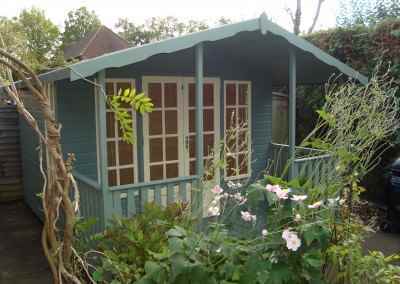 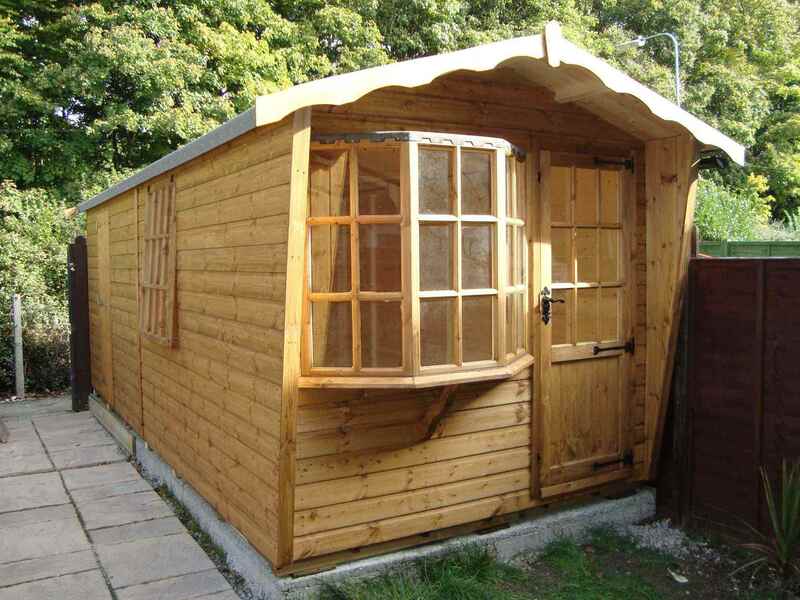 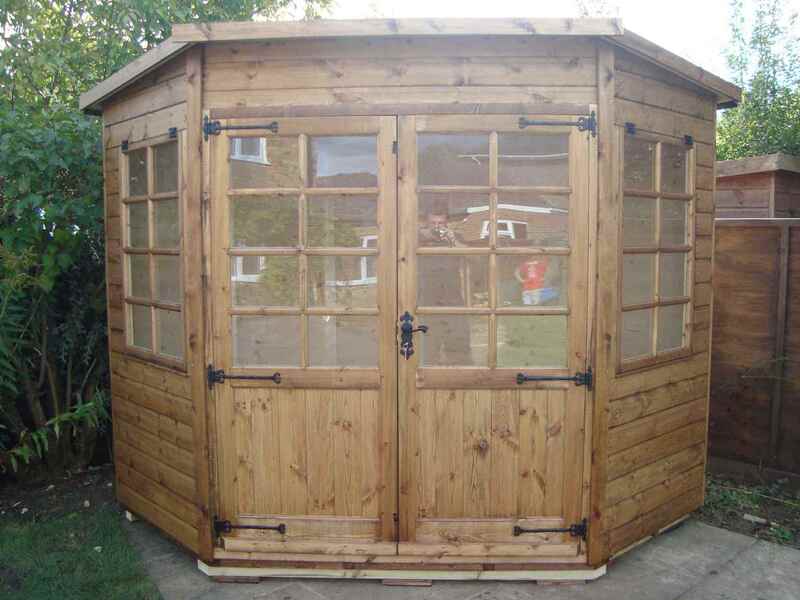 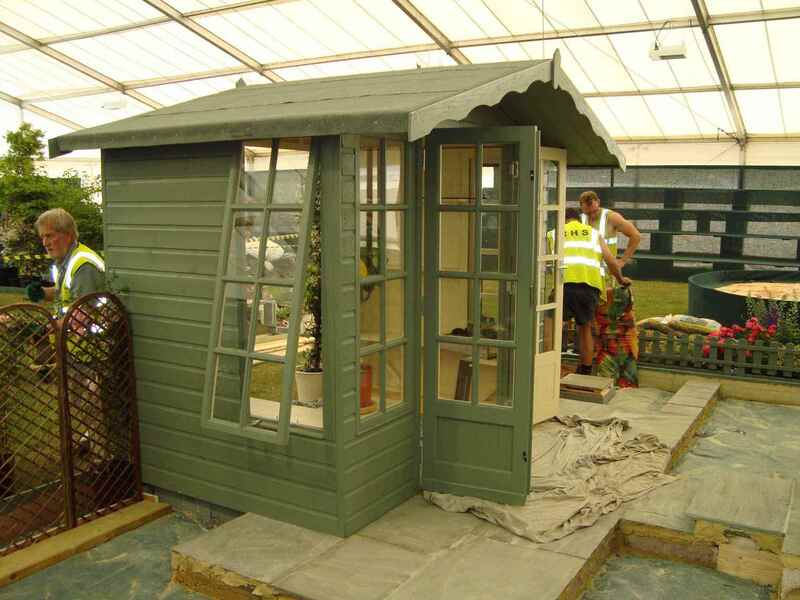 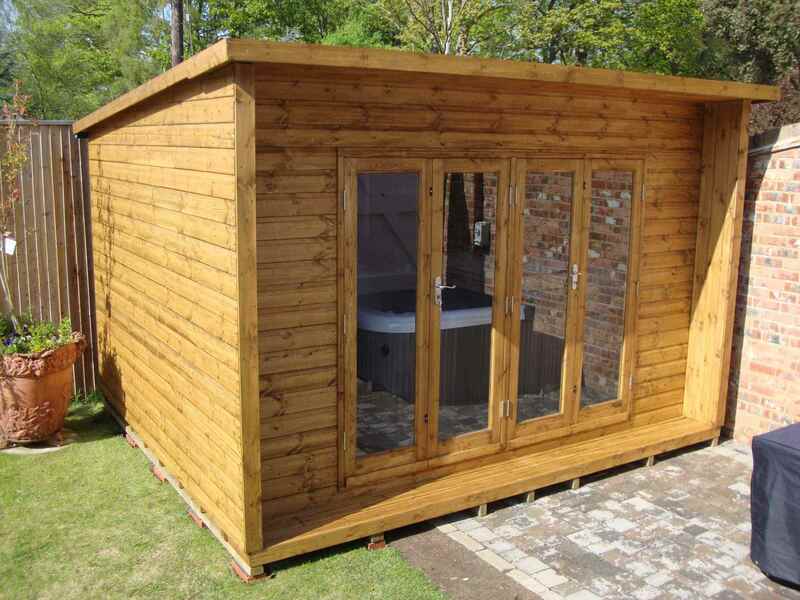 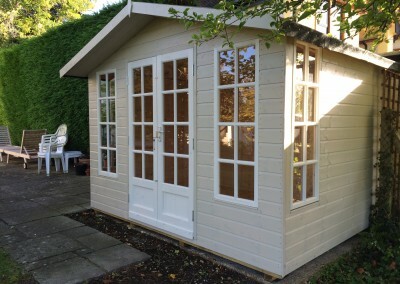 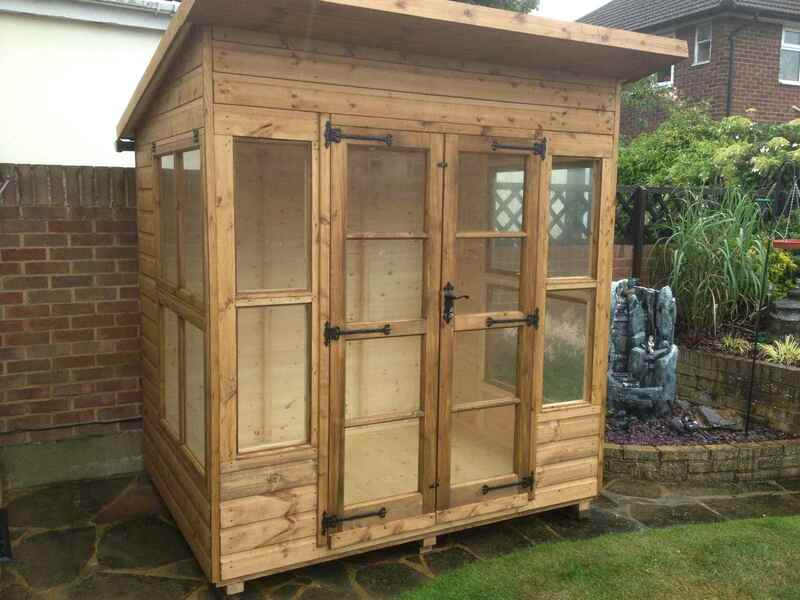 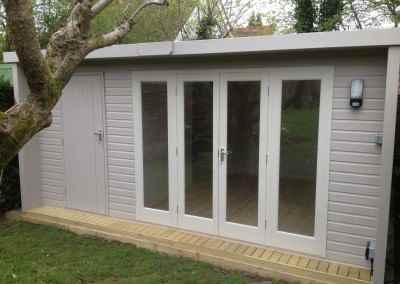 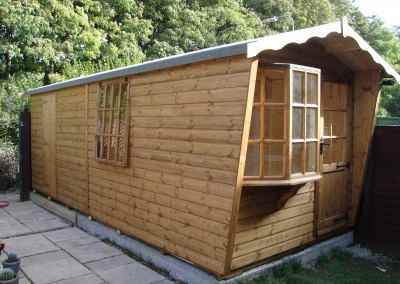 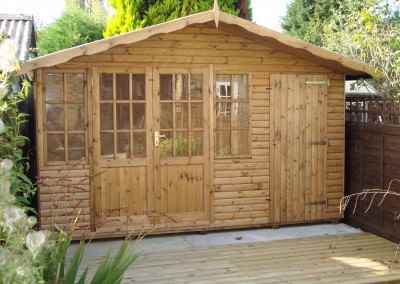 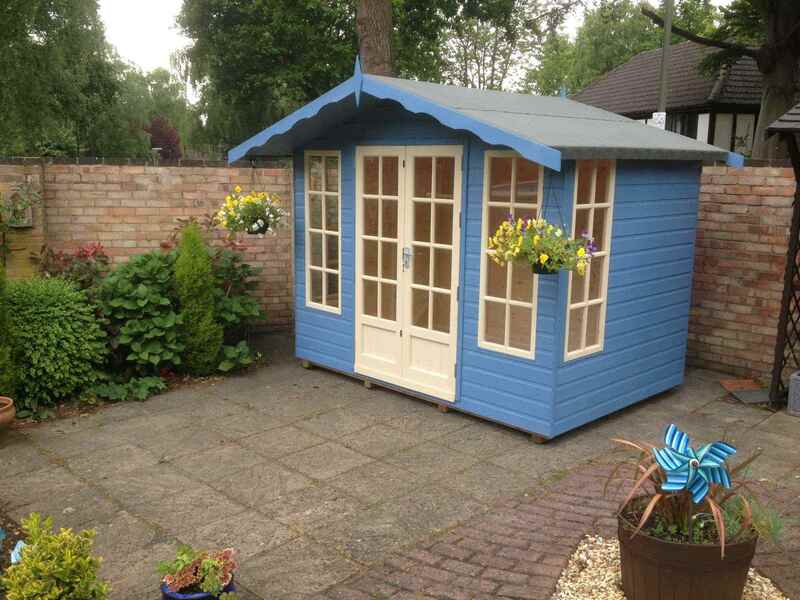 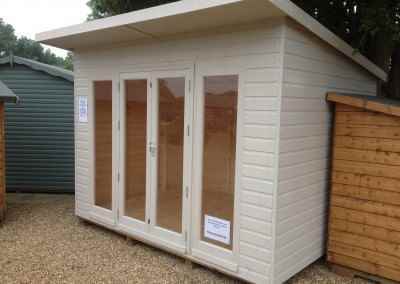 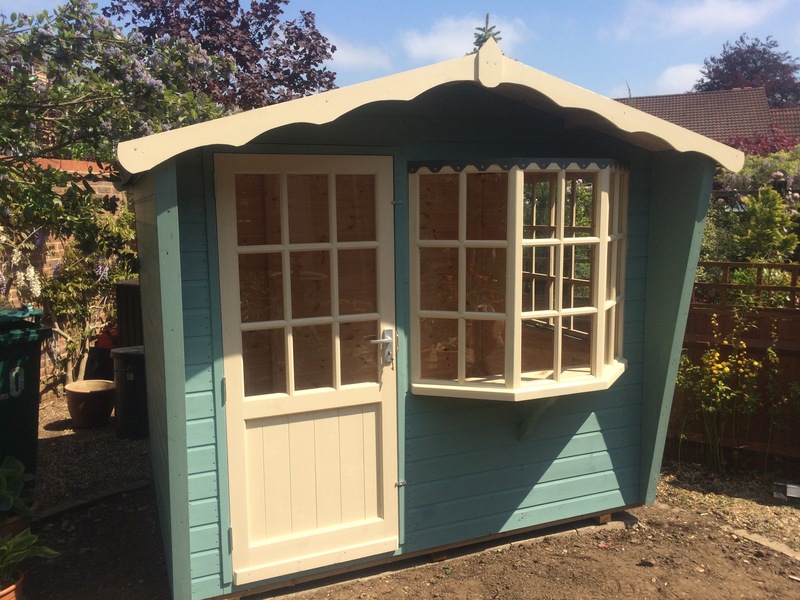 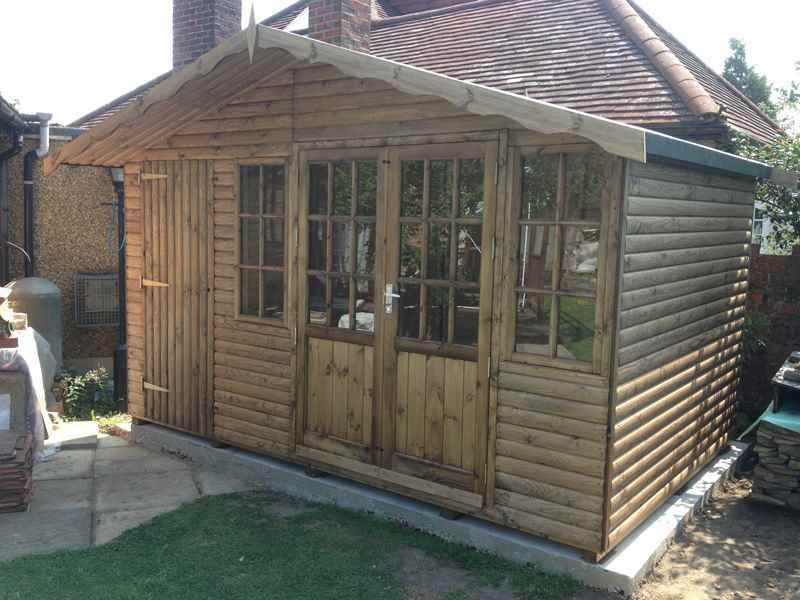 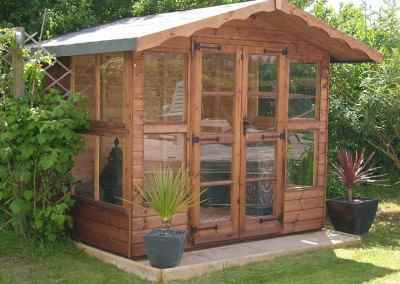 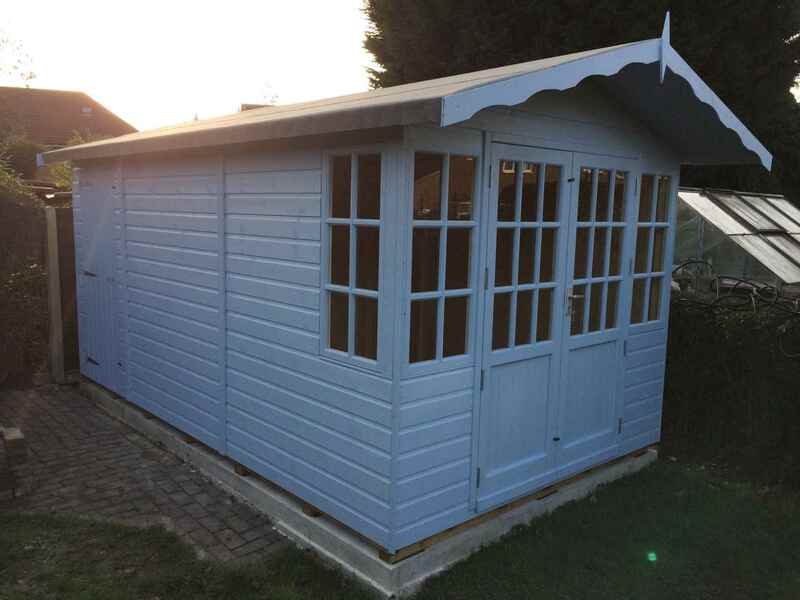 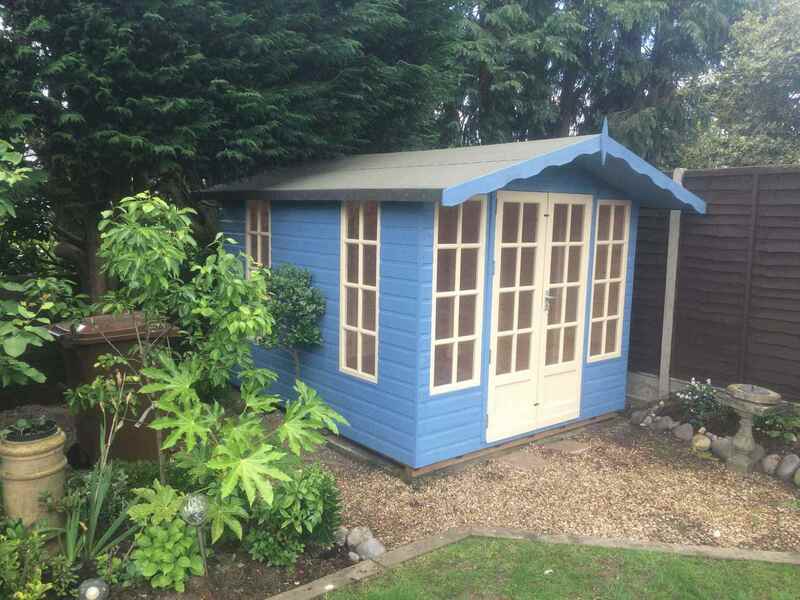 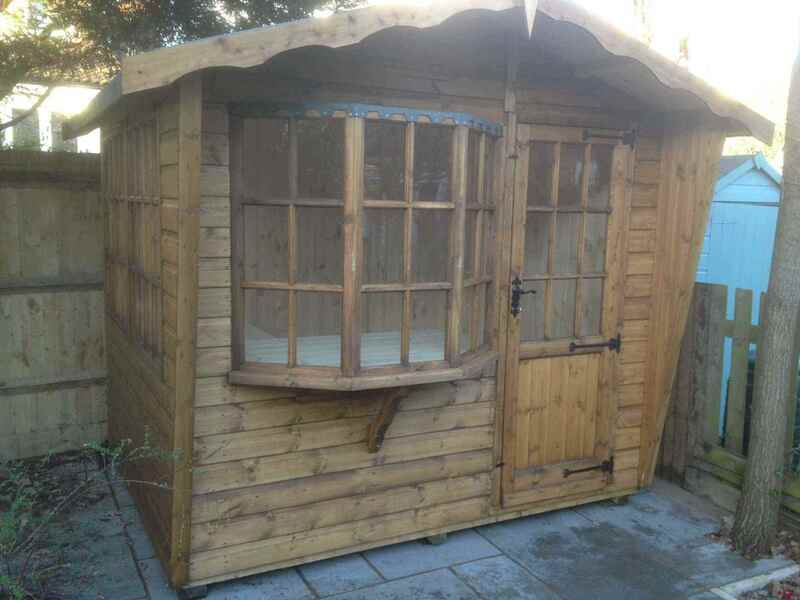 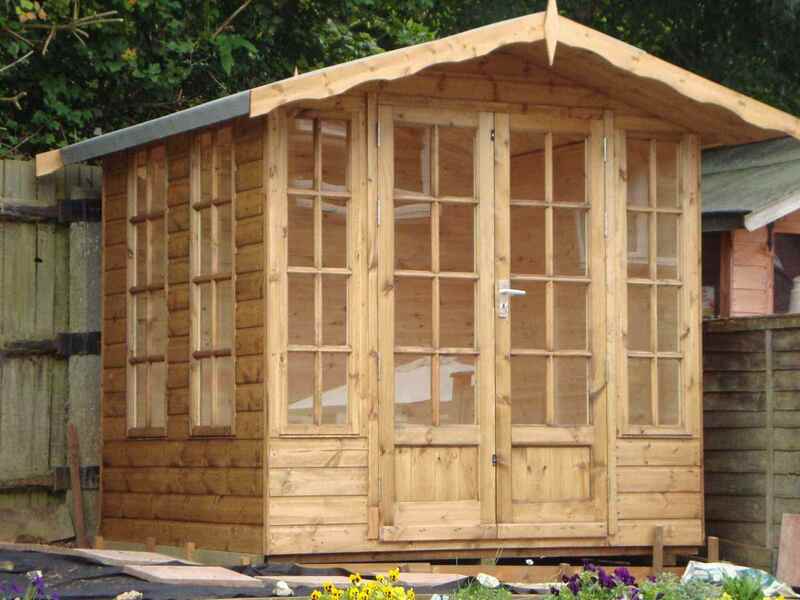 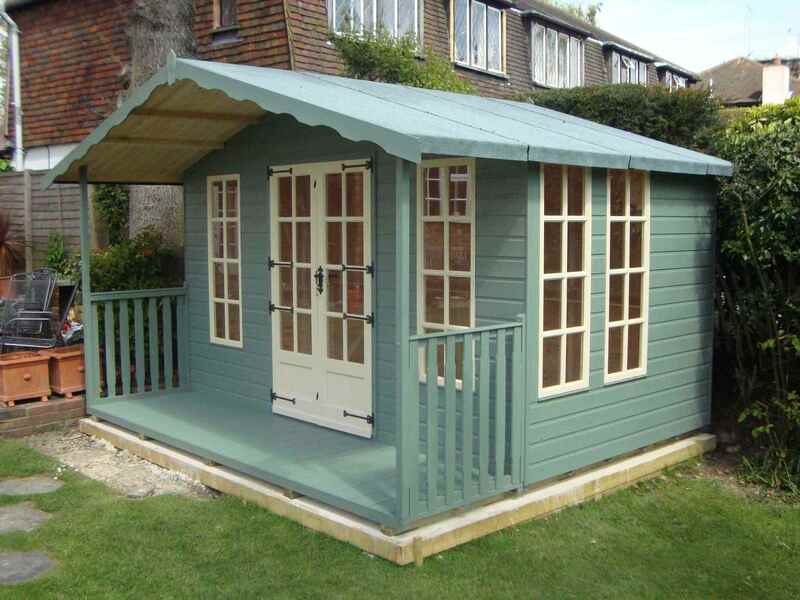 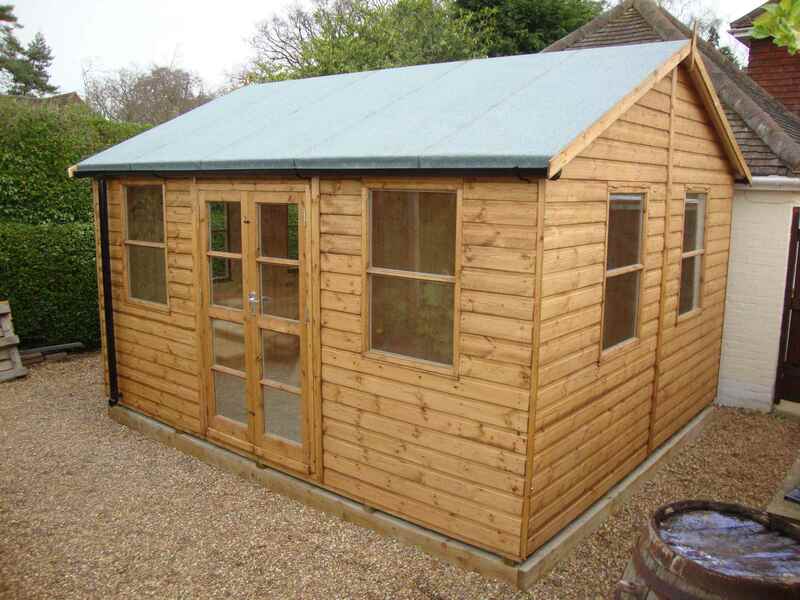 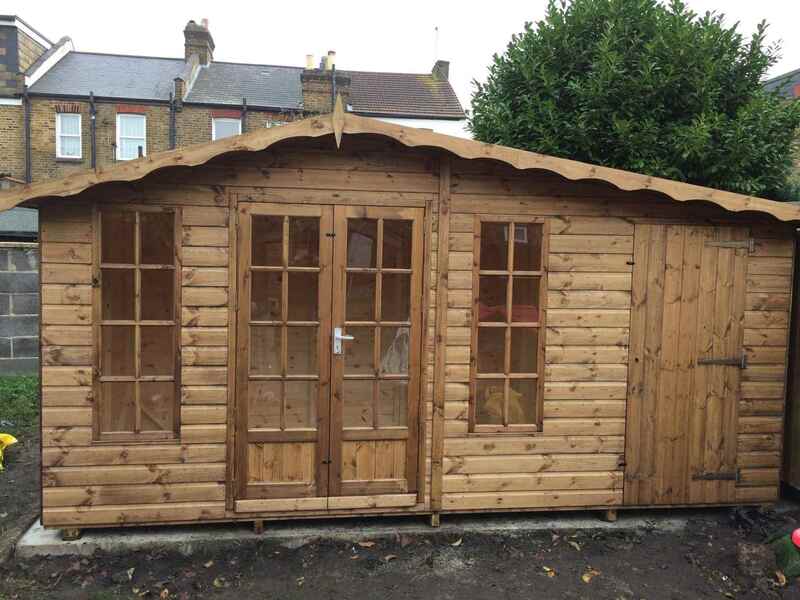 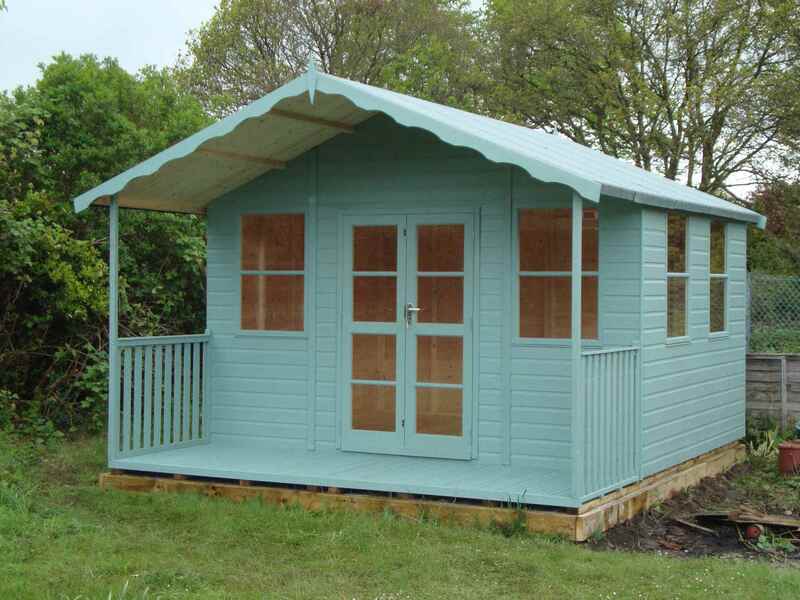 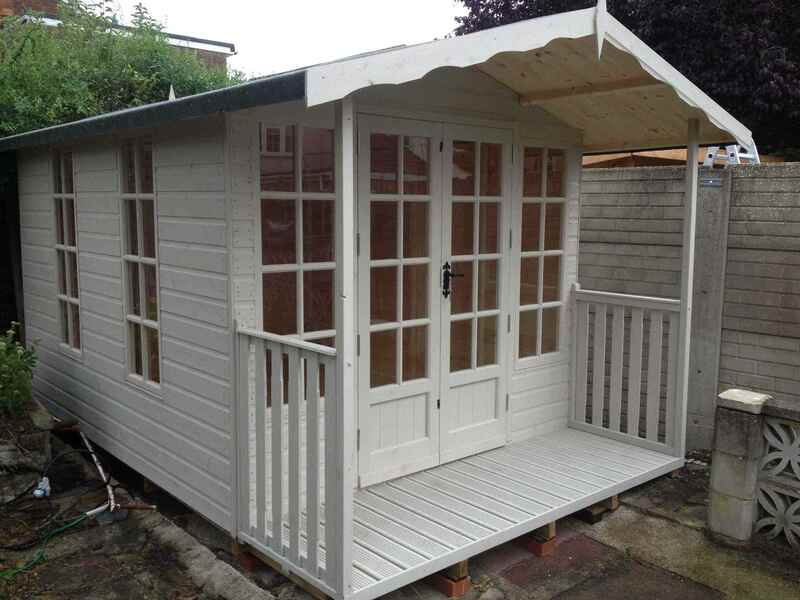 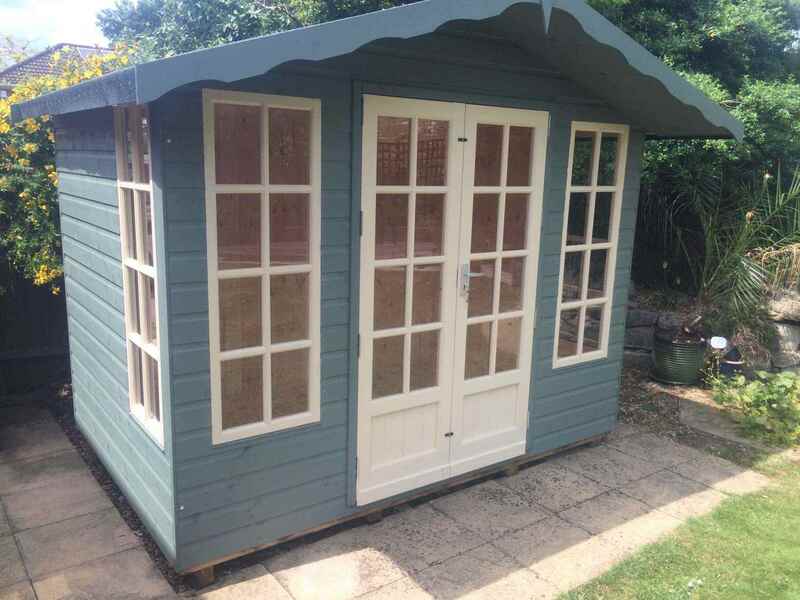 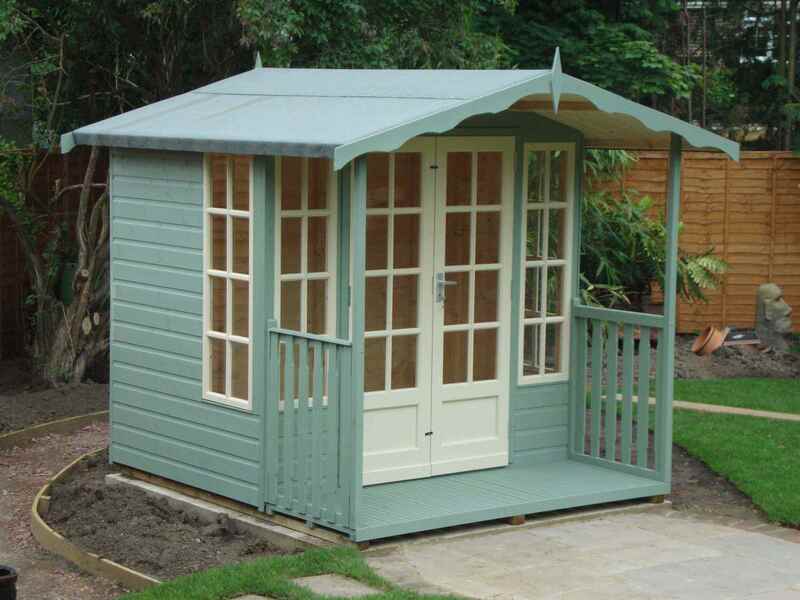 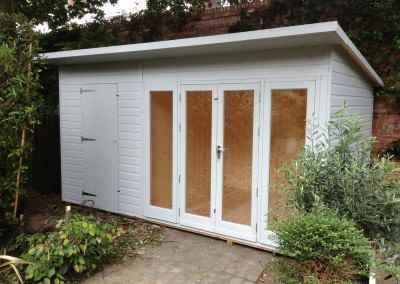 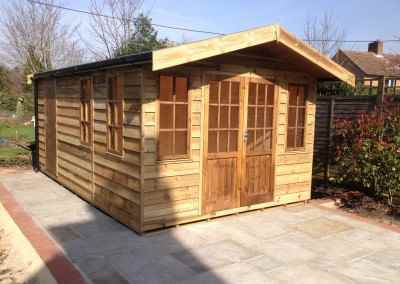 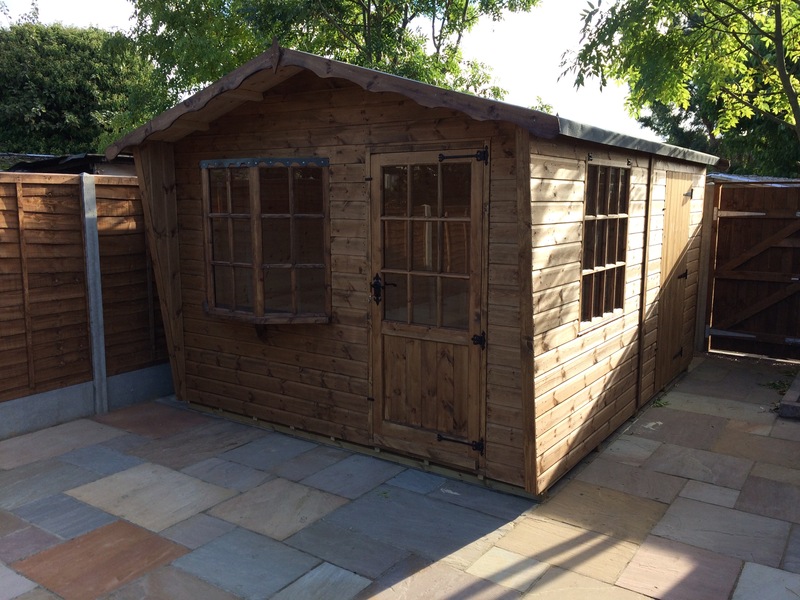 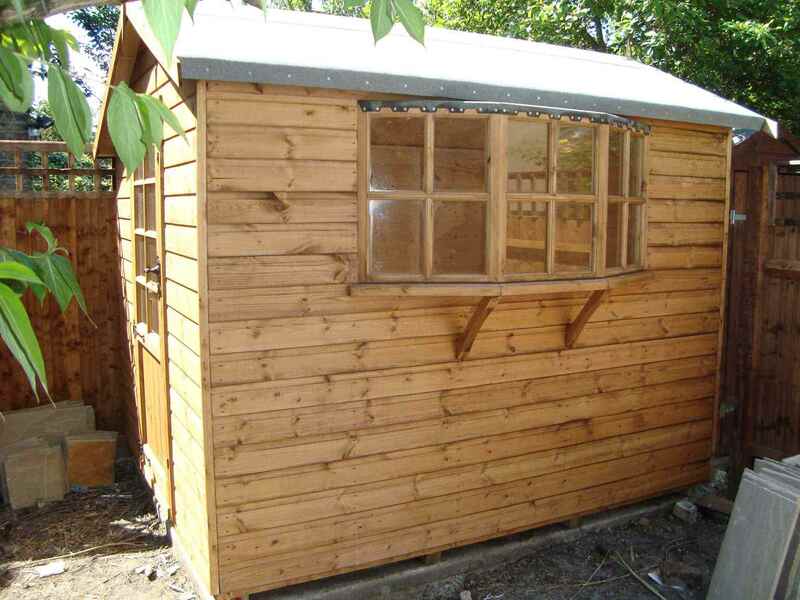 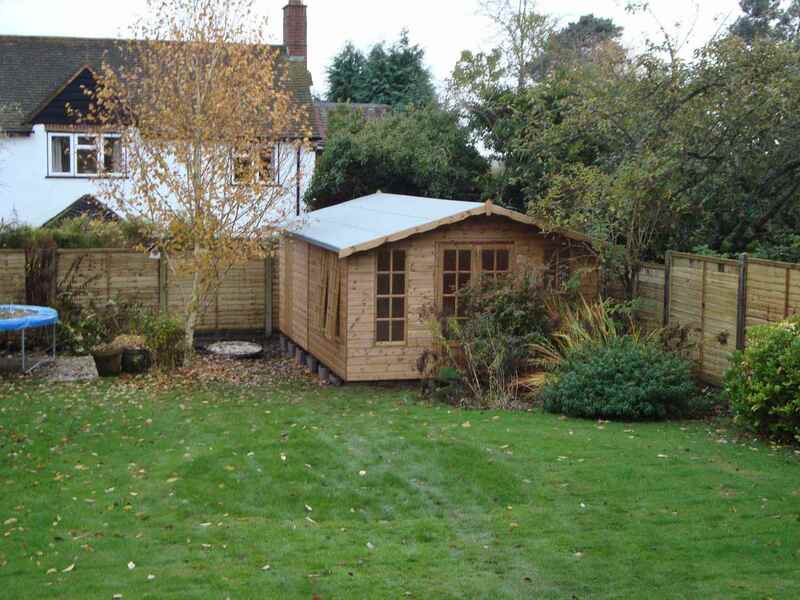 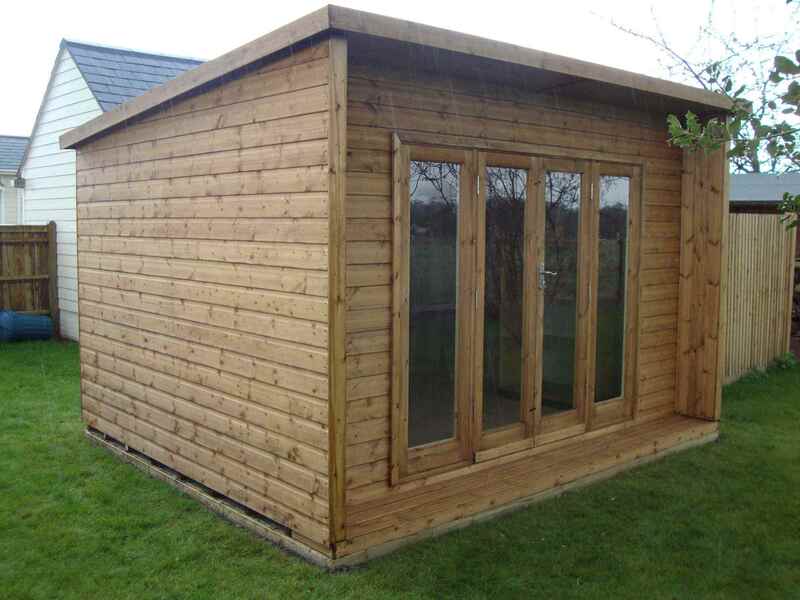 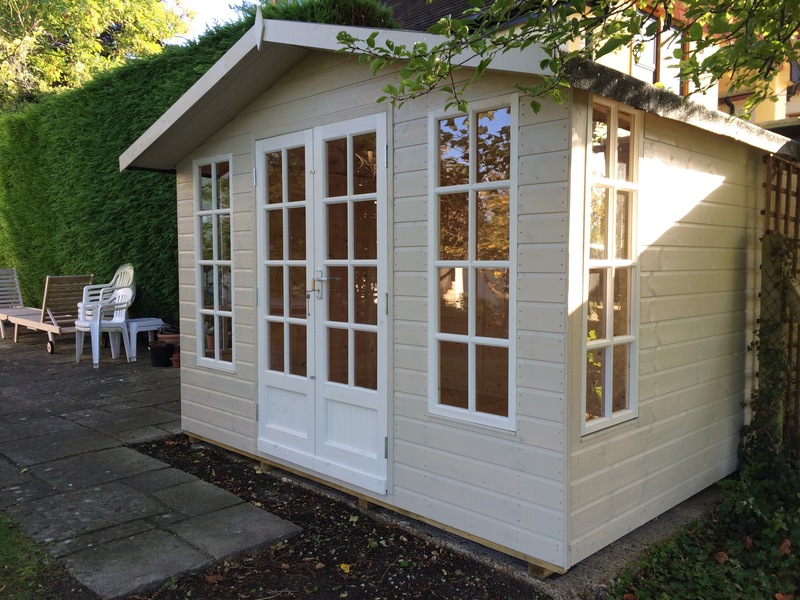 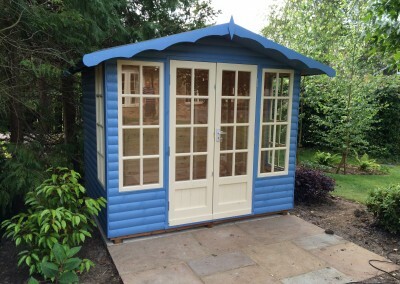 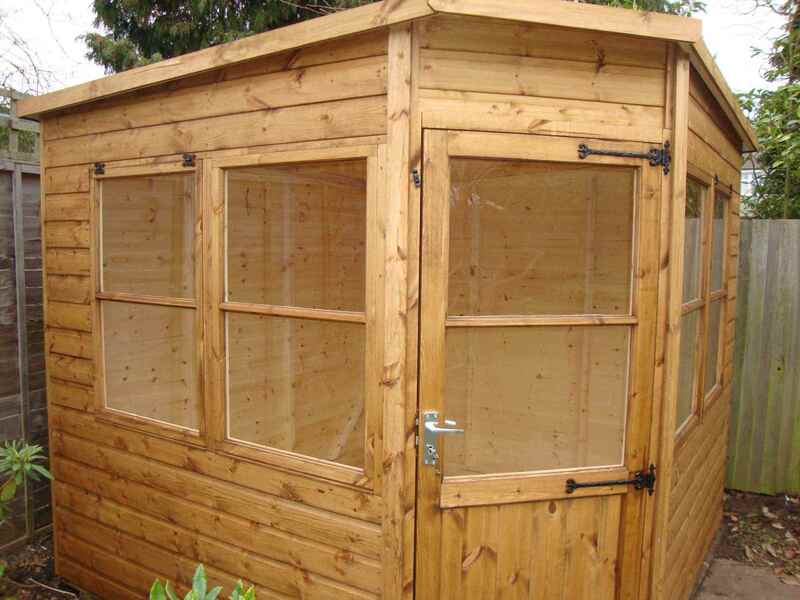 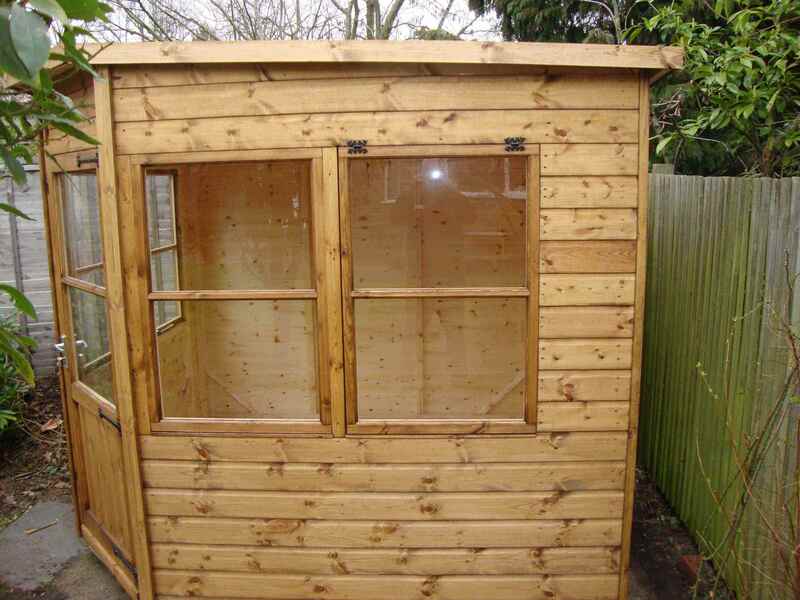 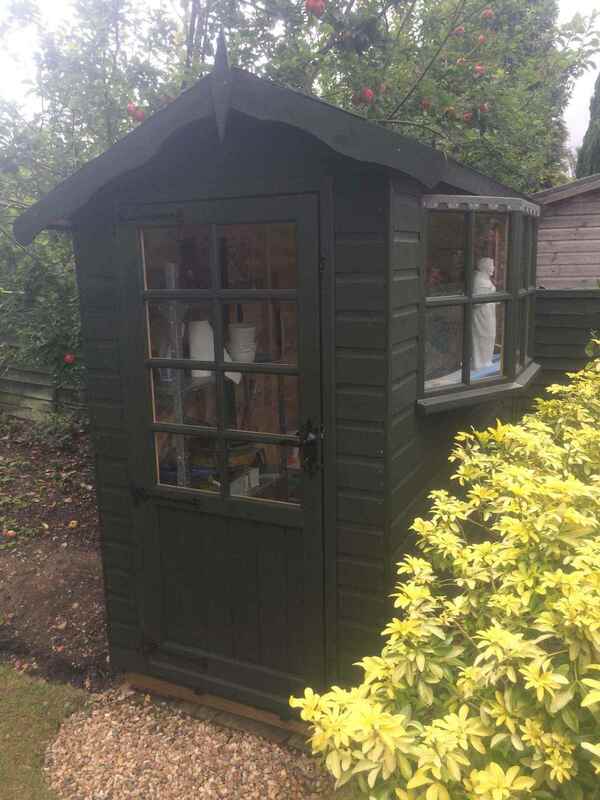 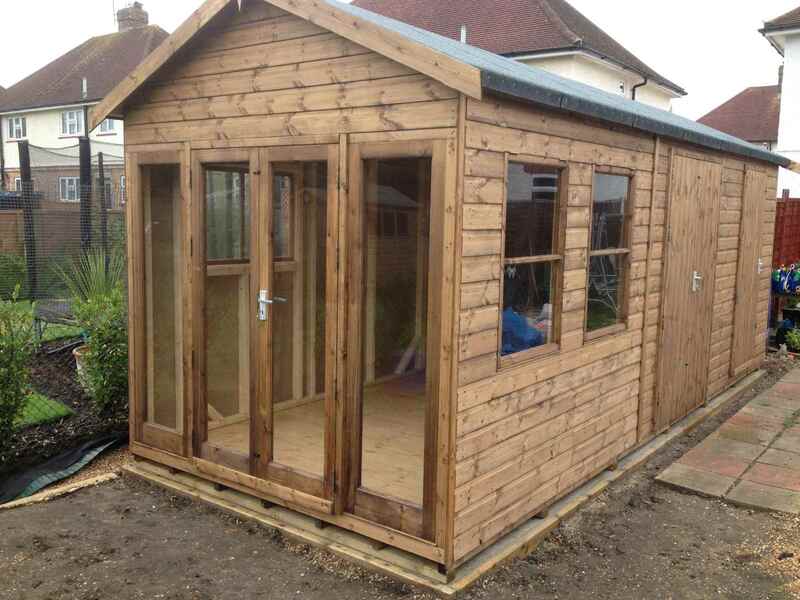 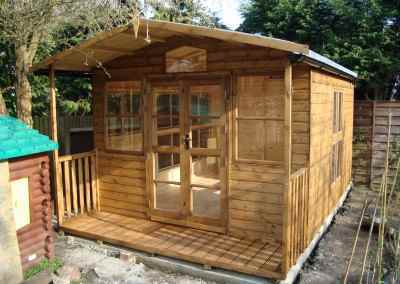 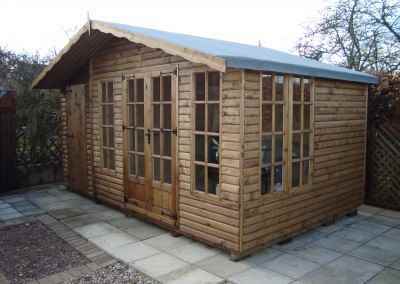 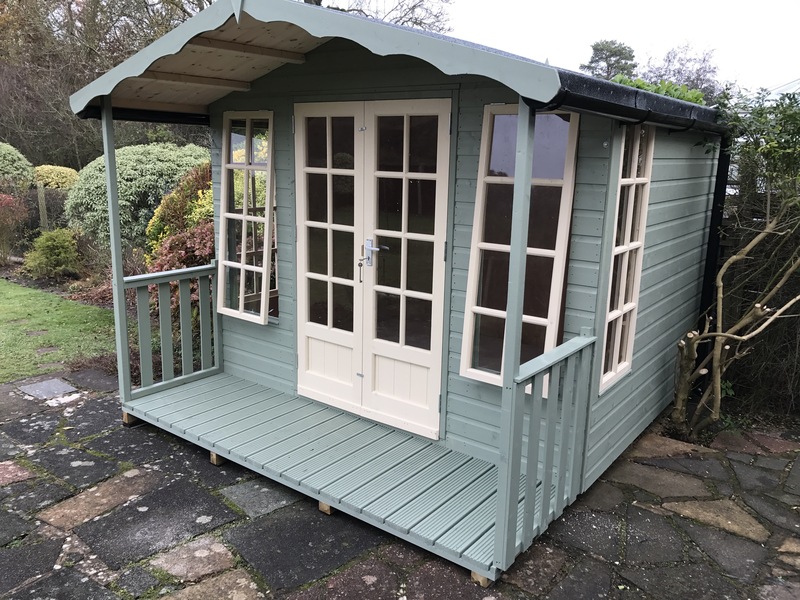 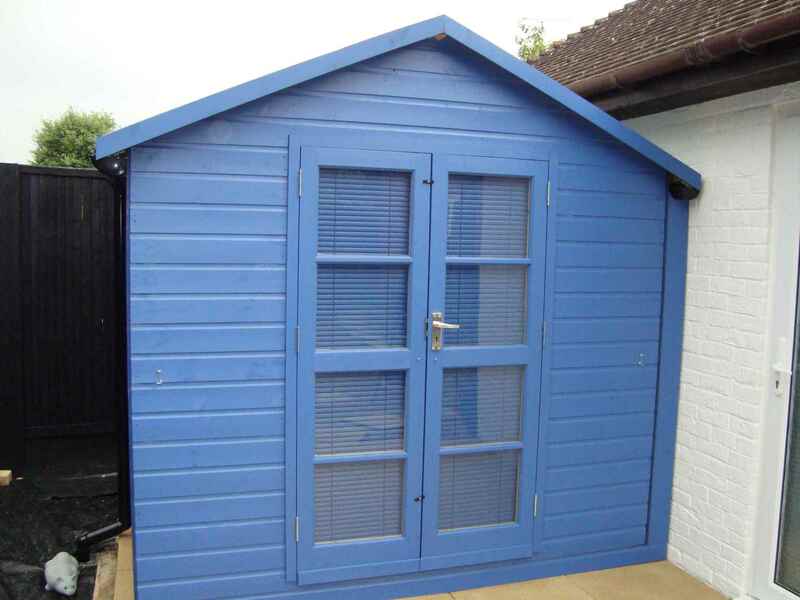 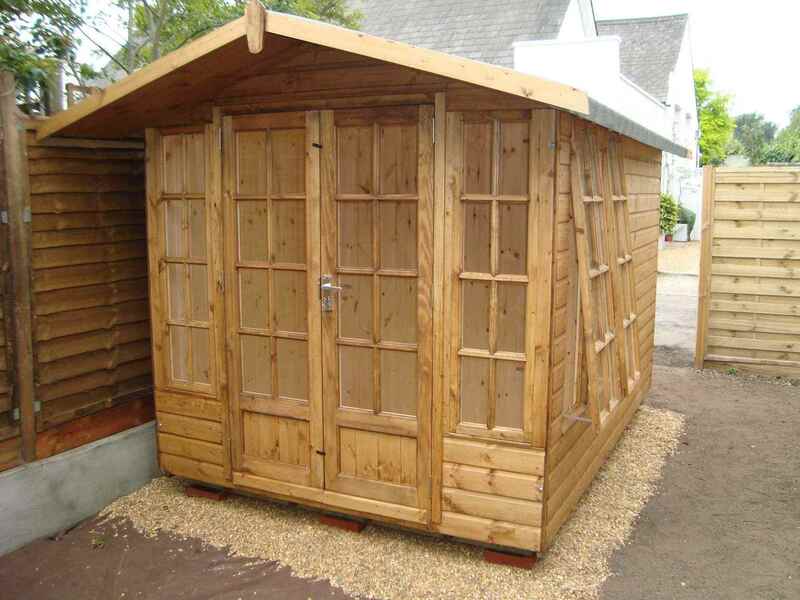 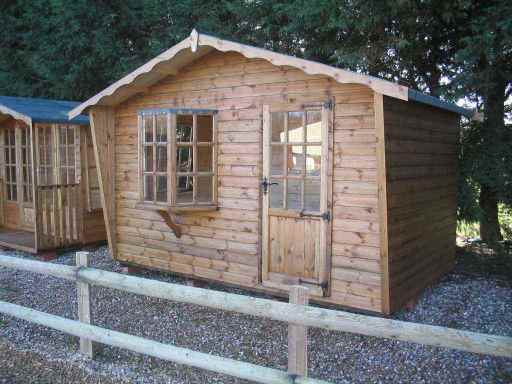 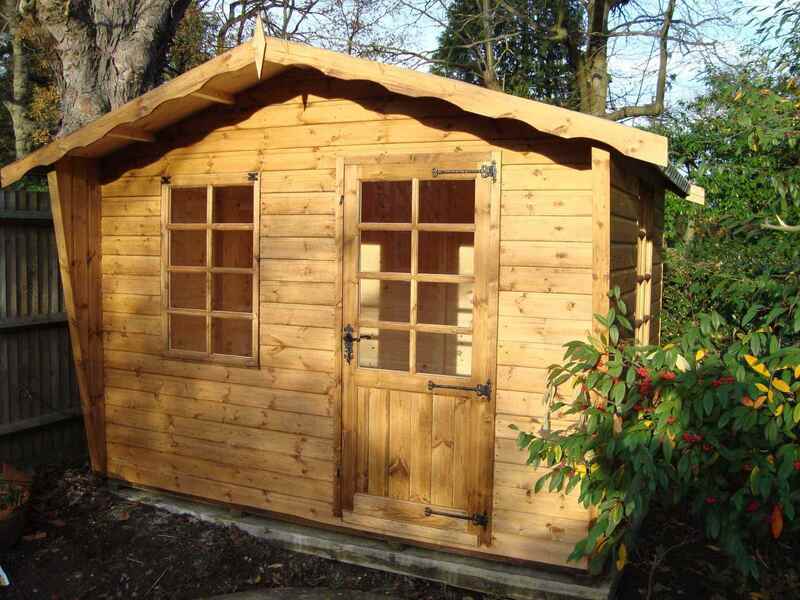 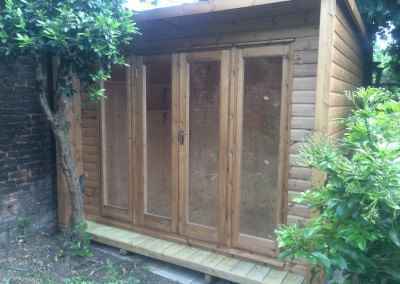 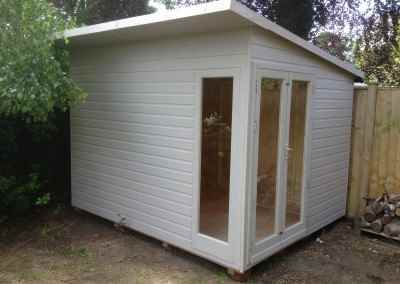 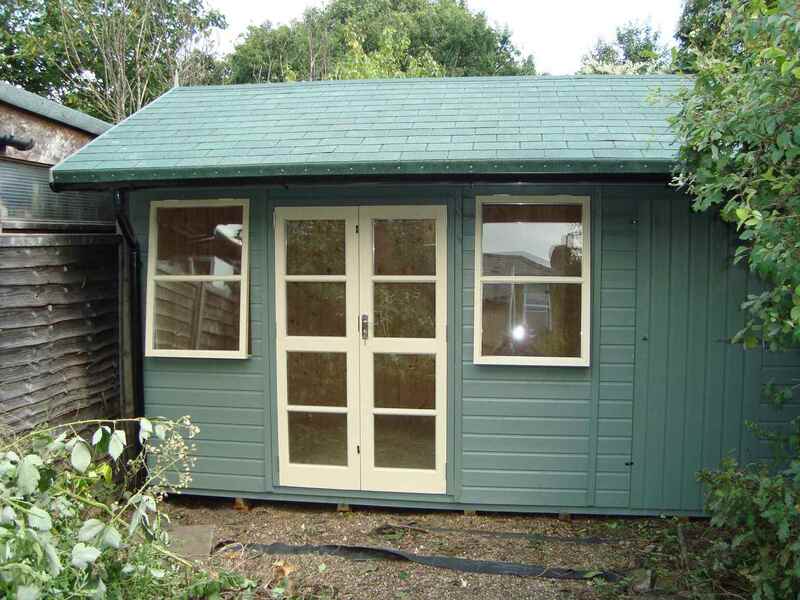 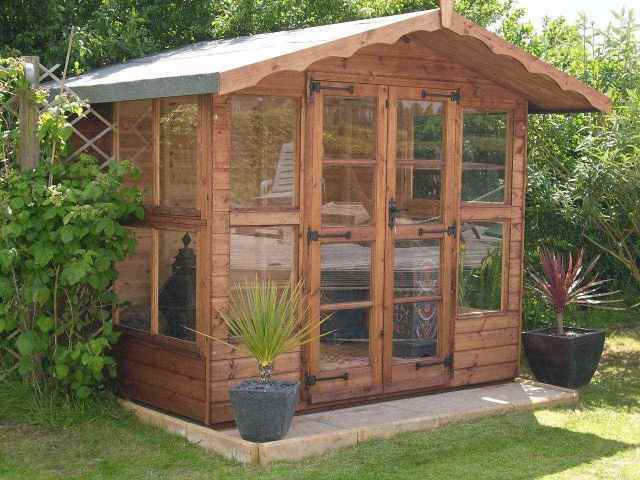 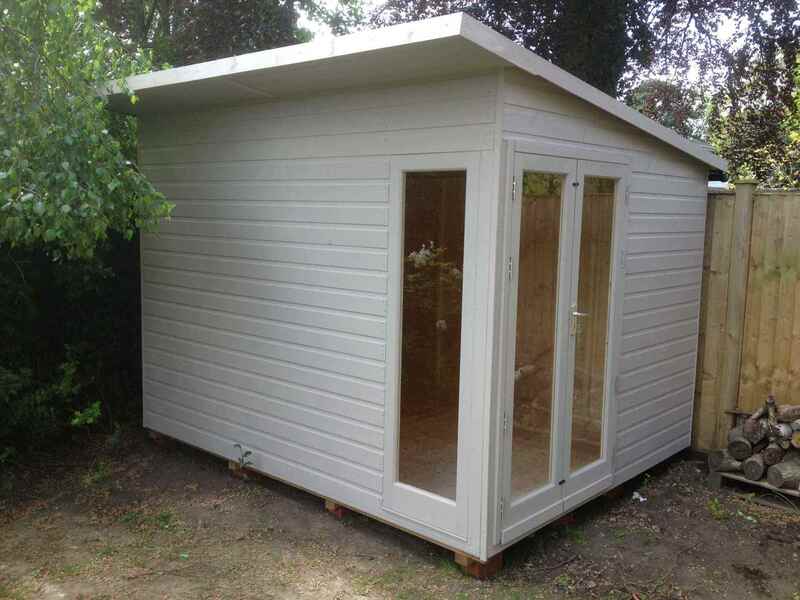 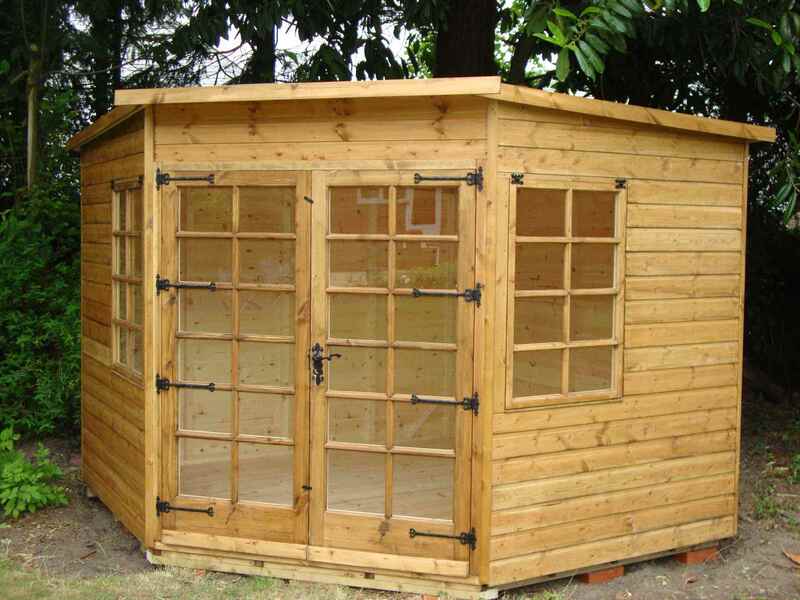 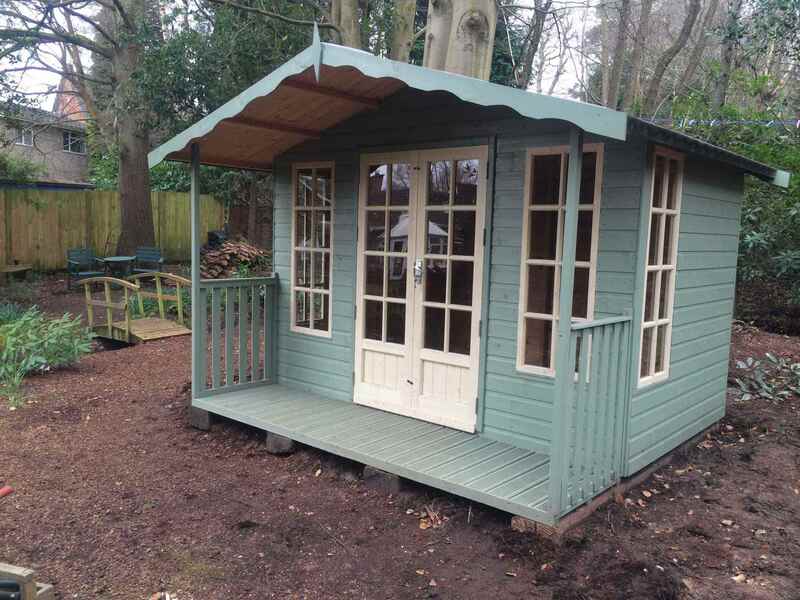 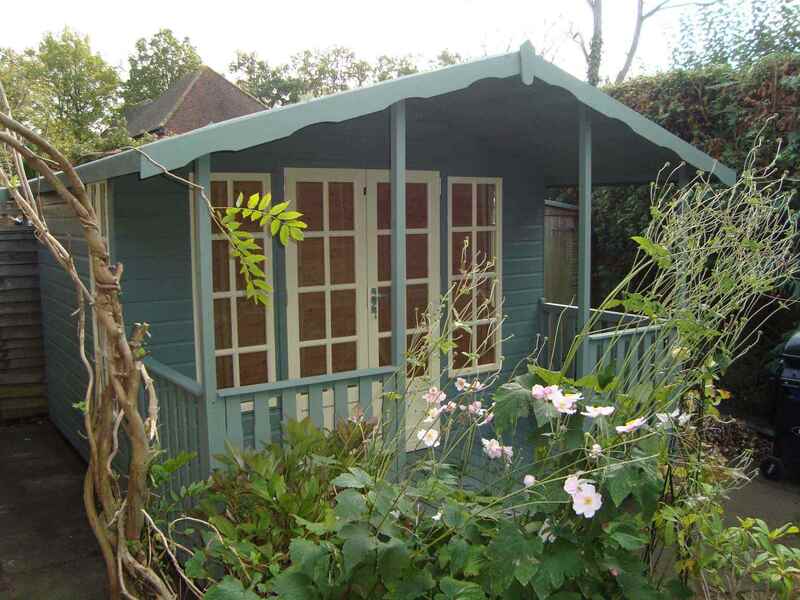 Enjoy your garden in style with a fine summer house, cabin or home office from our extensive range. 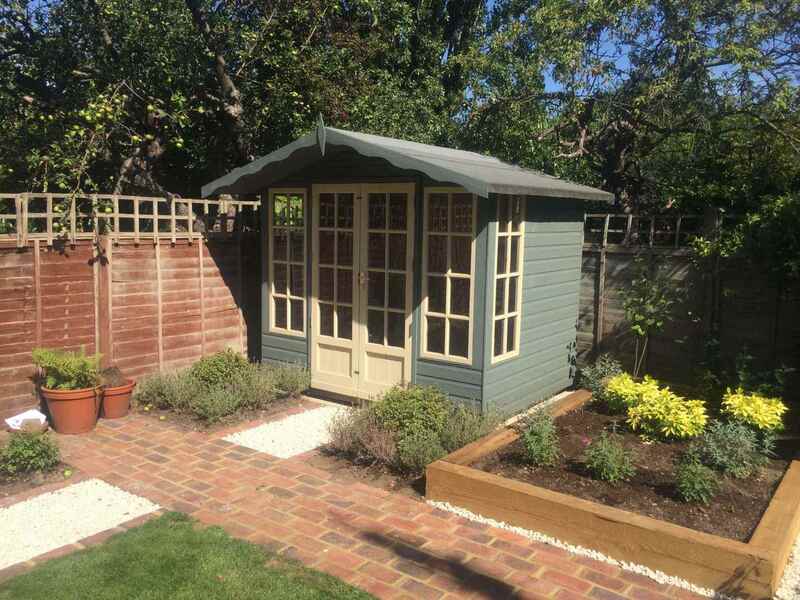 What better way to enjoy a fine day in your garden than relaxing with a newspaper and a glass of wine in the comfort of your summer house? 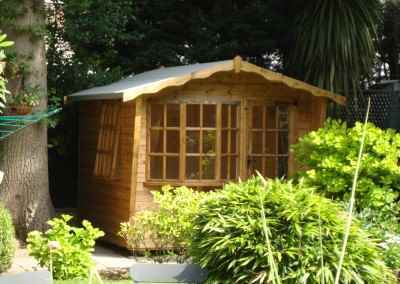 Or imagine being able to entertain guests in an attractive focal point of your garden. 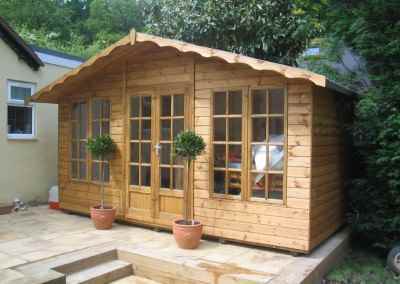 If insulated, summer houses can also be used in the winter, where they make the perfect place to snuggle up with a warm blanket and a hot drink. 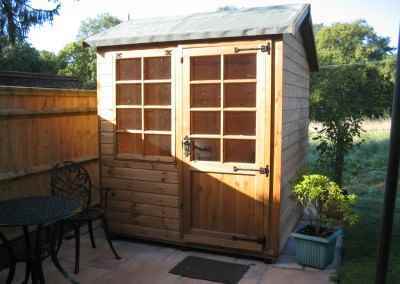 If you work from home, you may be looking for a way to create a self-contained office without sacrificing any valuable space in your home. A garden home office can be a fantastic way to achieve this. 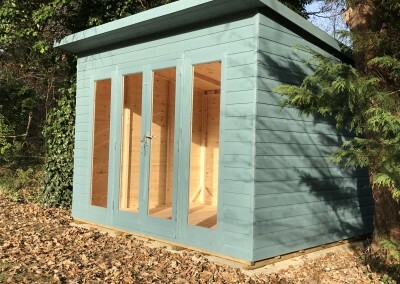 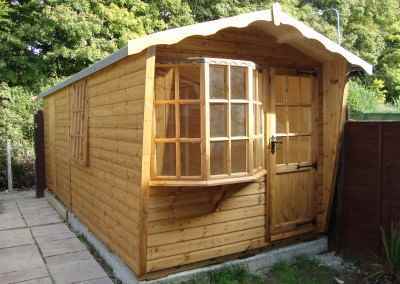 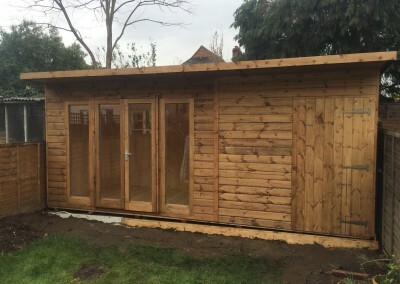 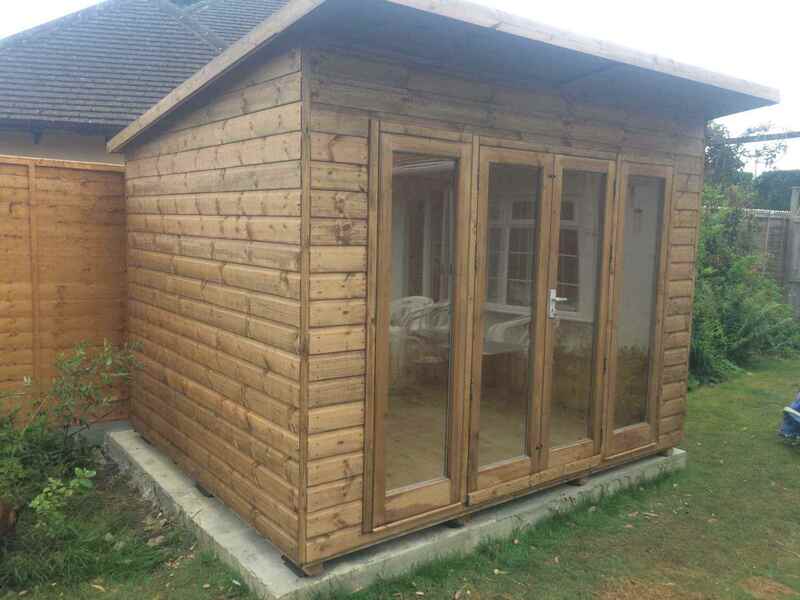 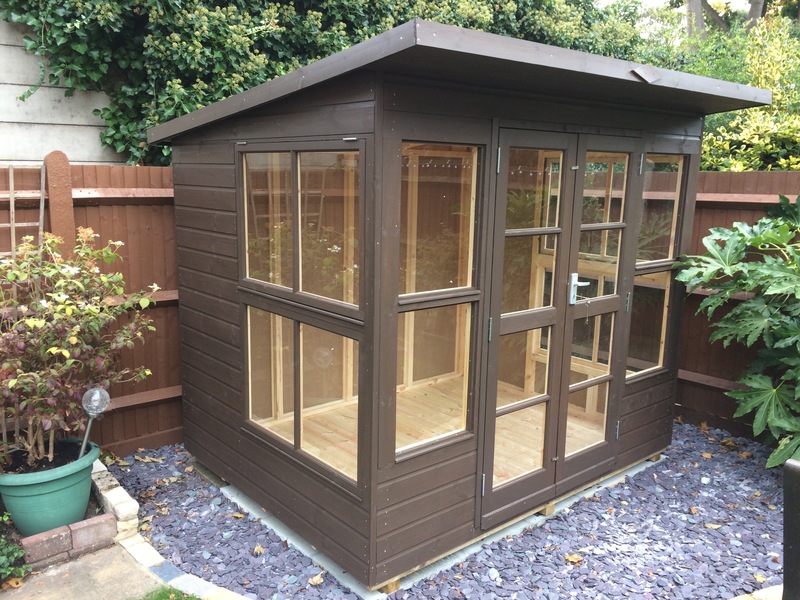 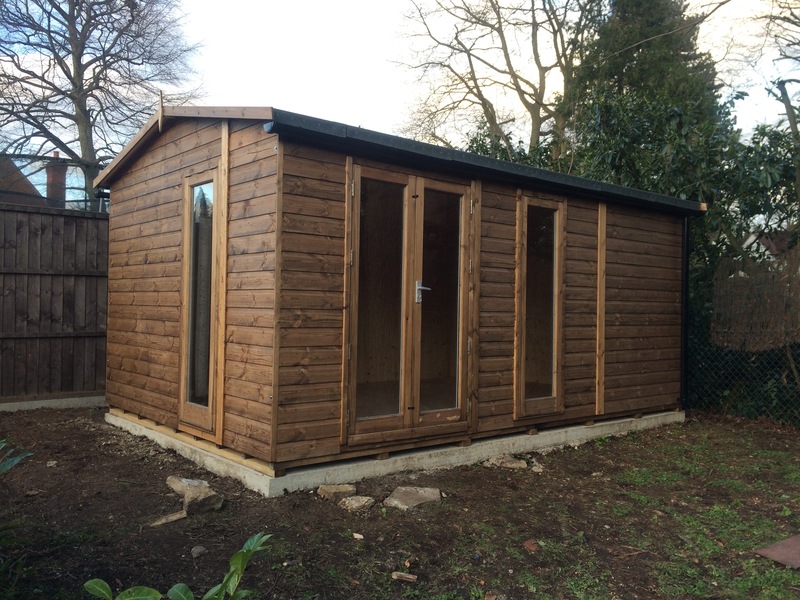 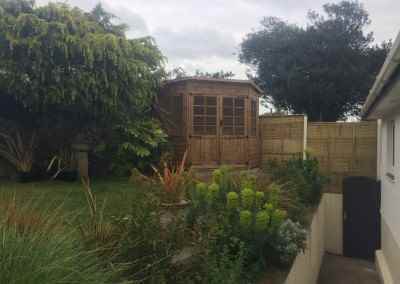 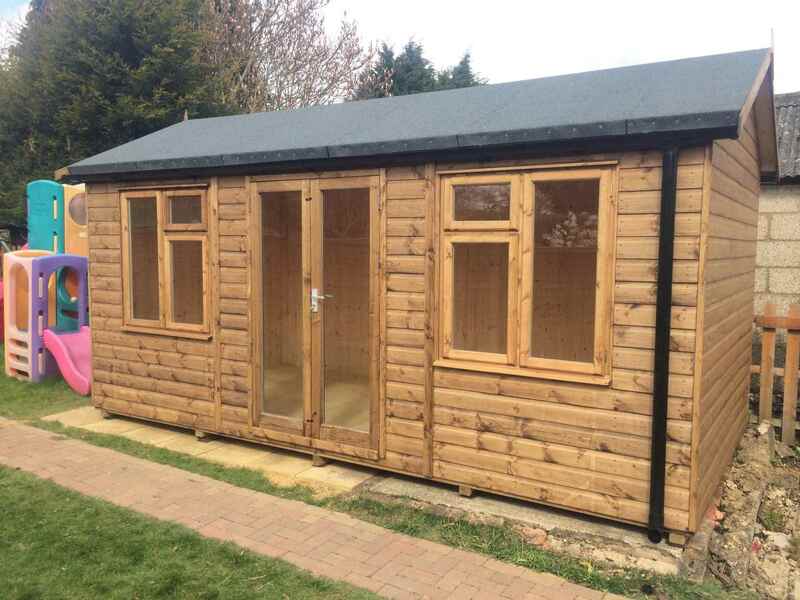 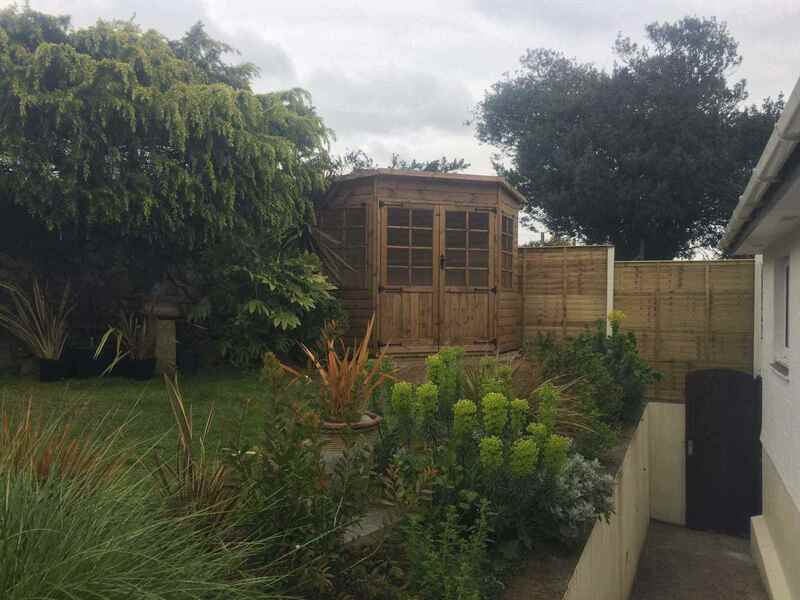 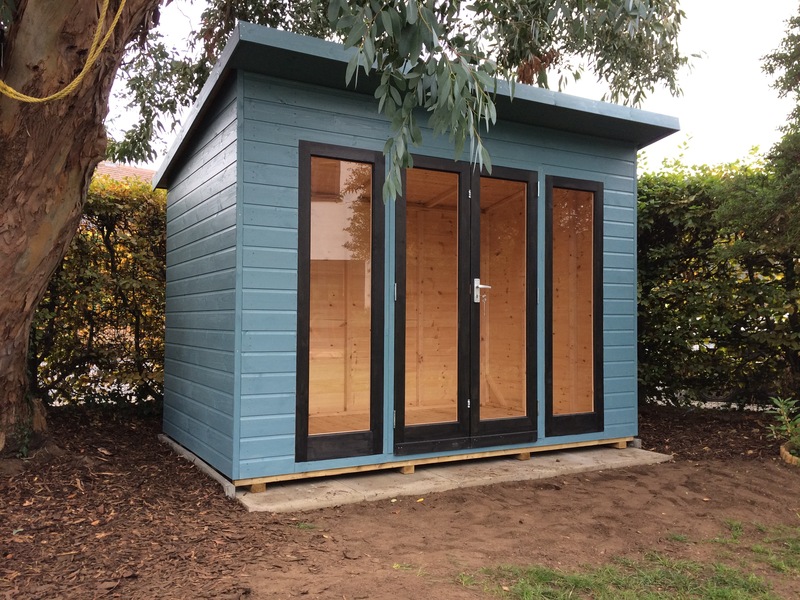 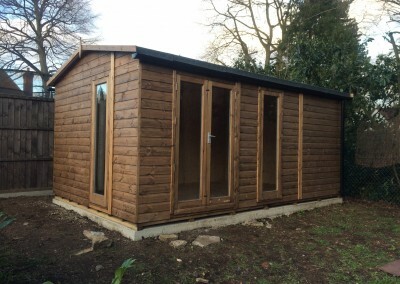 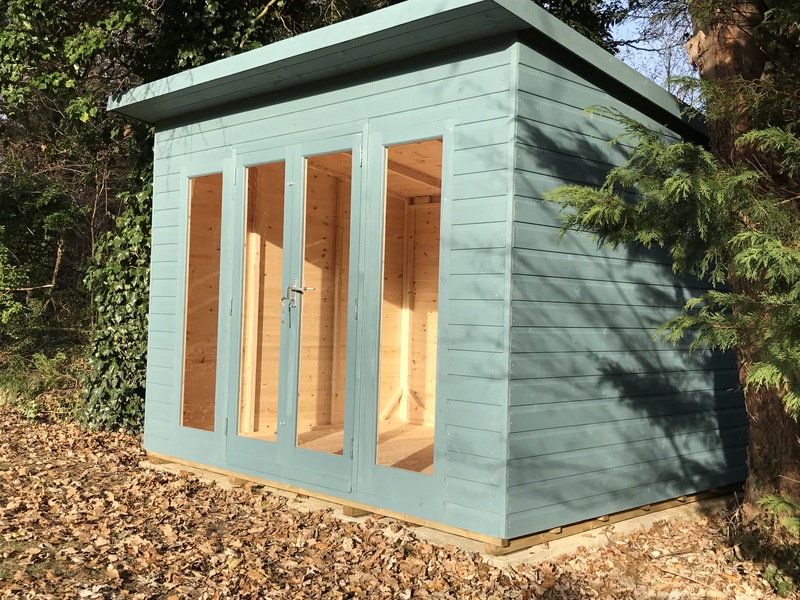 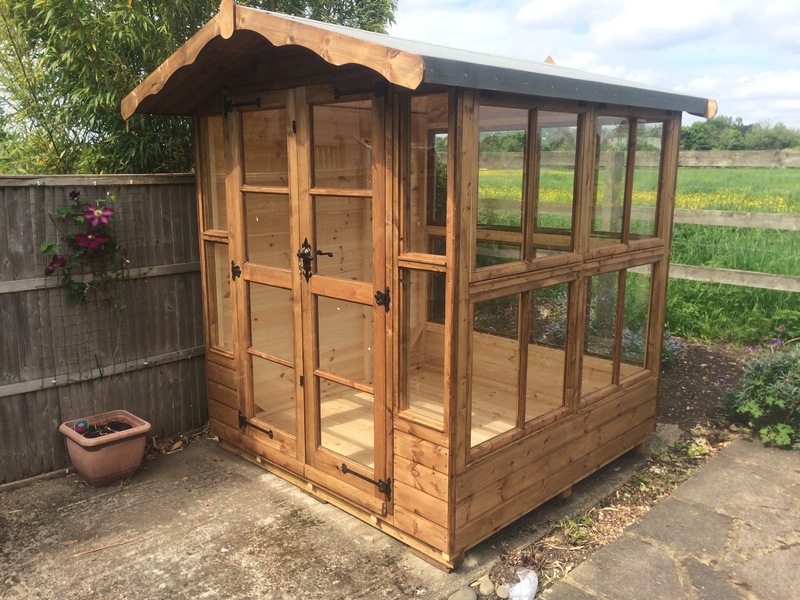 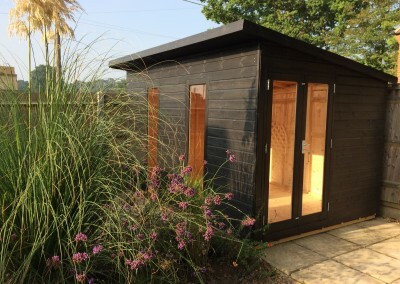 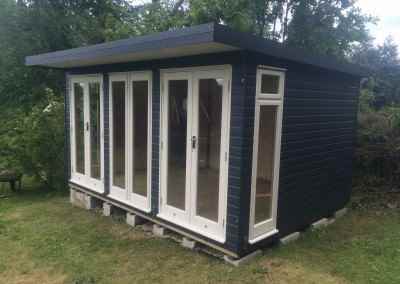 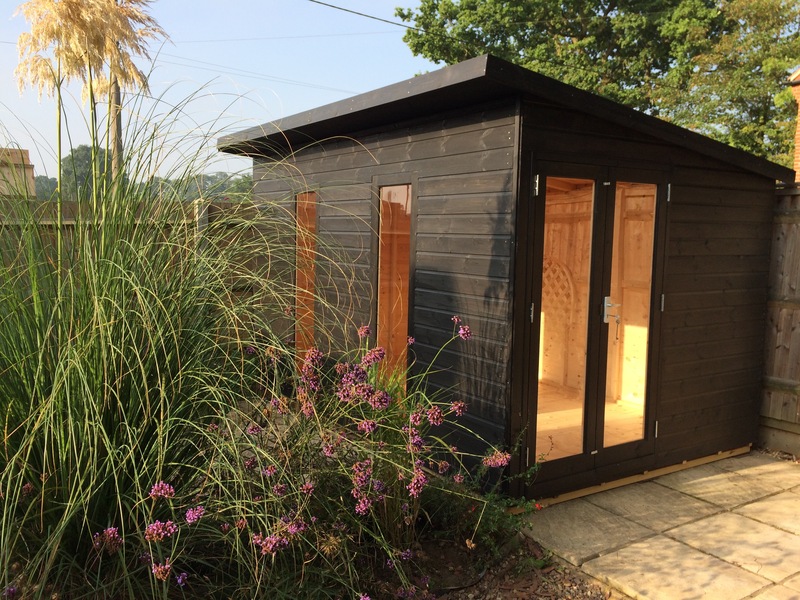 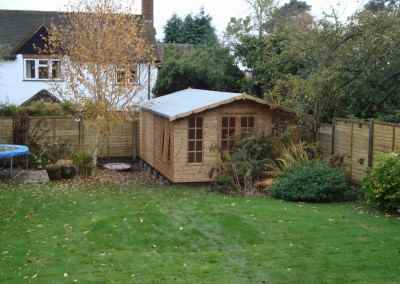 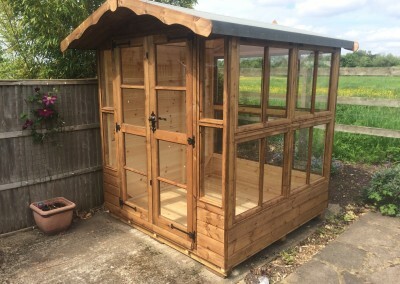 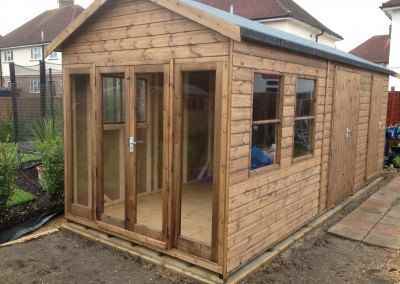 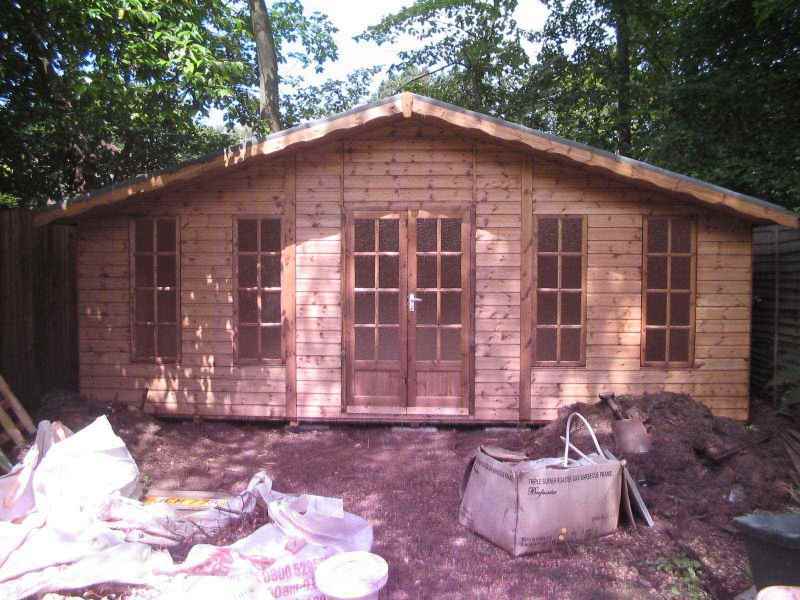 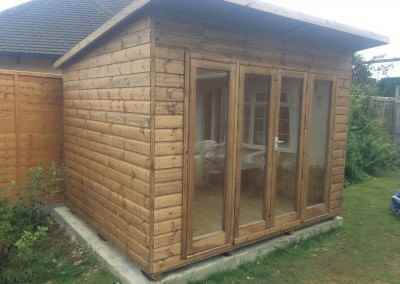 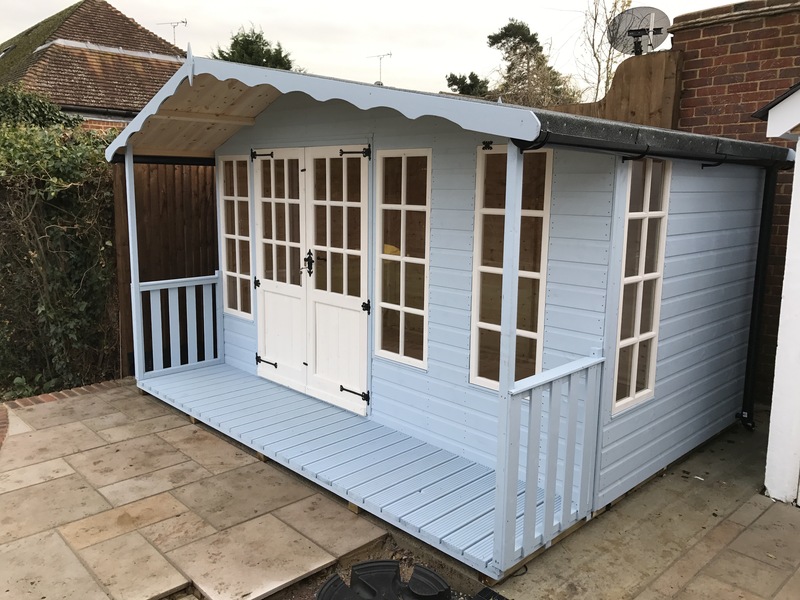 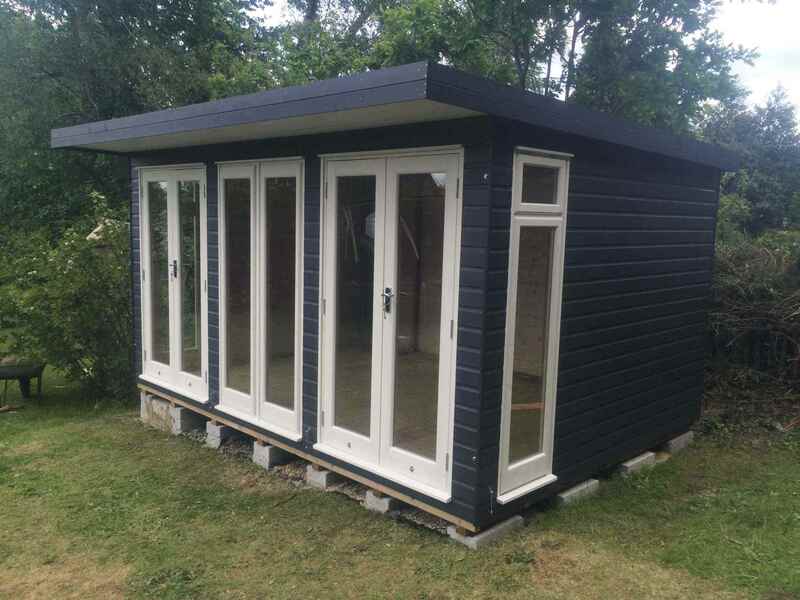 At MB Garden Buildings we can advise you on the best kind of garden building for this, incorporating a high level of features including full insulation, double glazed windows, security features, power and light, internet connections and more. 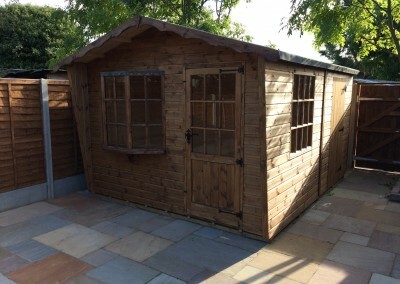 We can also recommend electricians who can help you get connected. 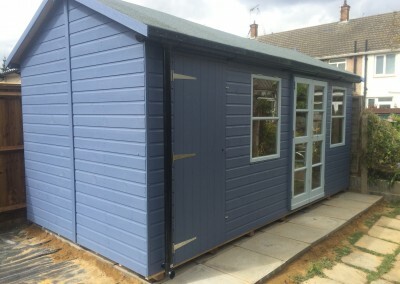 Option to add additional extras such as painted finish in the colour of your choice, double glazing, felted roof tiles, guttering etc – please see our optional extras link. 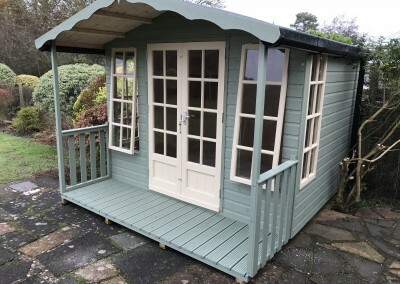 A level of service and attention to detail that’s second to none. 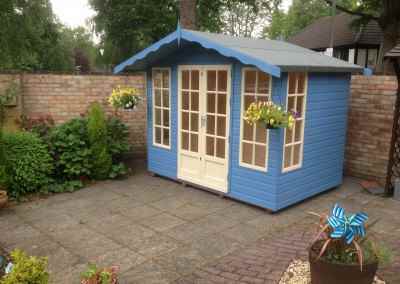 Deluxe Studio 8×8, Heavy Torch-On Felt. 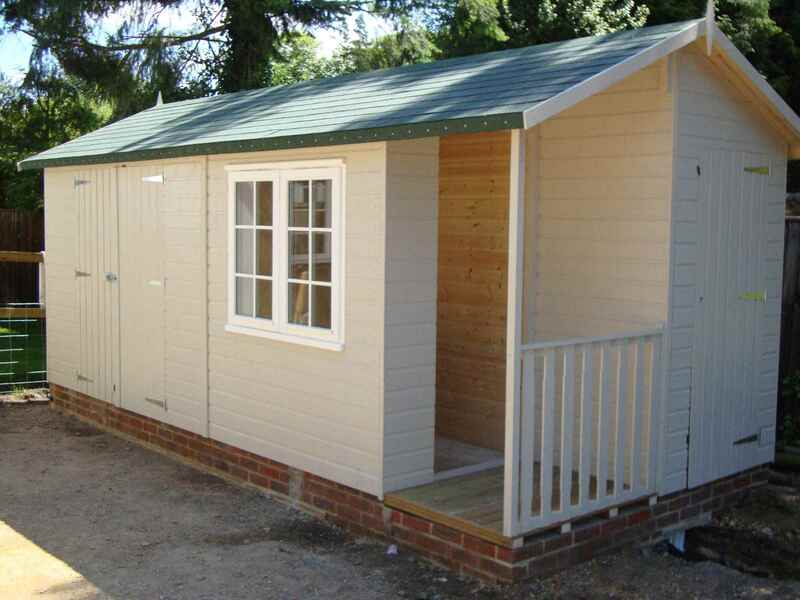 Deluxe Studio 9×9, Shades Finish. 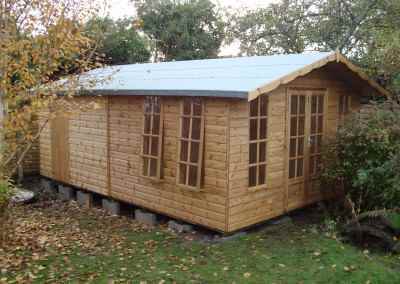 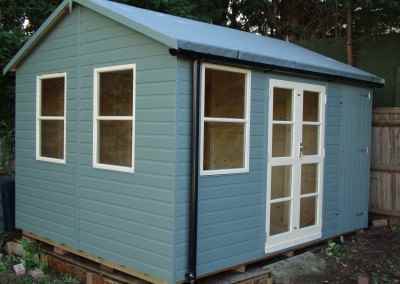 Deluxe Studio 12×8, Heavy Torch-On Felt, Guttering & Downpipes. 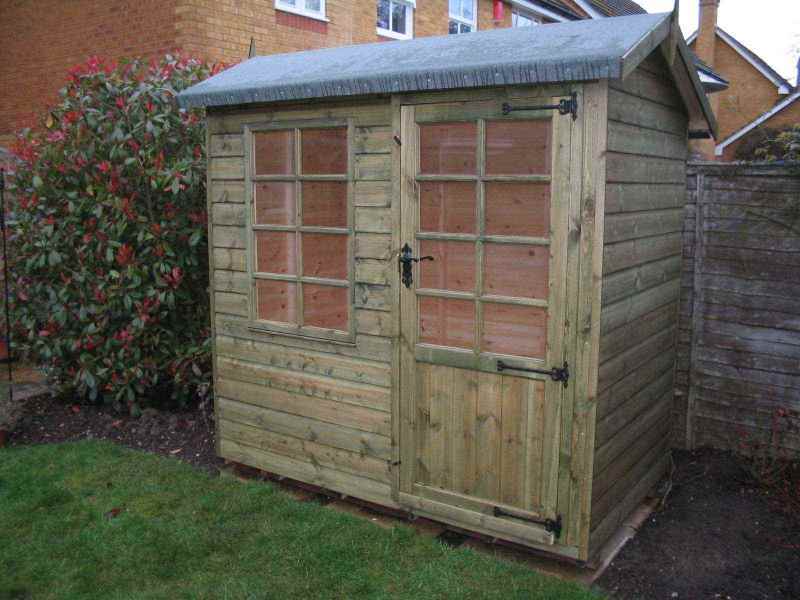 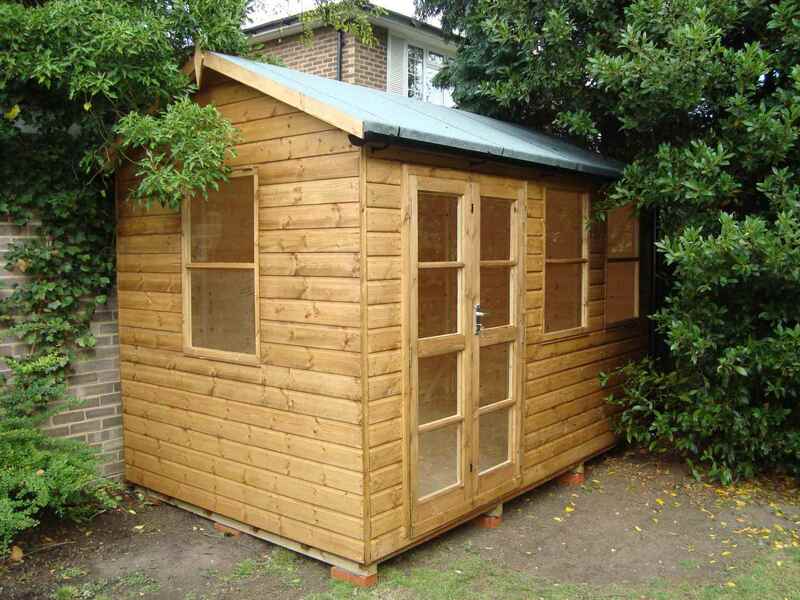 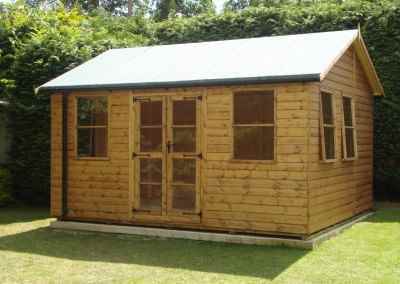 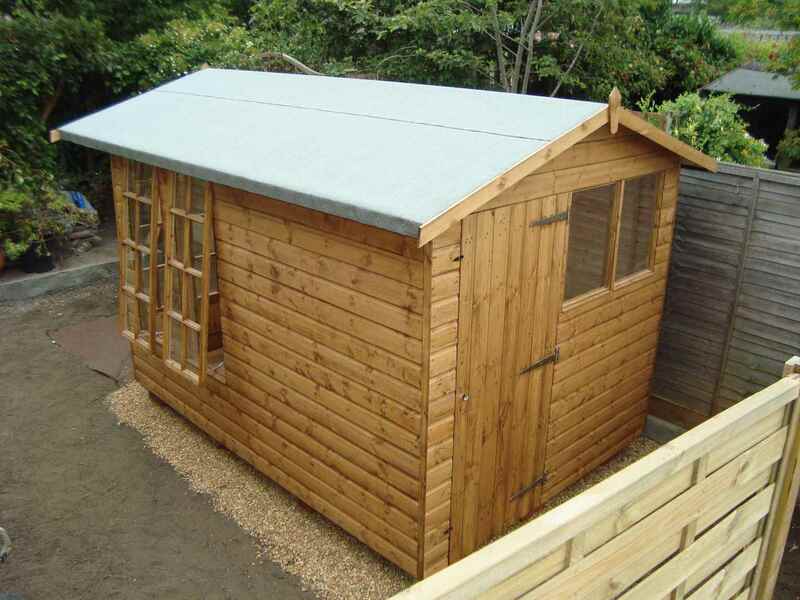 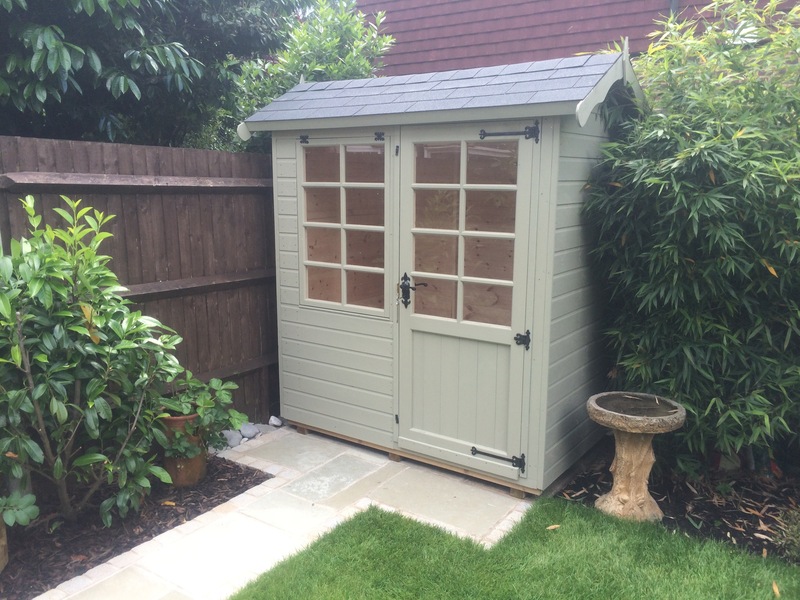 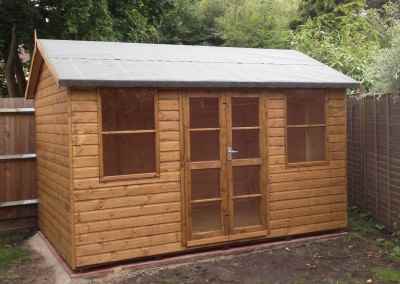 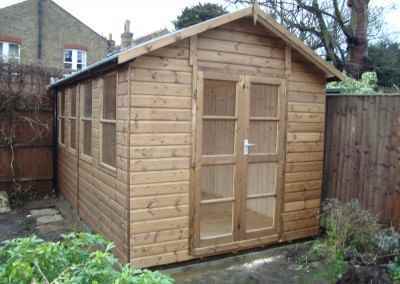 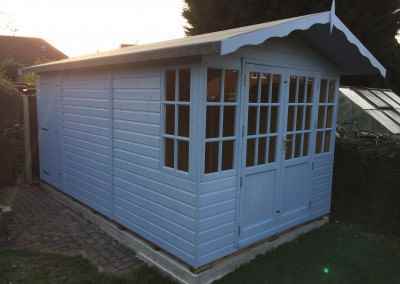 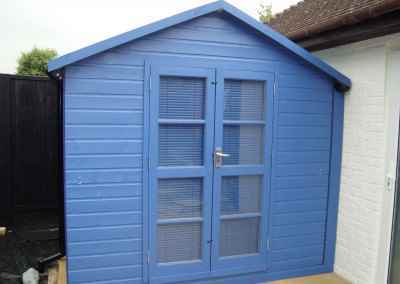 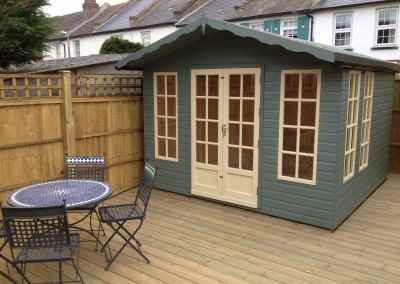 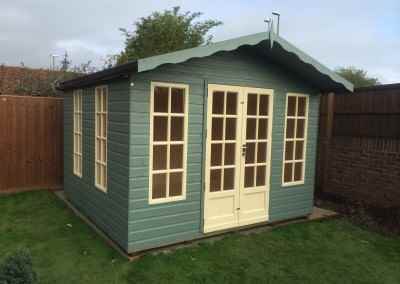 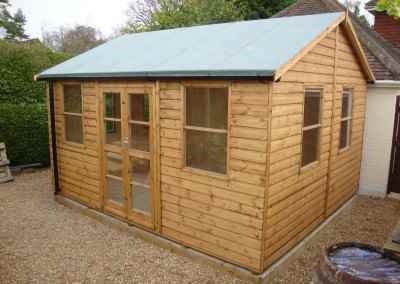 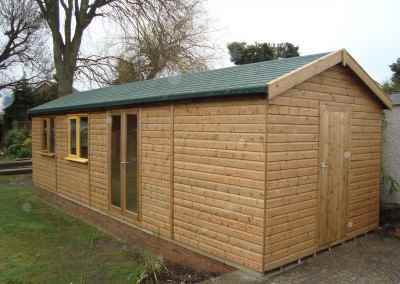 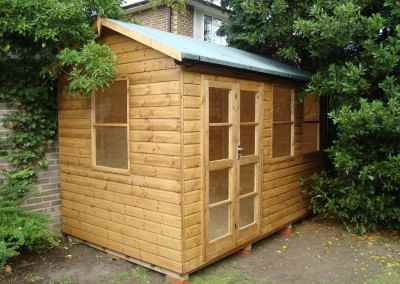 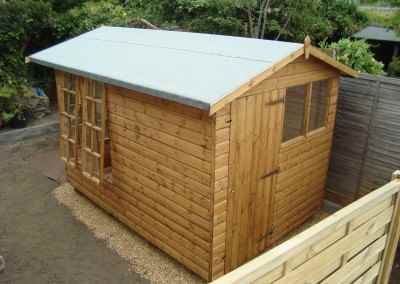 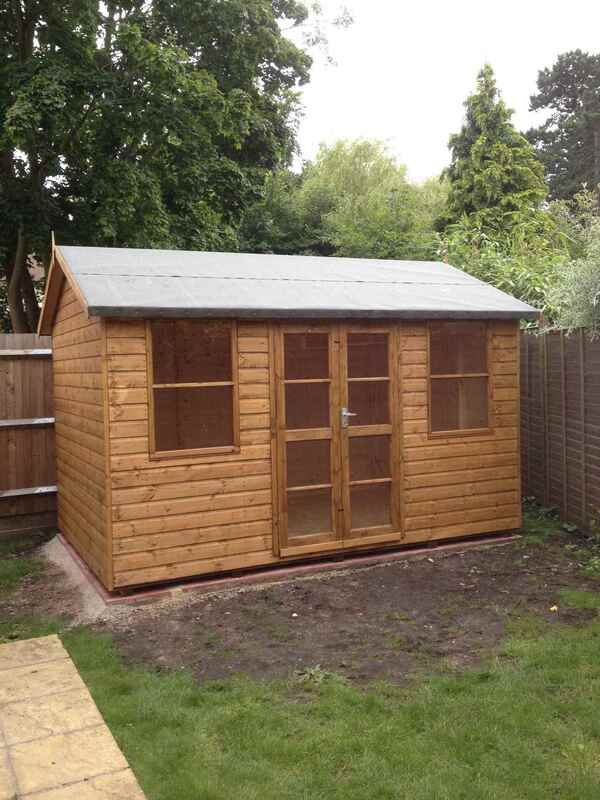 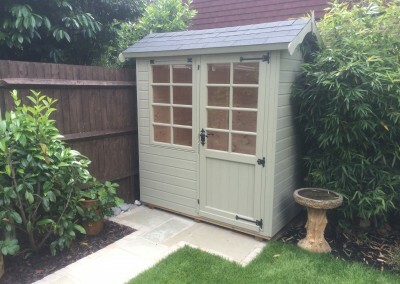 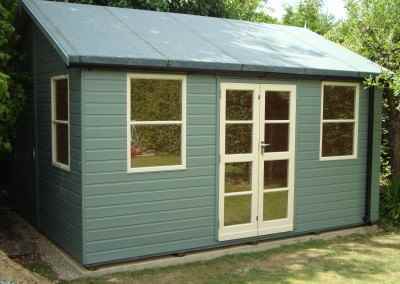 Deluxe Studio 14×10, Heavy Torch-On Felt, 6mm Ply Lined and Insuulated, Gutter & Downpipes, Shades Finish. 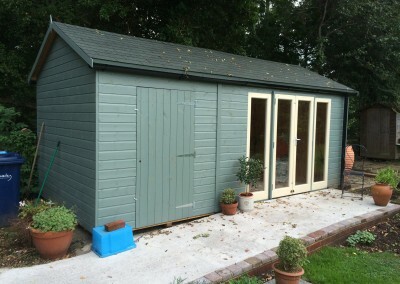 Deluxe Studio with Painted Finish. 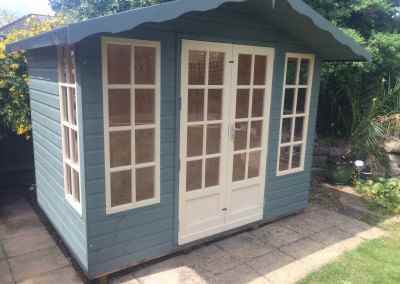 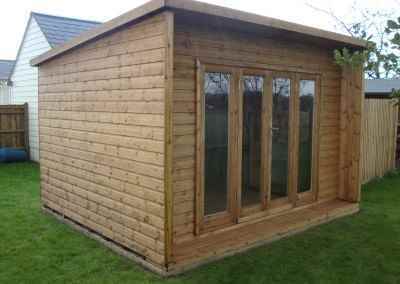 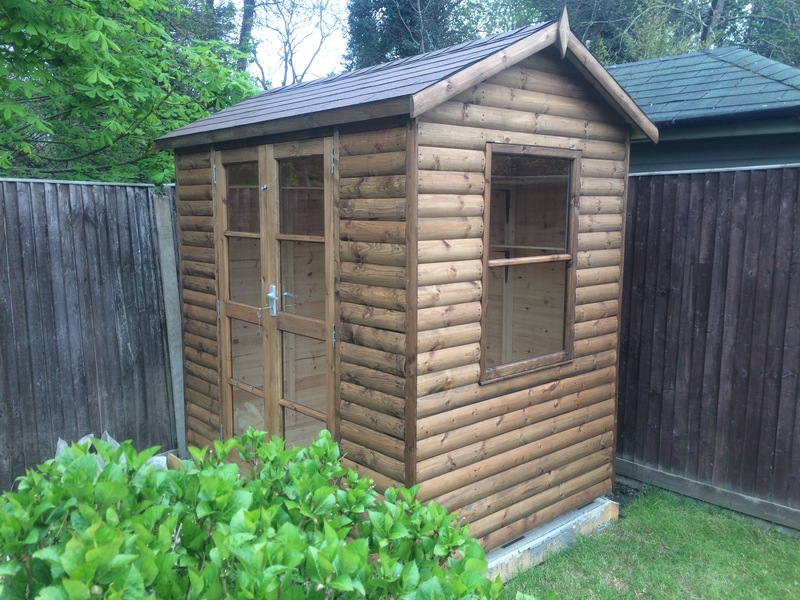 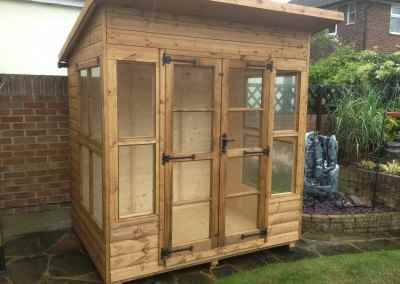 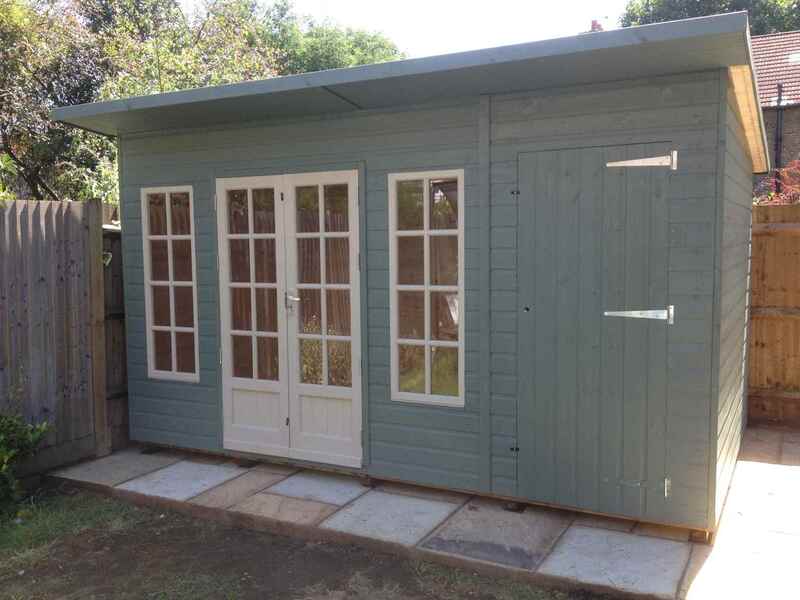 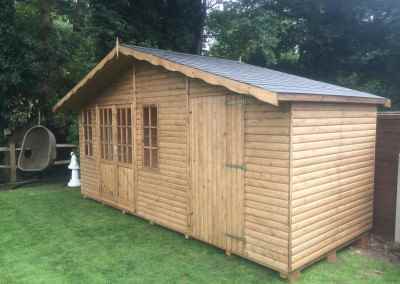 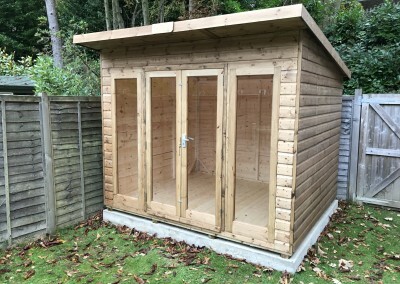 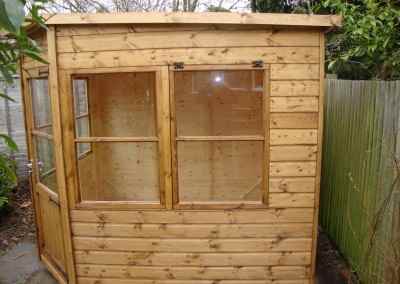 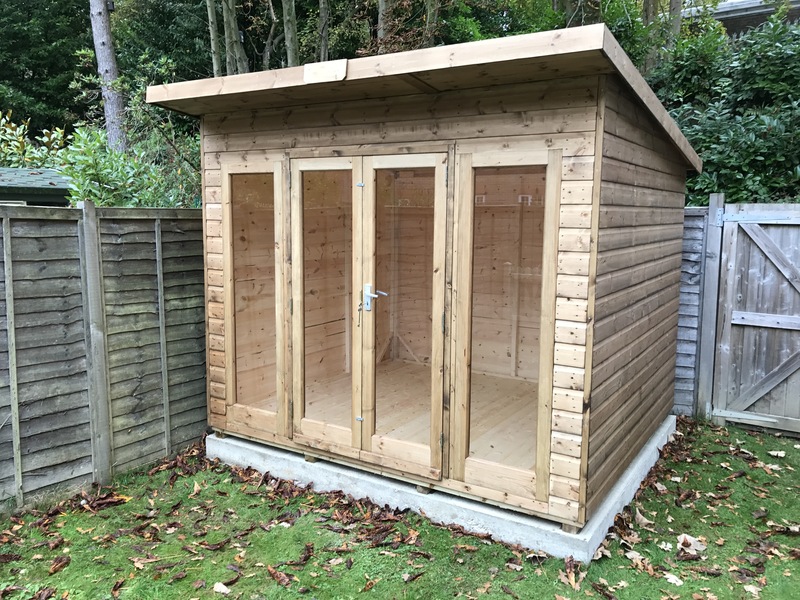 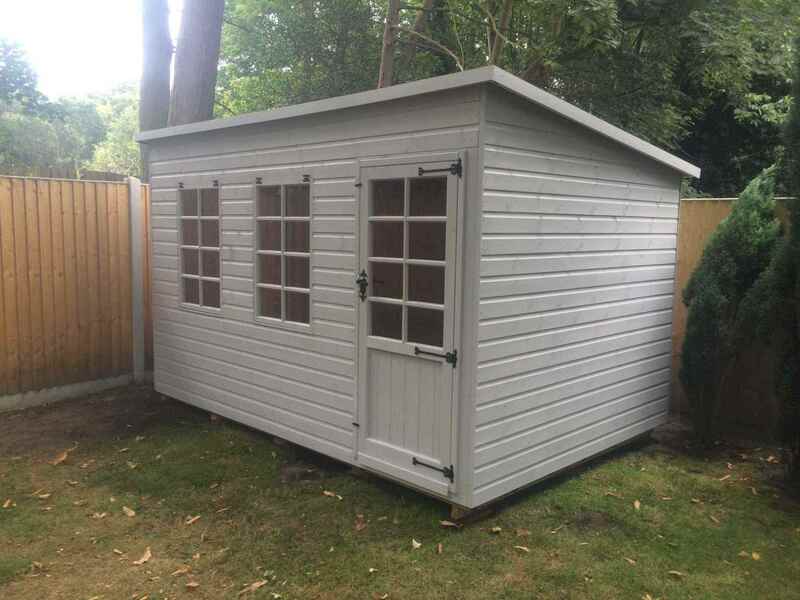 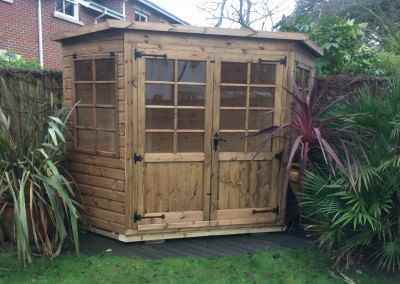 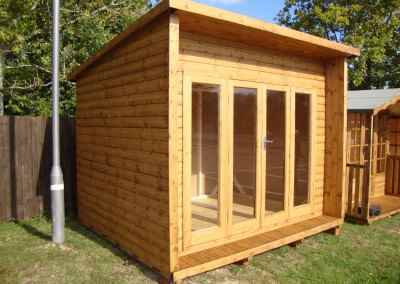 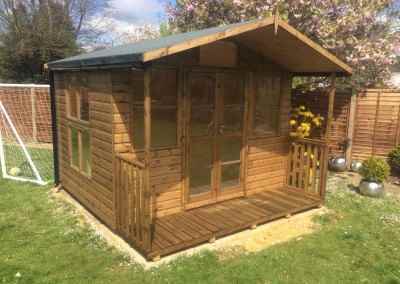 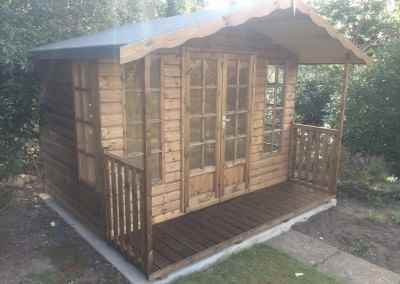 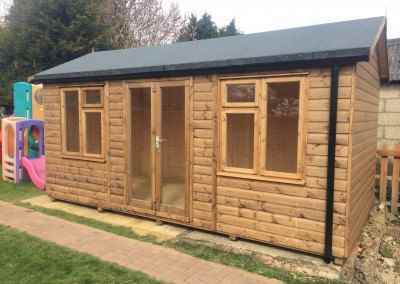 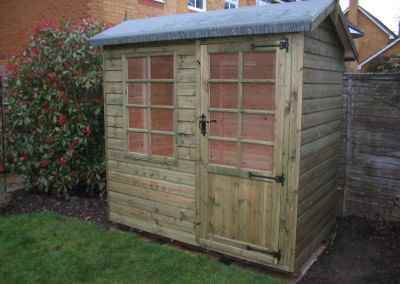 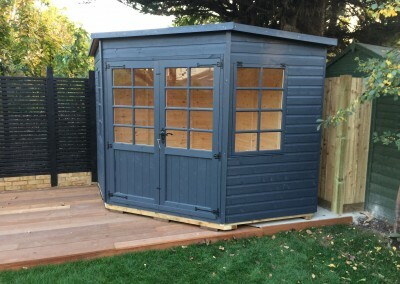 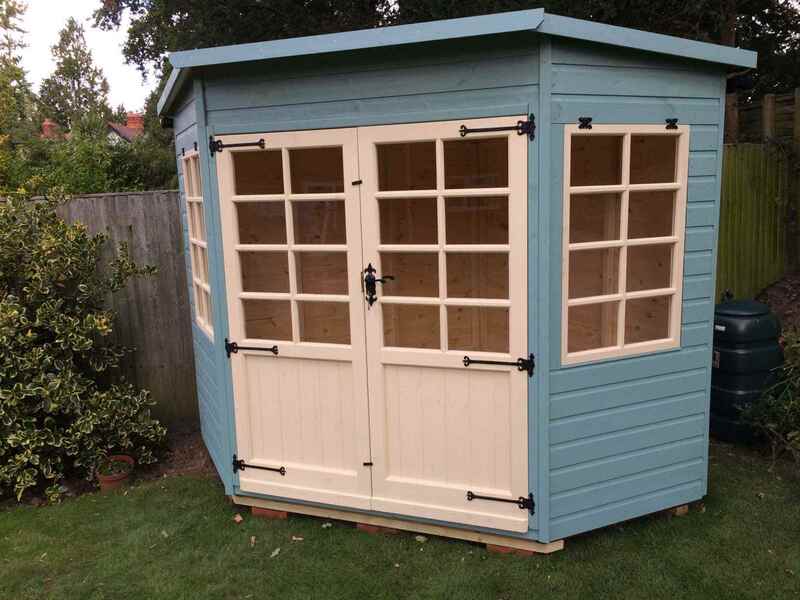 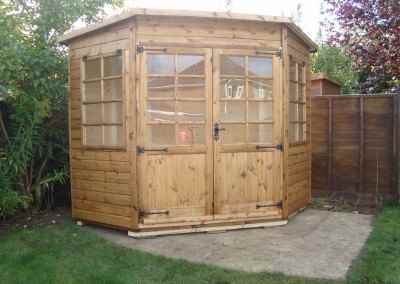 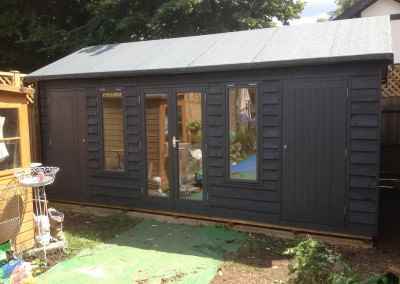 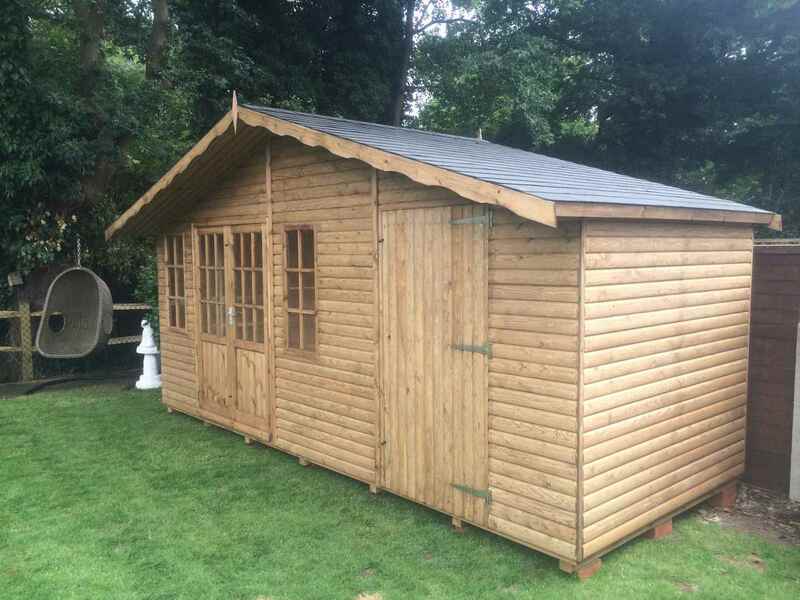 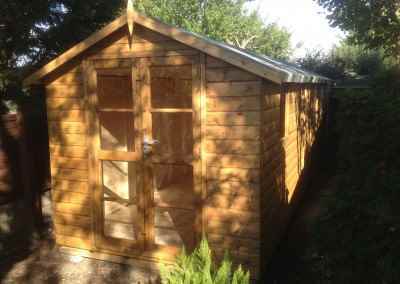 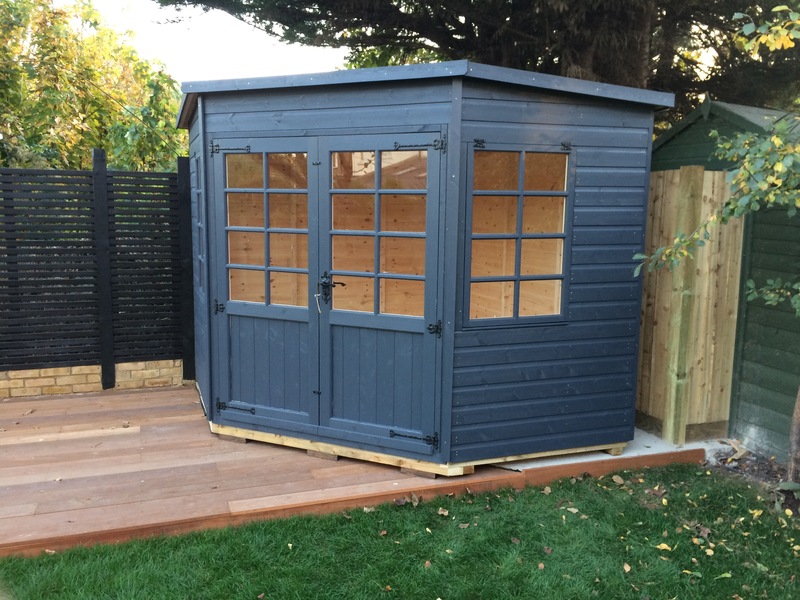 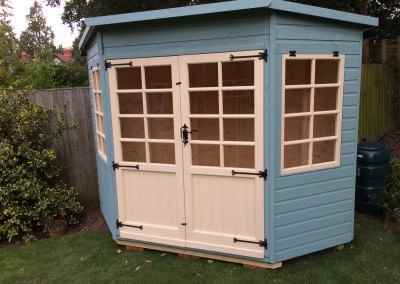 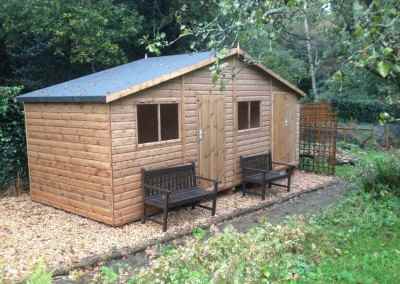 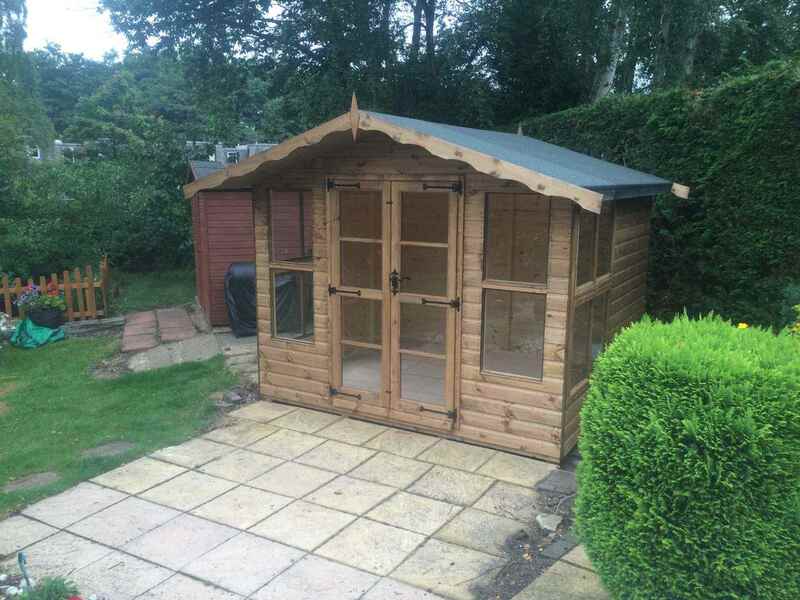 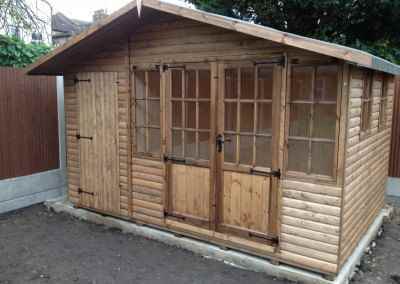 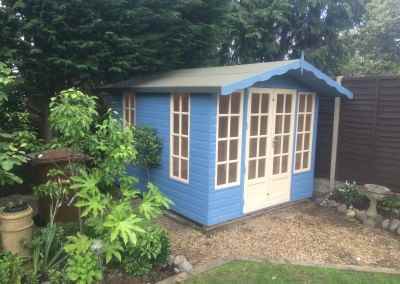 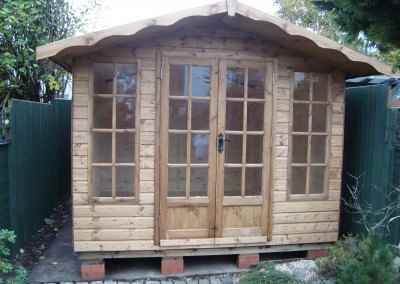 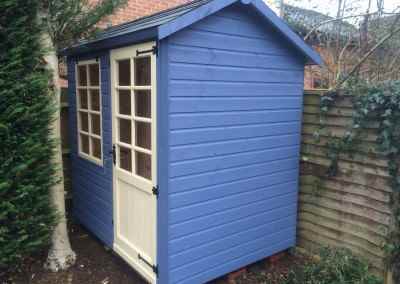 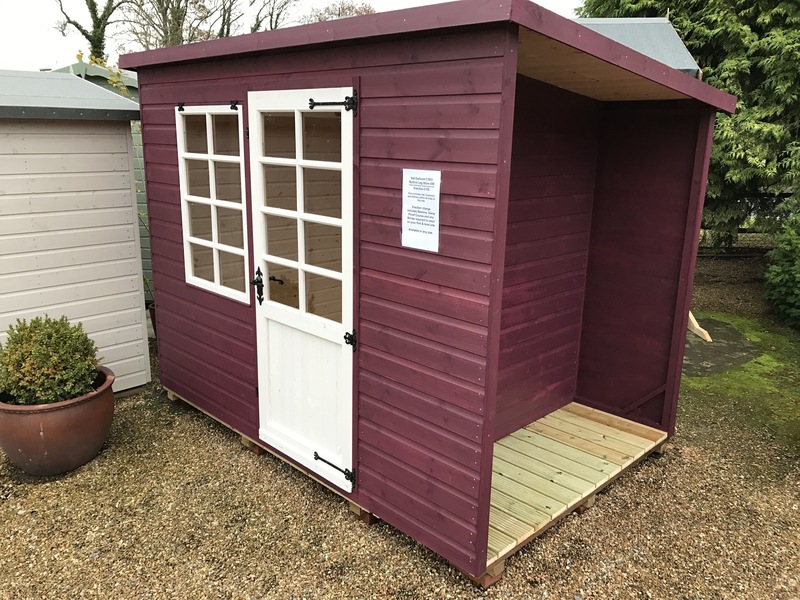 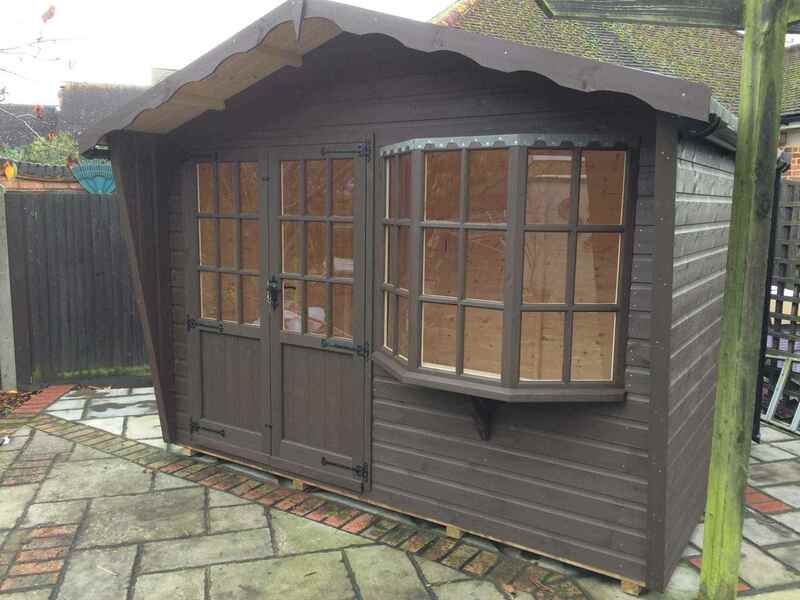 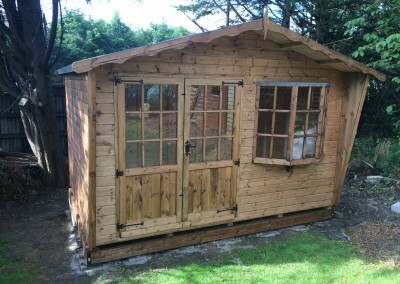 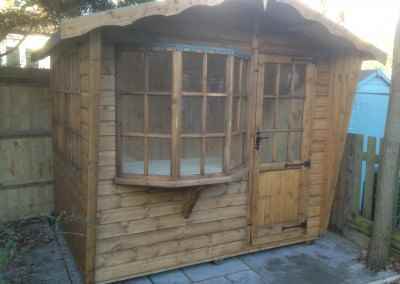 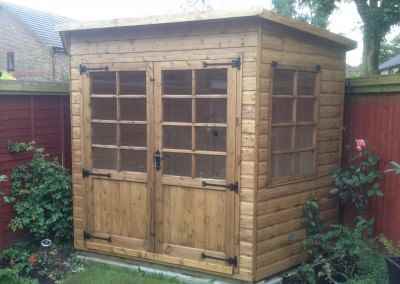 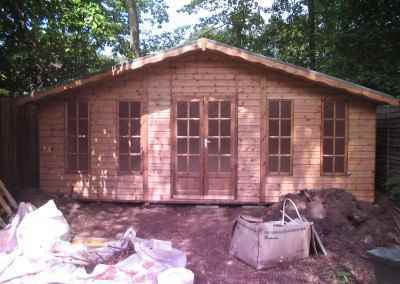 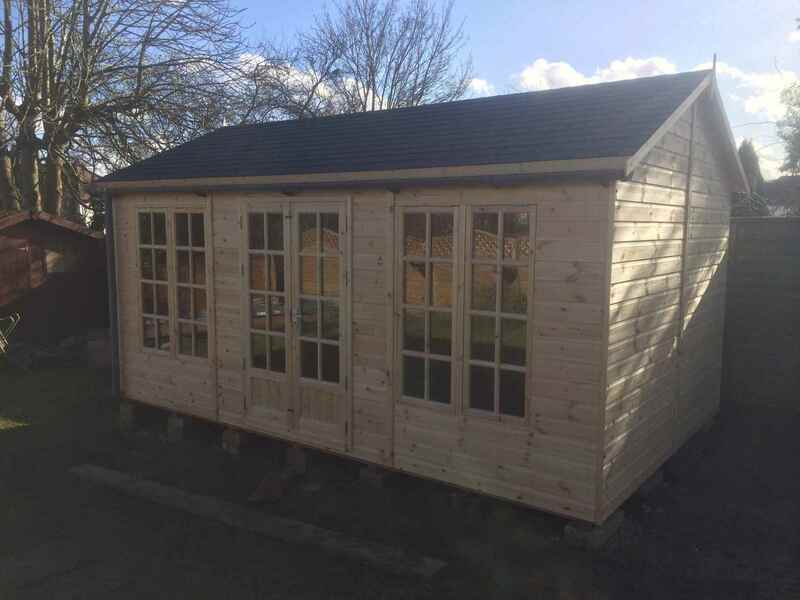 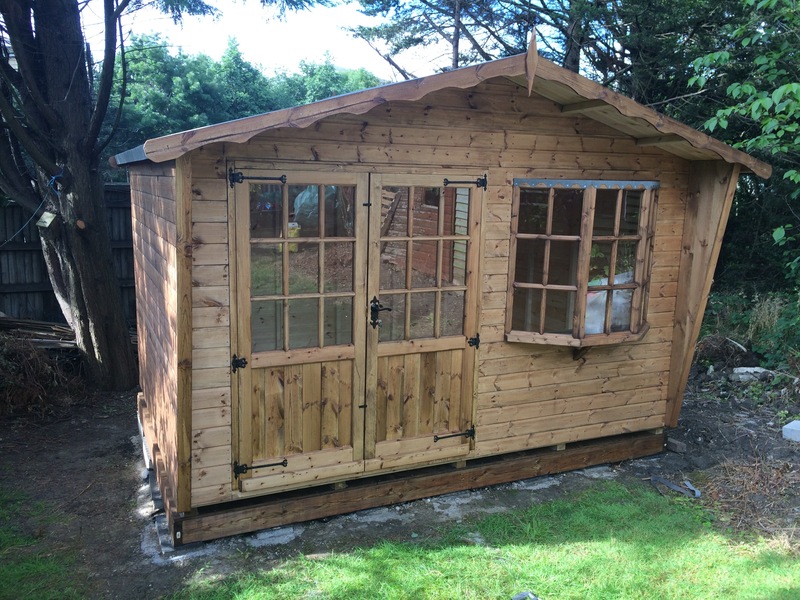 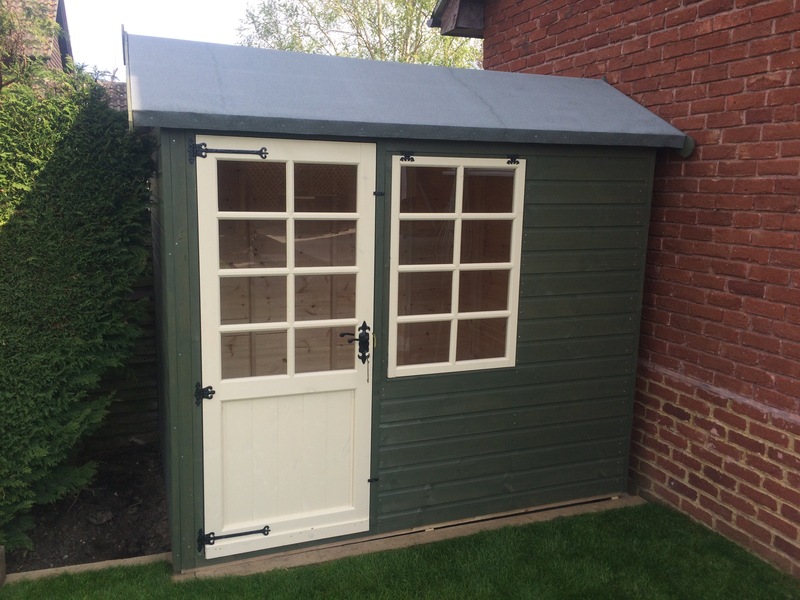 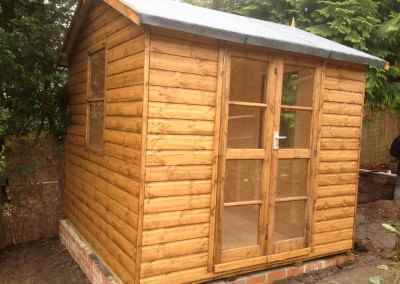 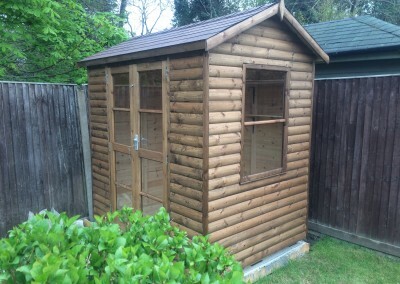 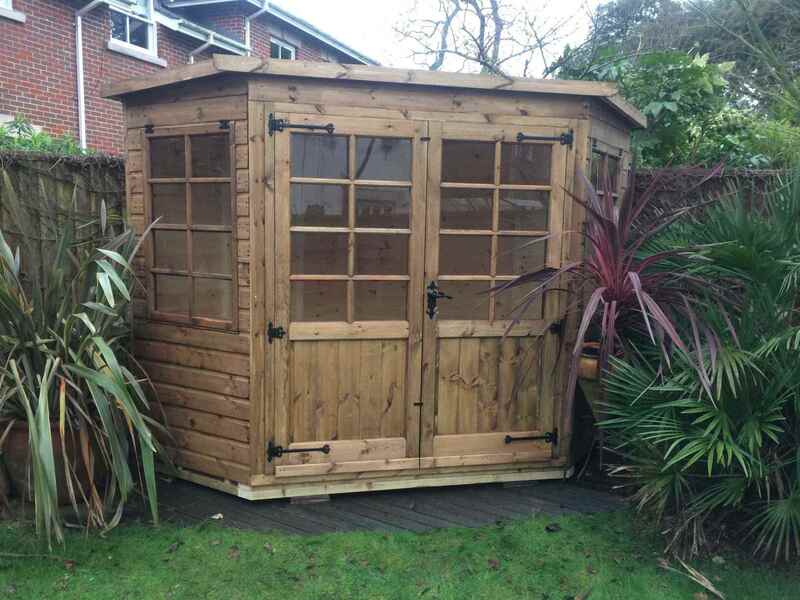 Deluxe Studio 16×10 with Ascot Doors, Shallow Roof Pitch, Heavy Torch-On Felt, T&Gv Lining & Insulation, Double Glazing and Guttering. 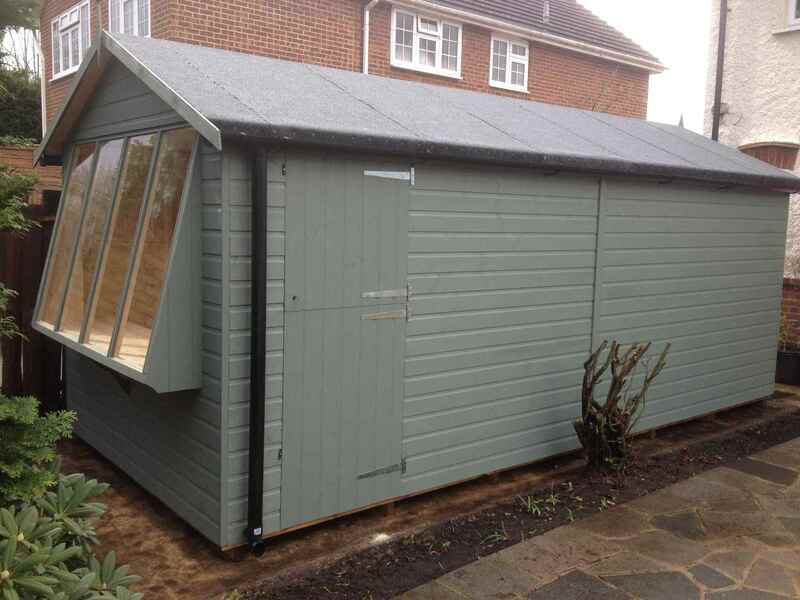 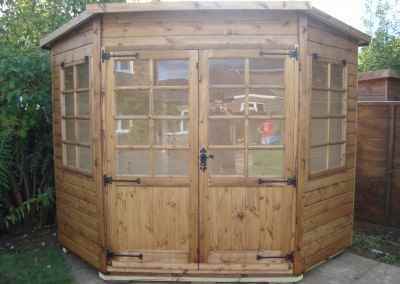 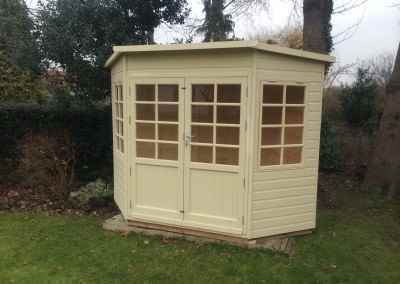 Ascot 14×7, &Gv Lined and Insulated, Shed Compartment, Shades Finish. 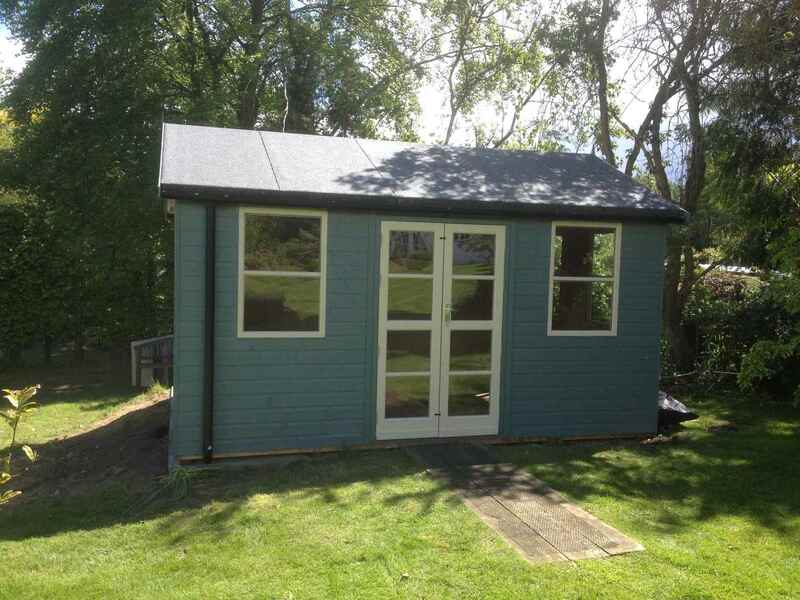 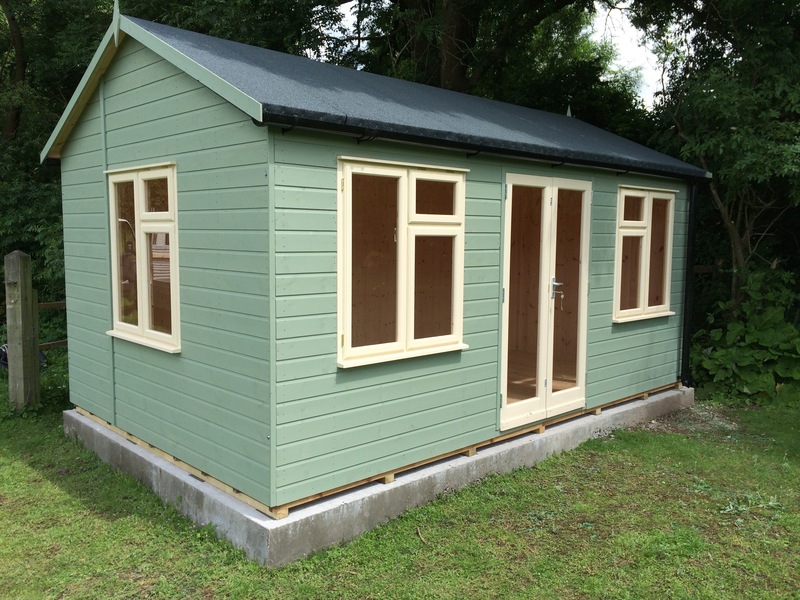 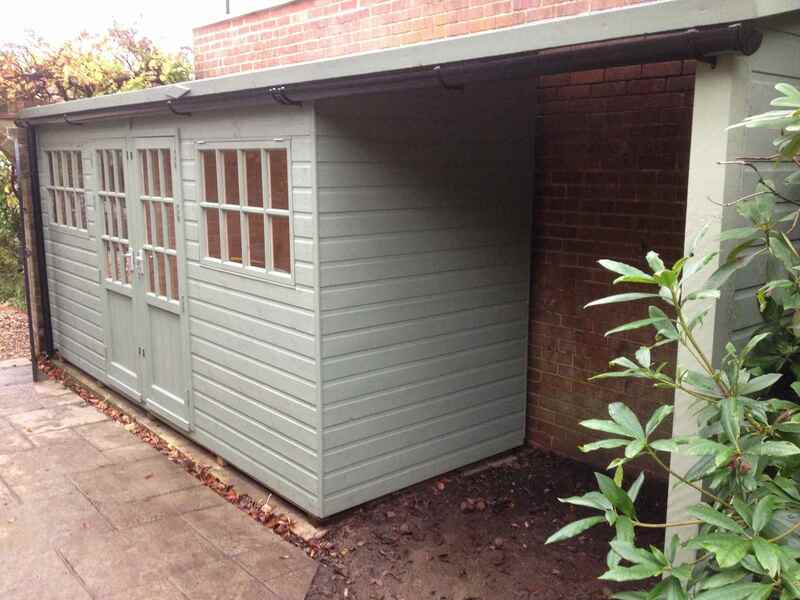 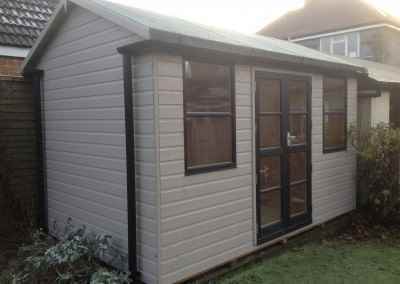 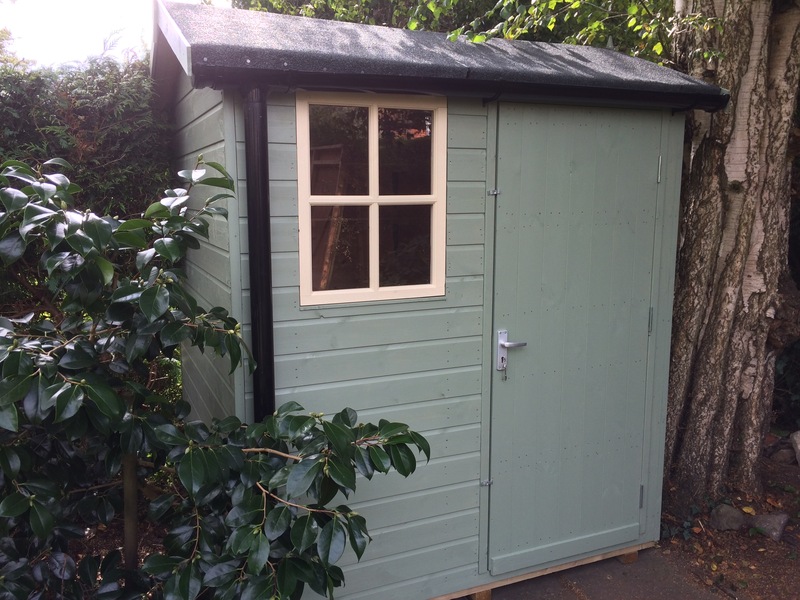 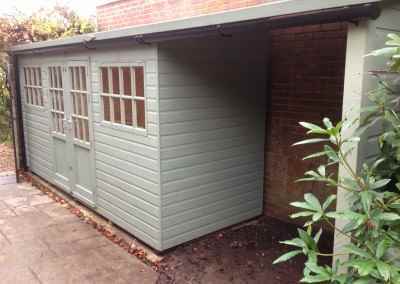 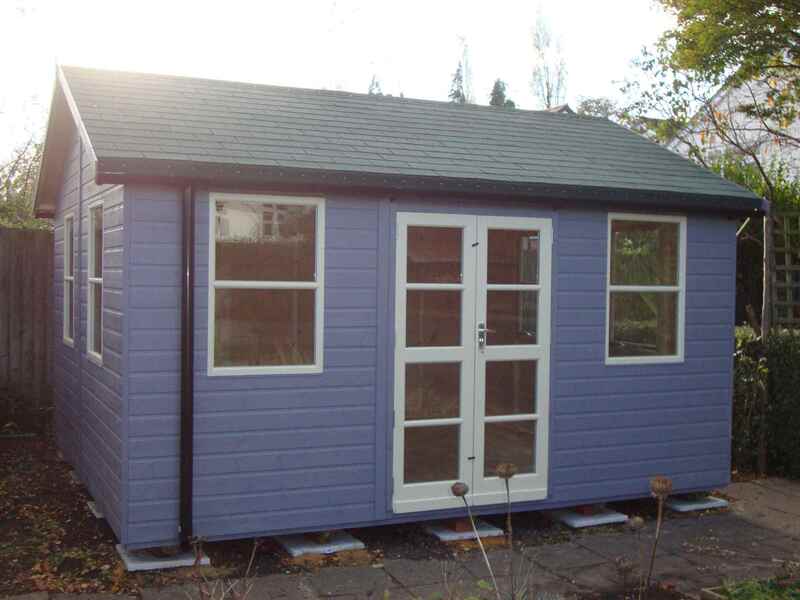 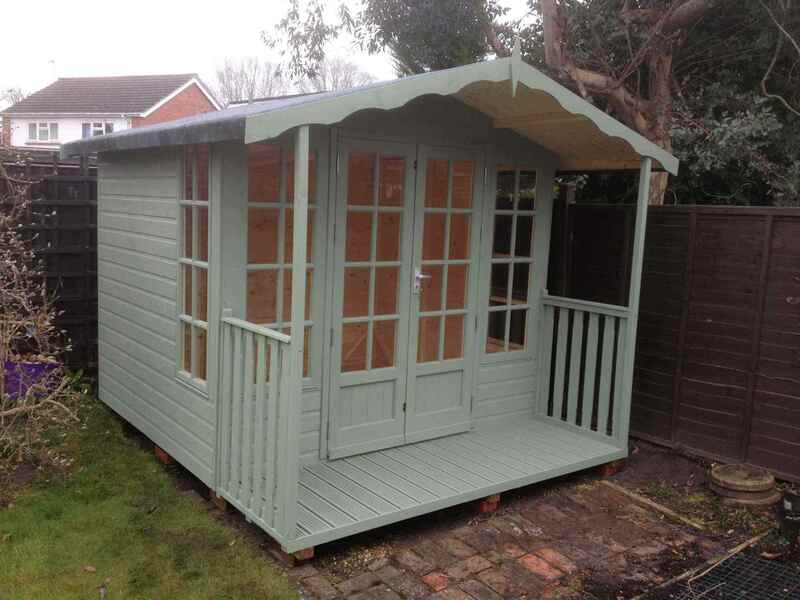 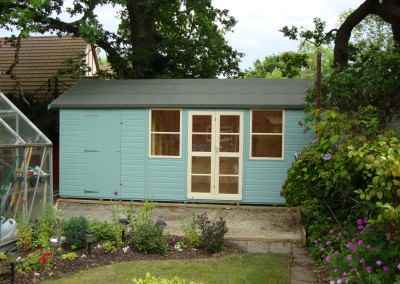 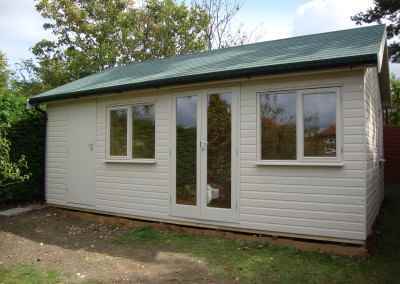 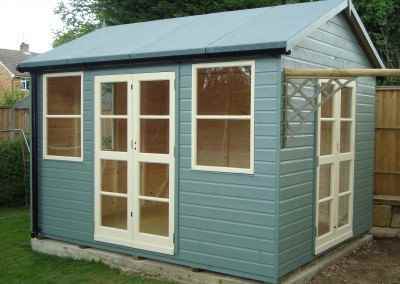 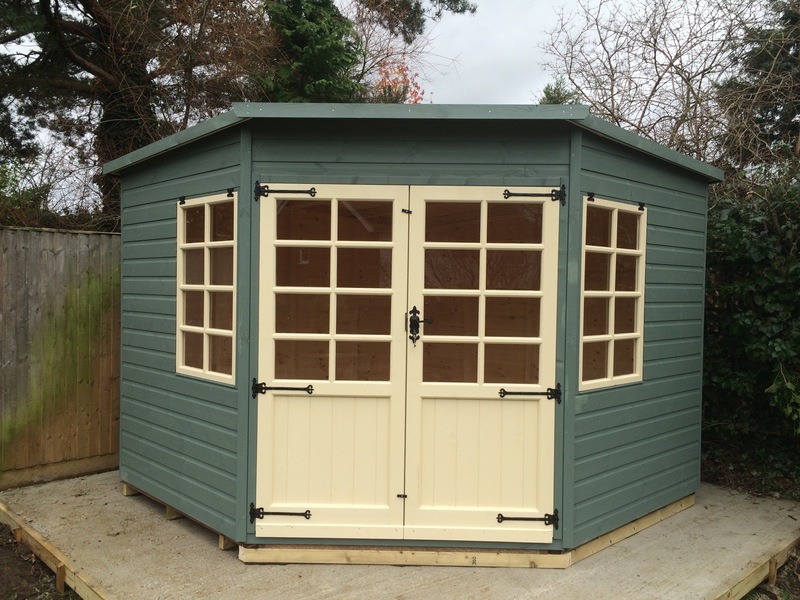 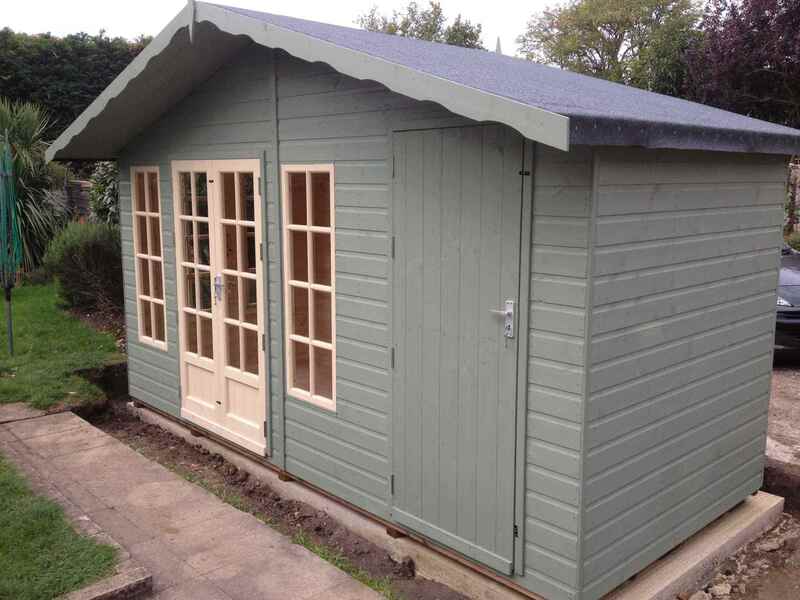 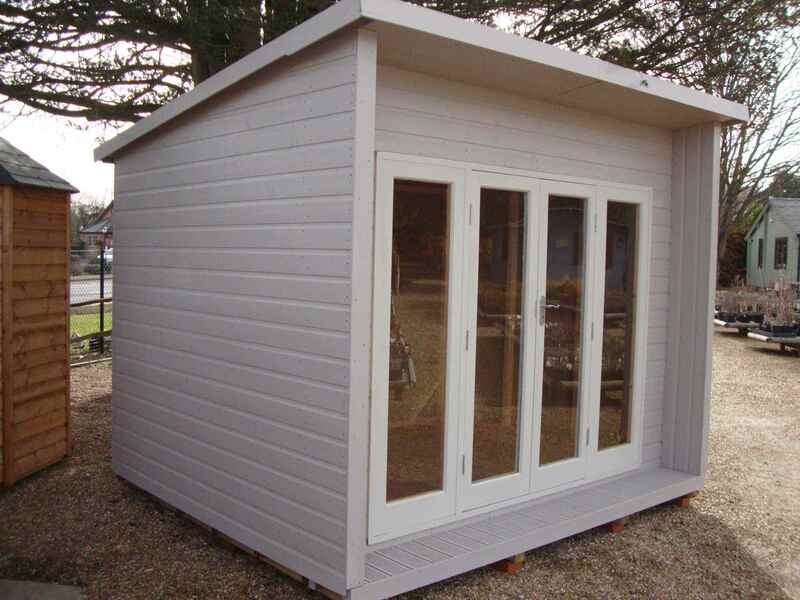 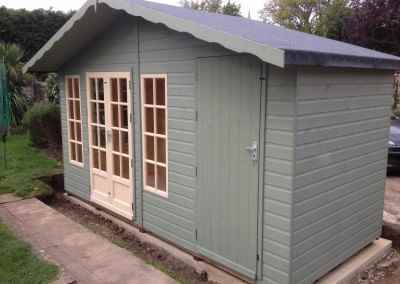 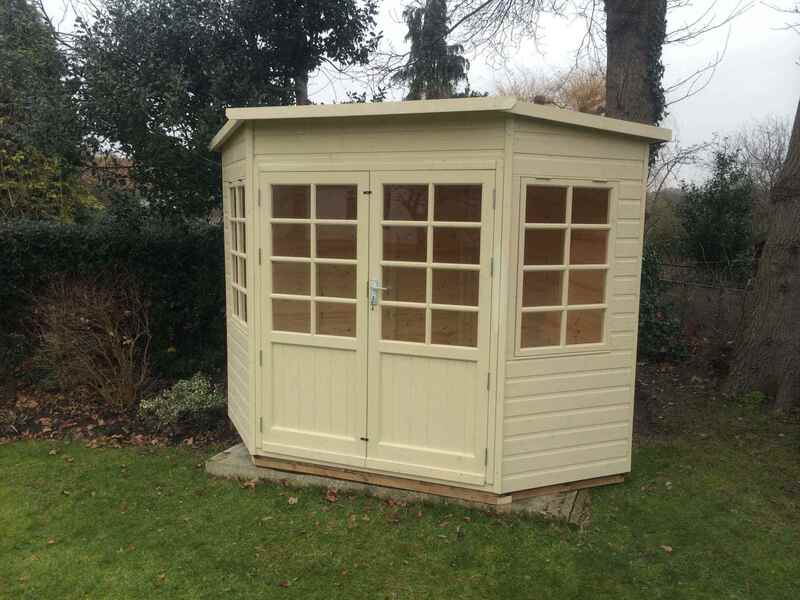 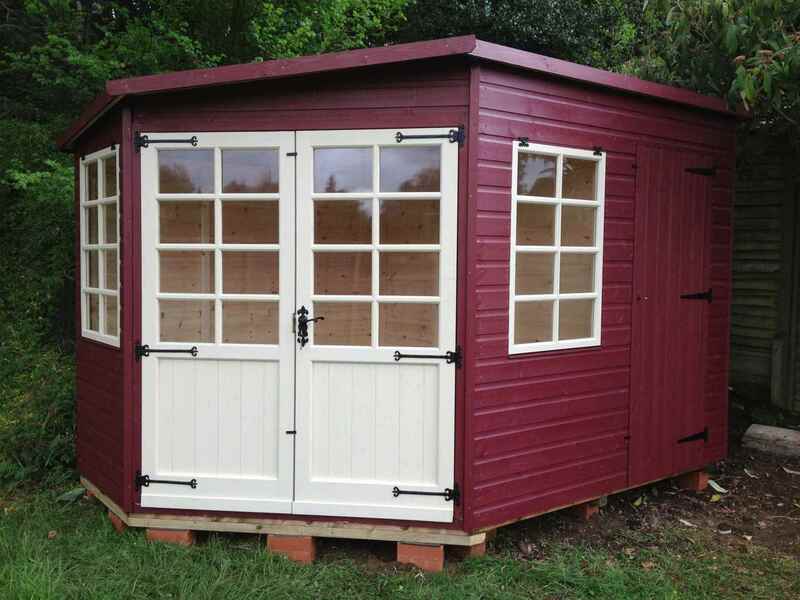 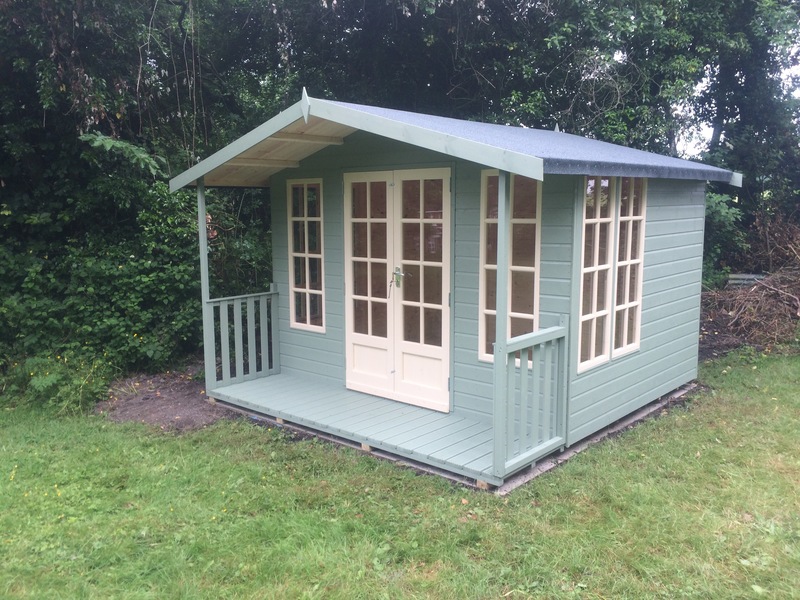 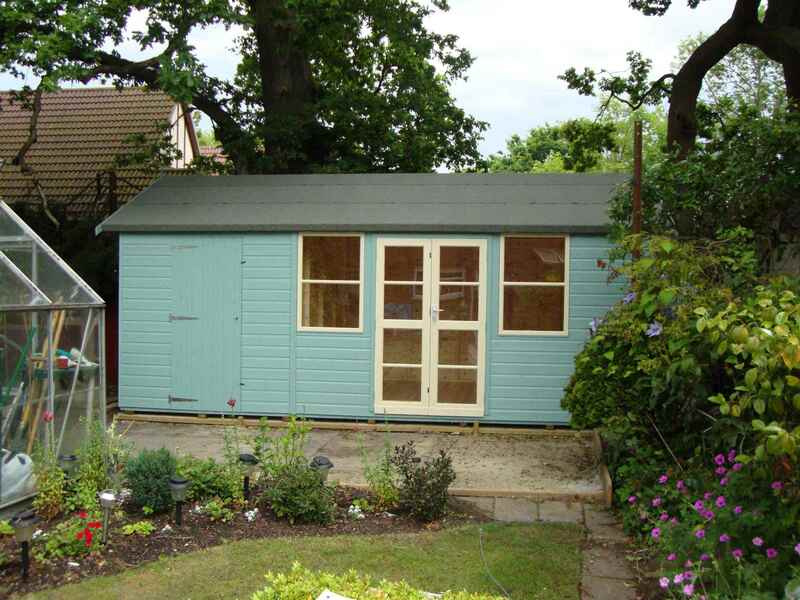 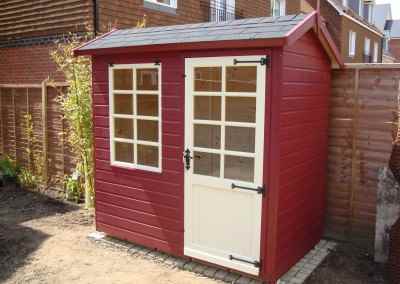 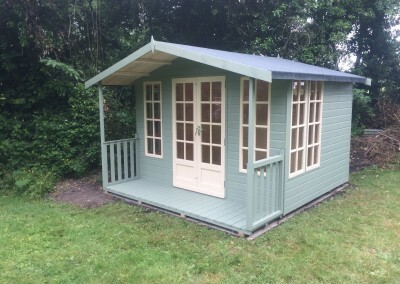 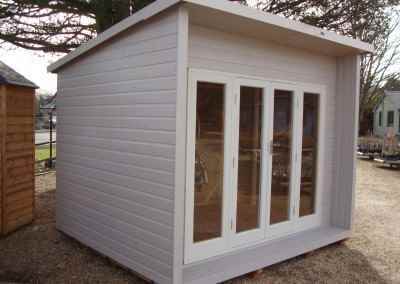 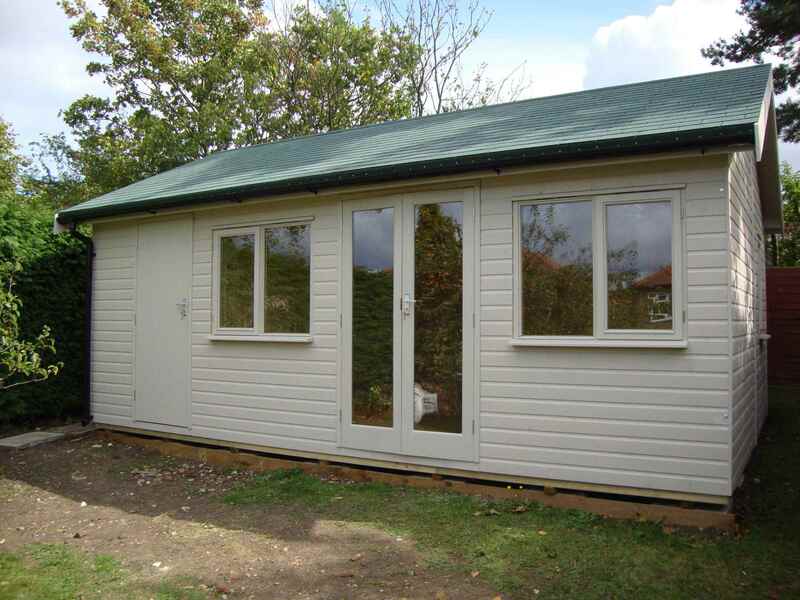 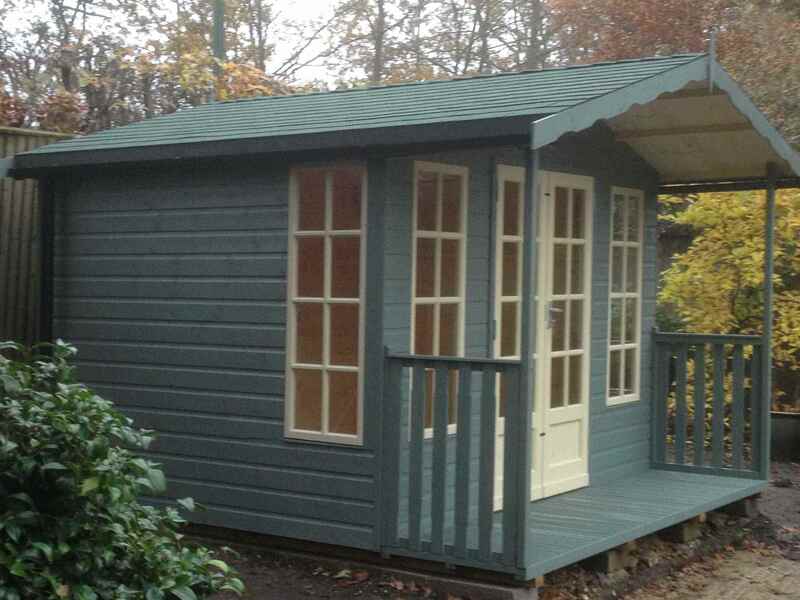 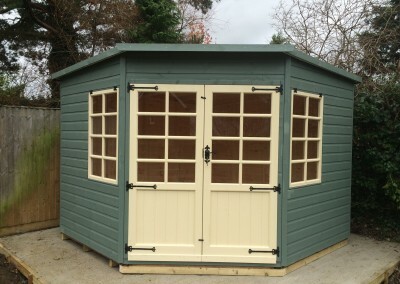 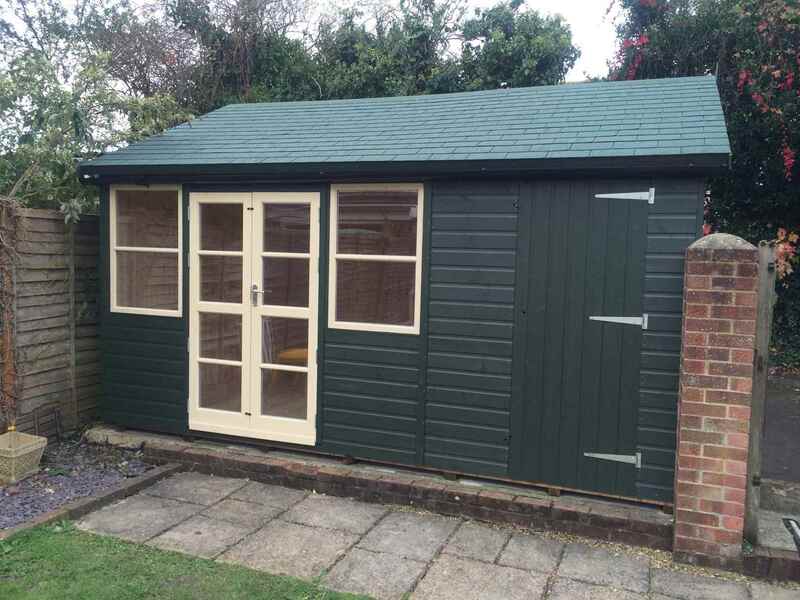 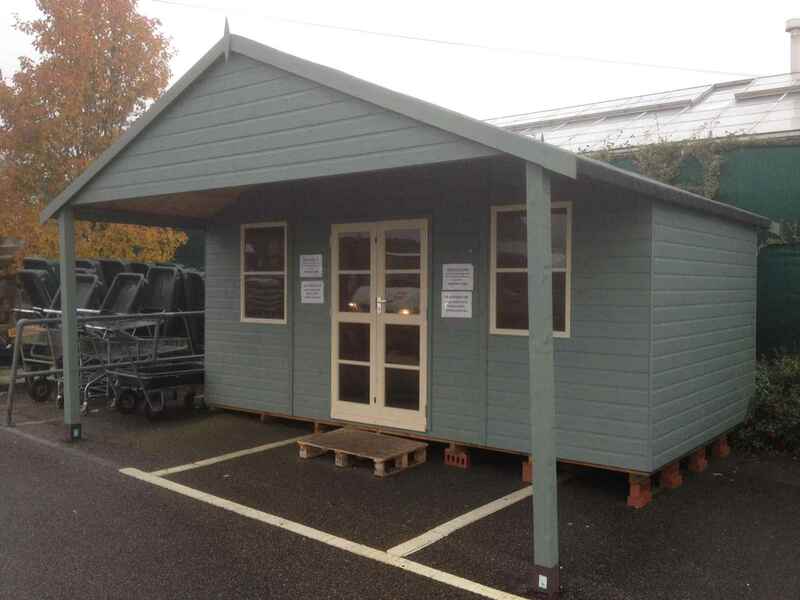 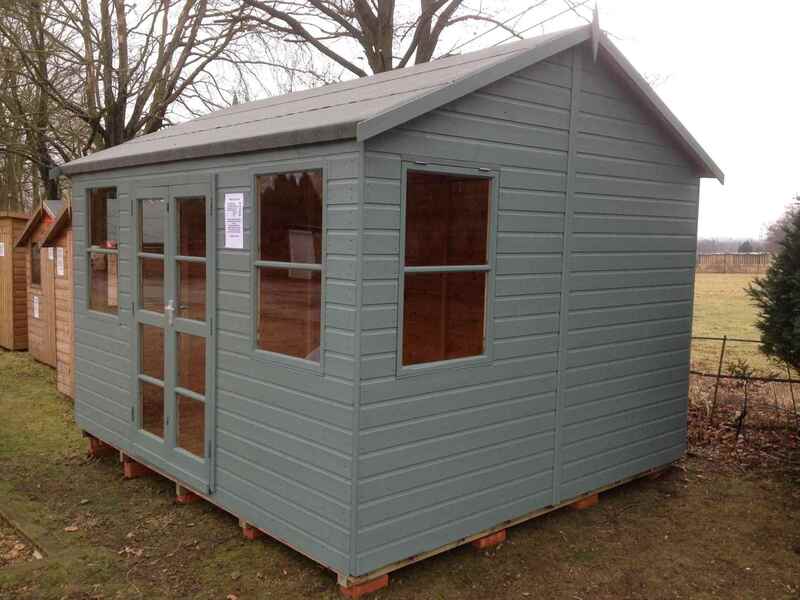 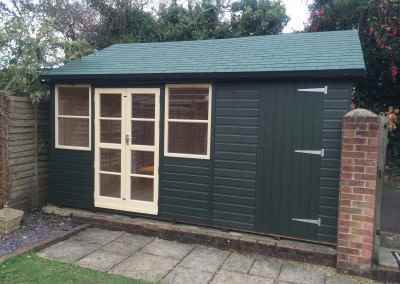 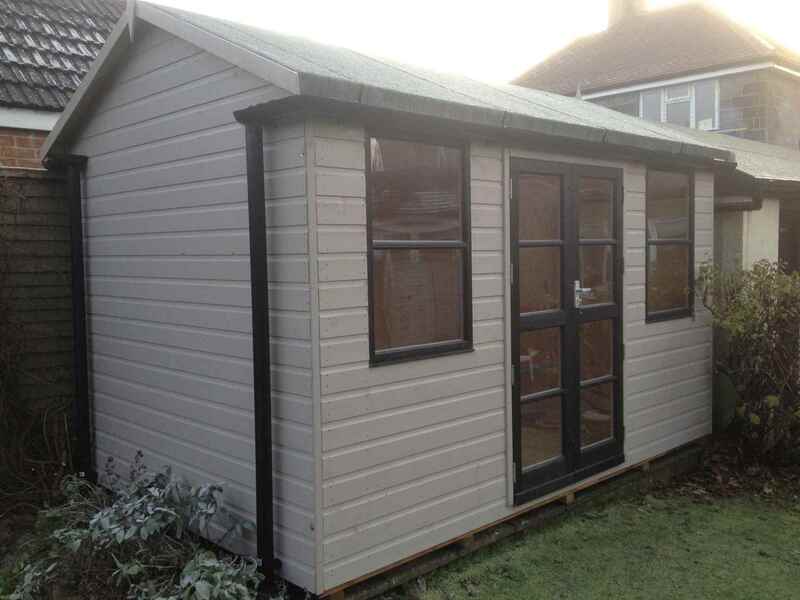 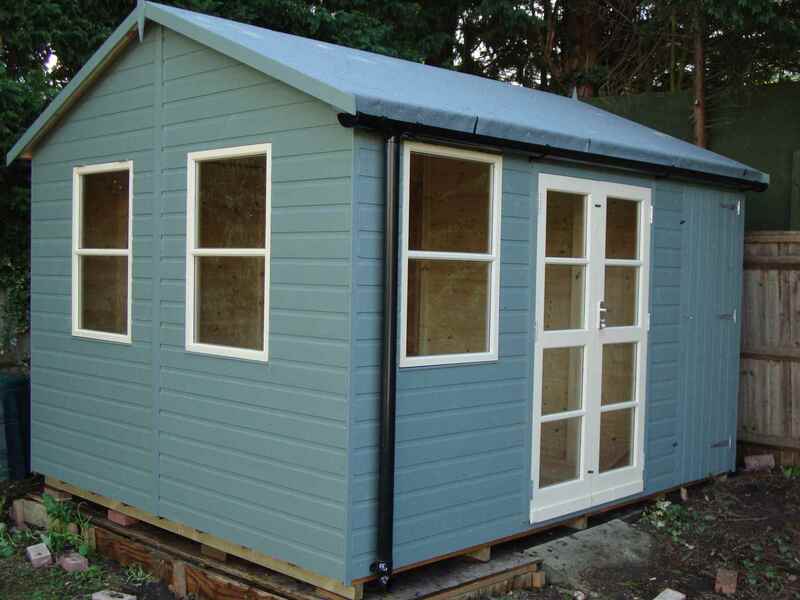 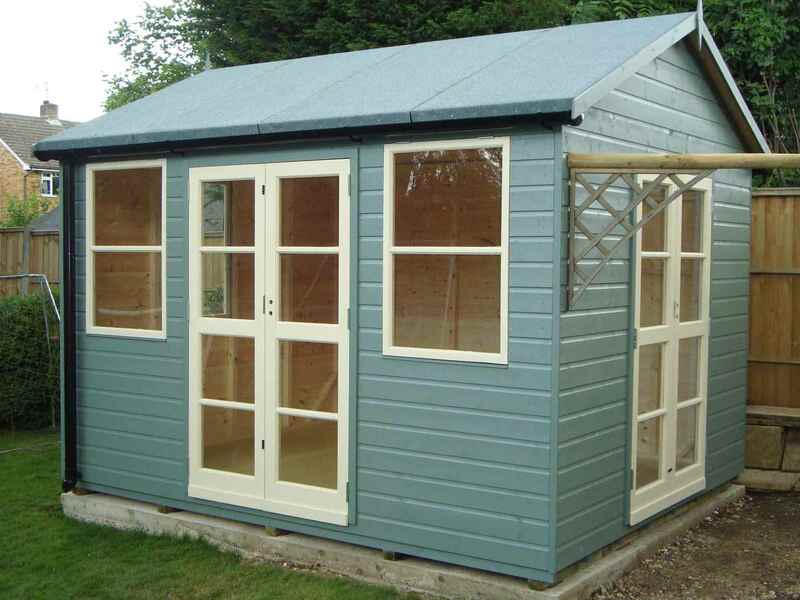 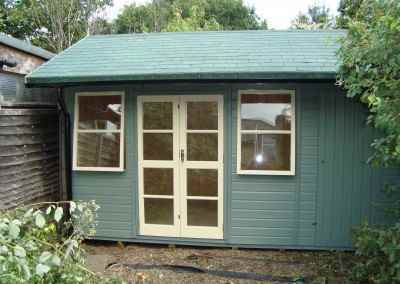 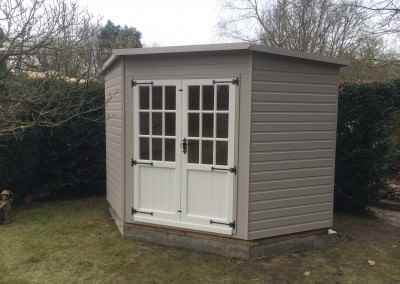 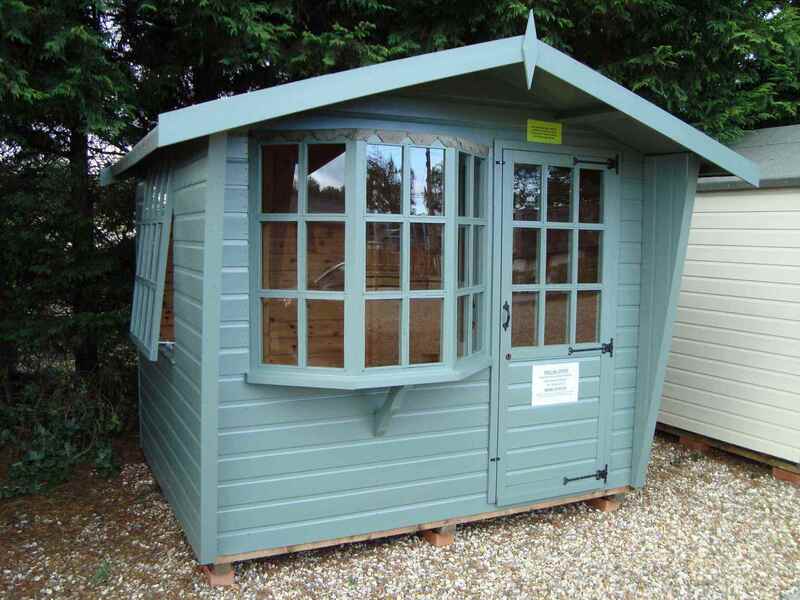 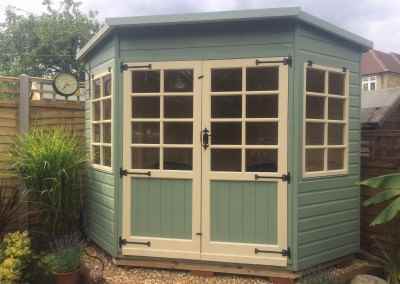 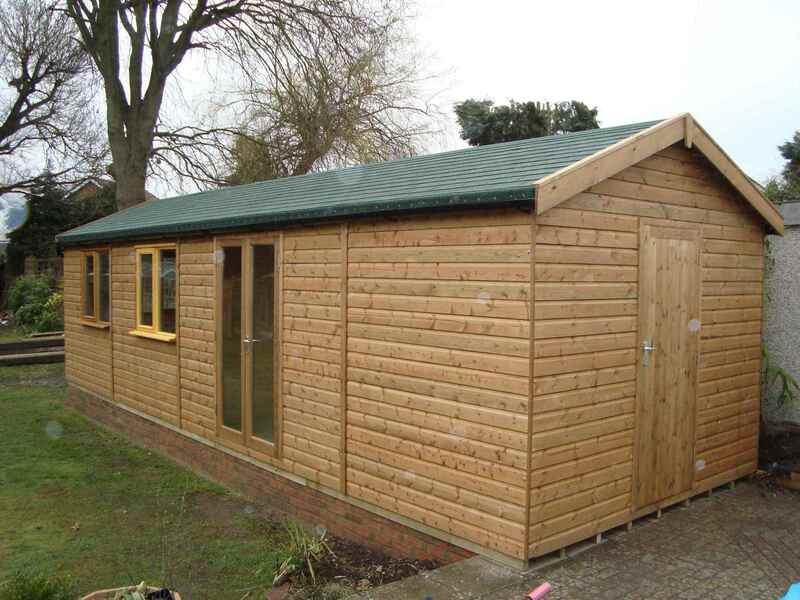 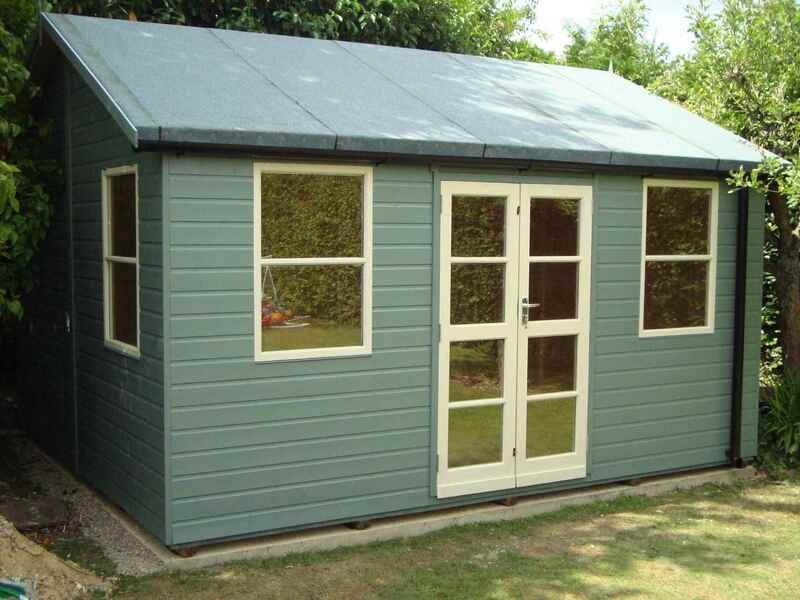 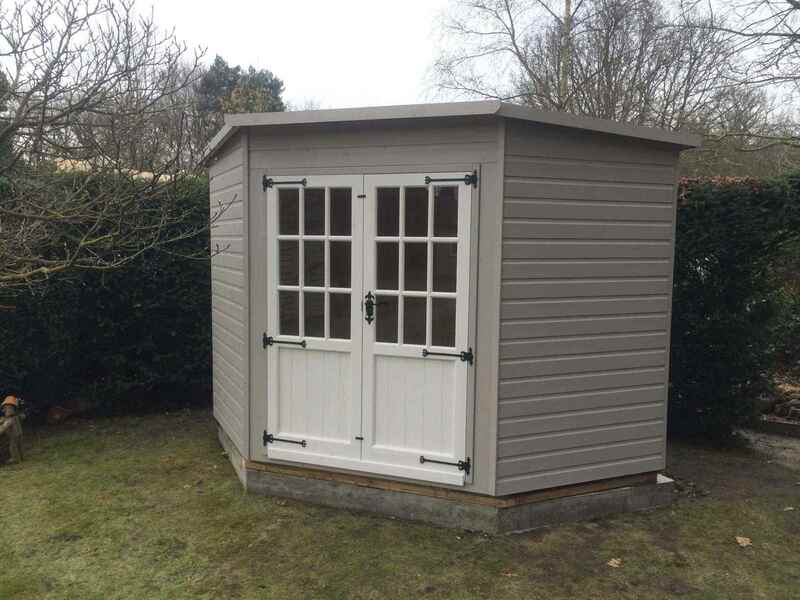 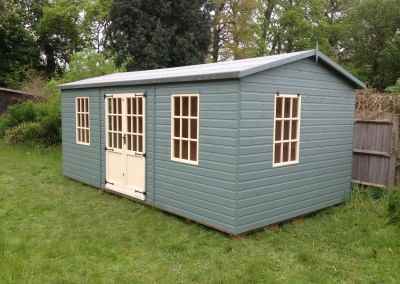 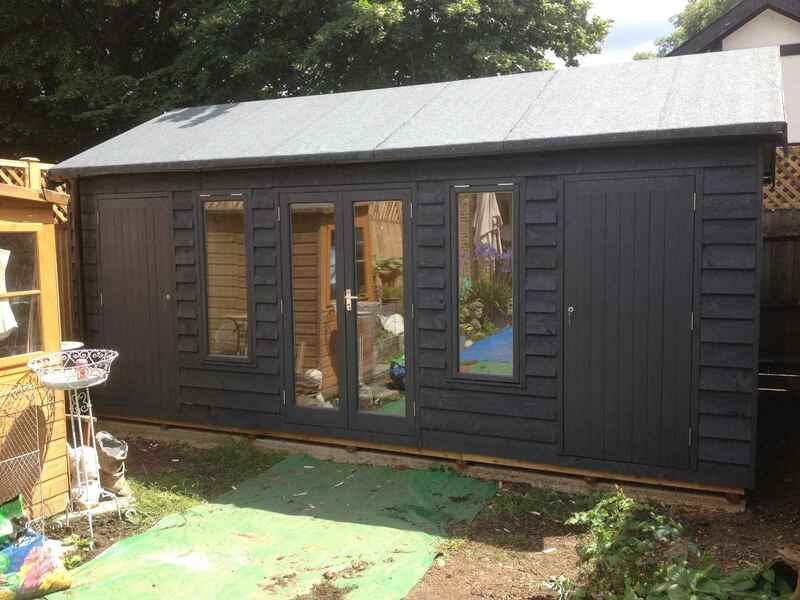 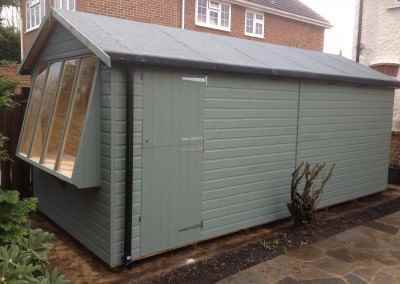 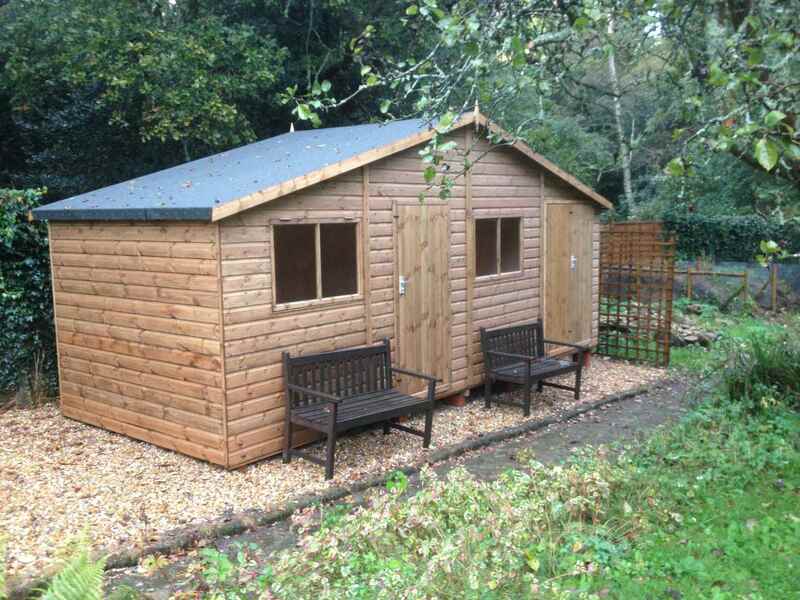 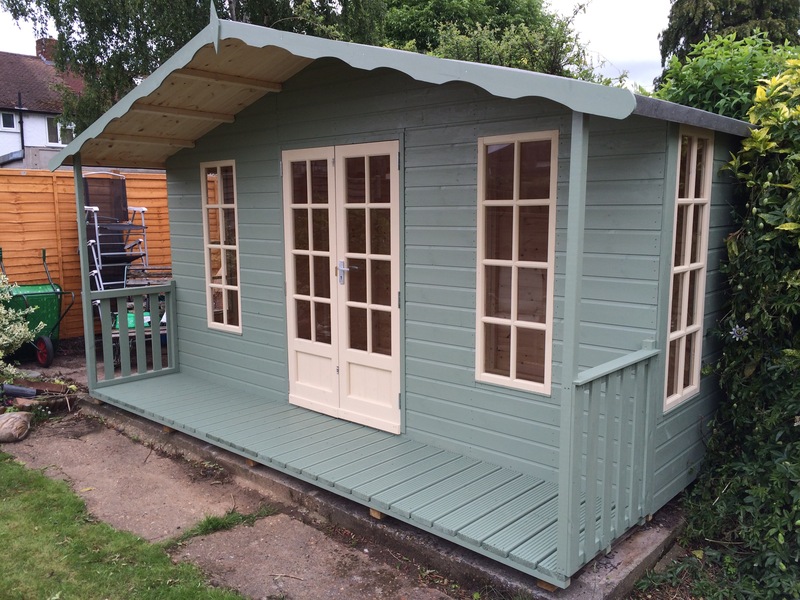 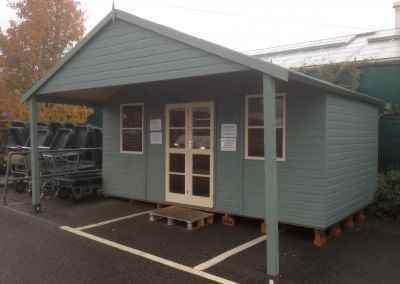 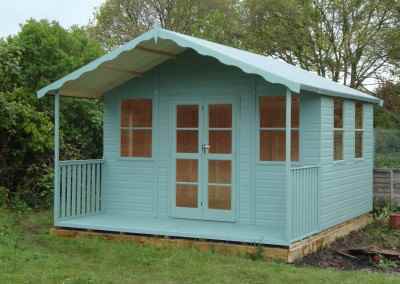 Deluxe Pent 14×5 with Frensham Doors, Tilford Windows, Guttering, Open Storage Area and Painted Finish. 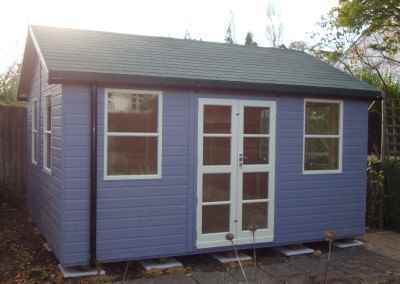 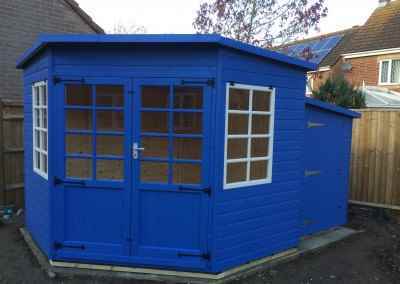 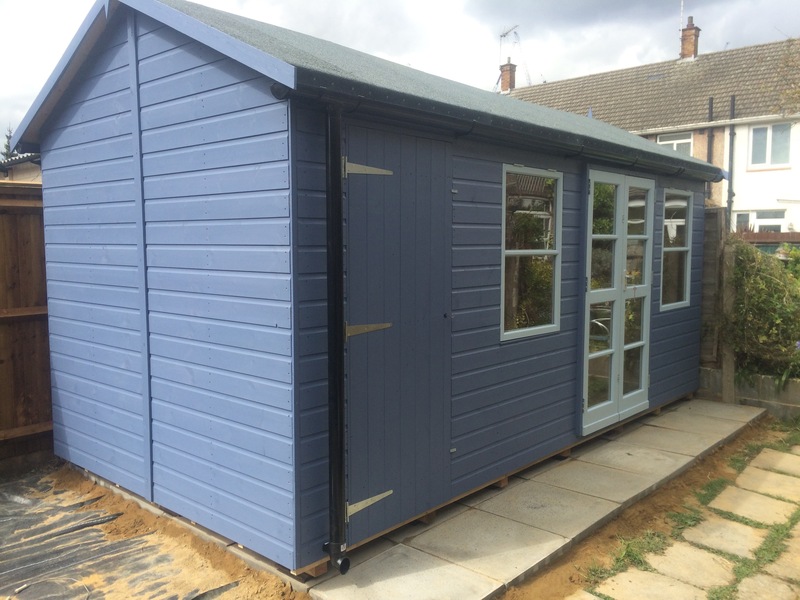 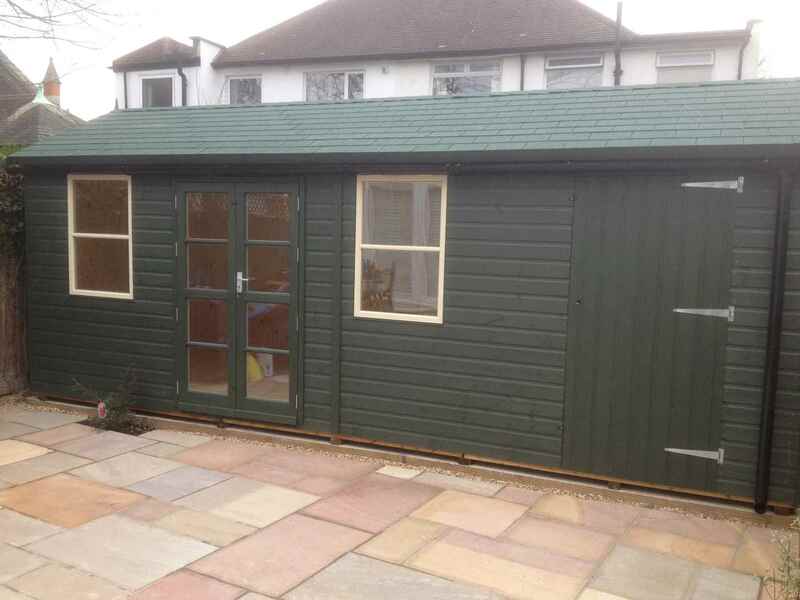 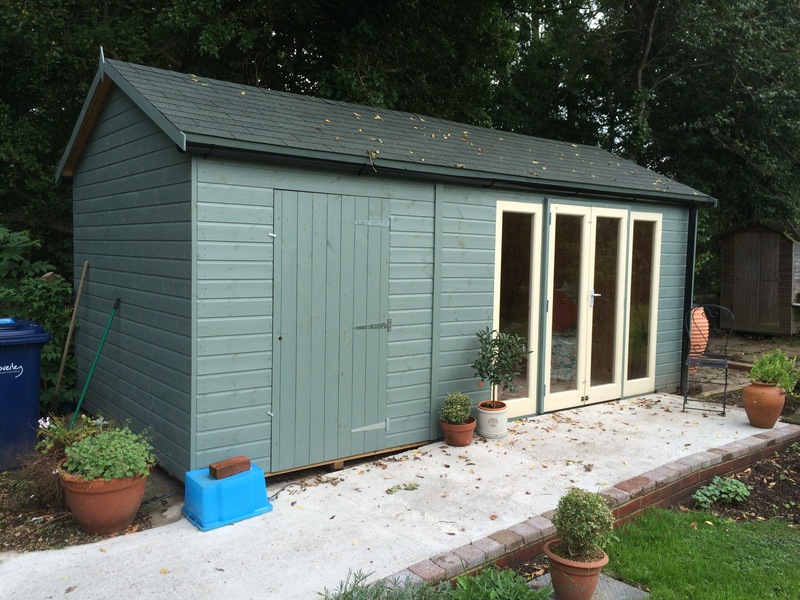 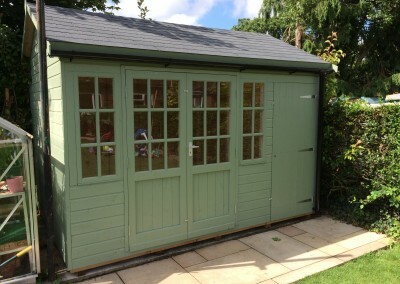 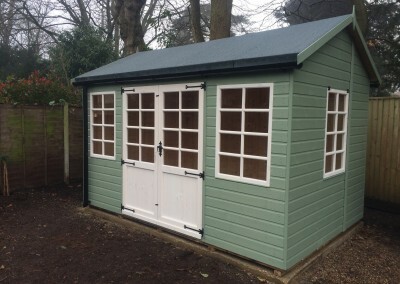 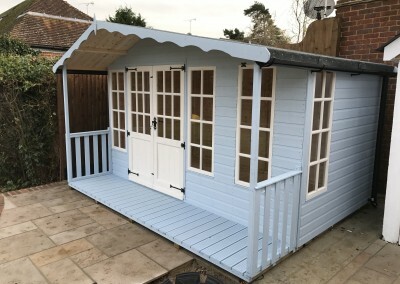 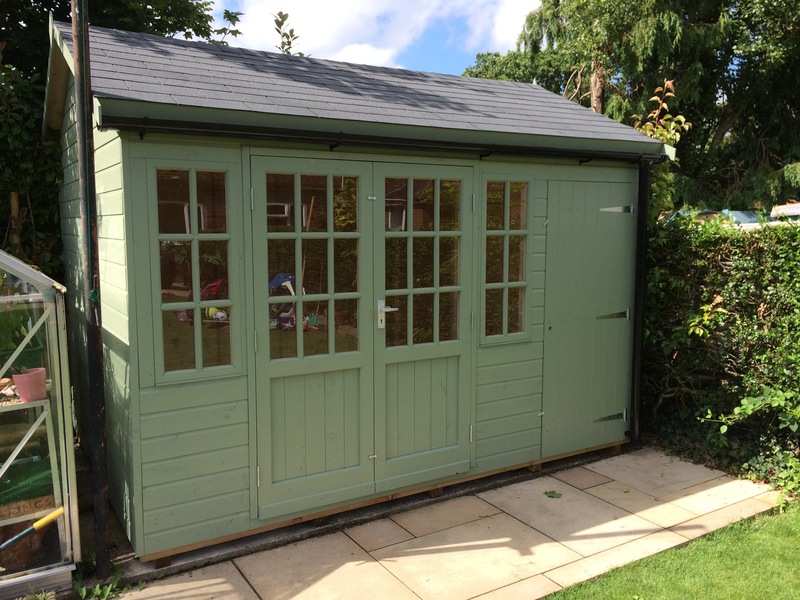 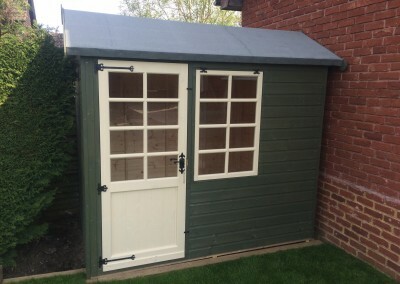 Solar 8×18 with Apex Roof, Guttering, Separate Shed Compartment and Painted Finish. 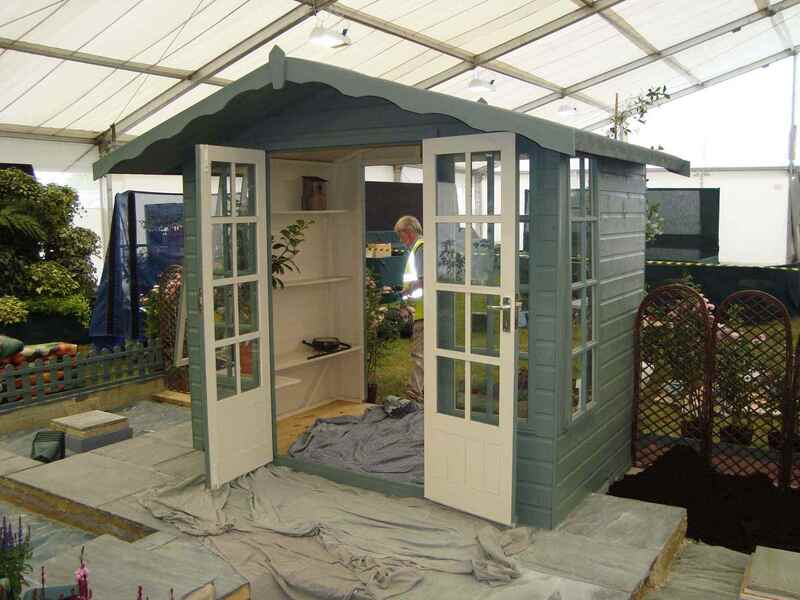 Petersham 8×5, Shades Finish on display at The Hampton Court Flower Show. 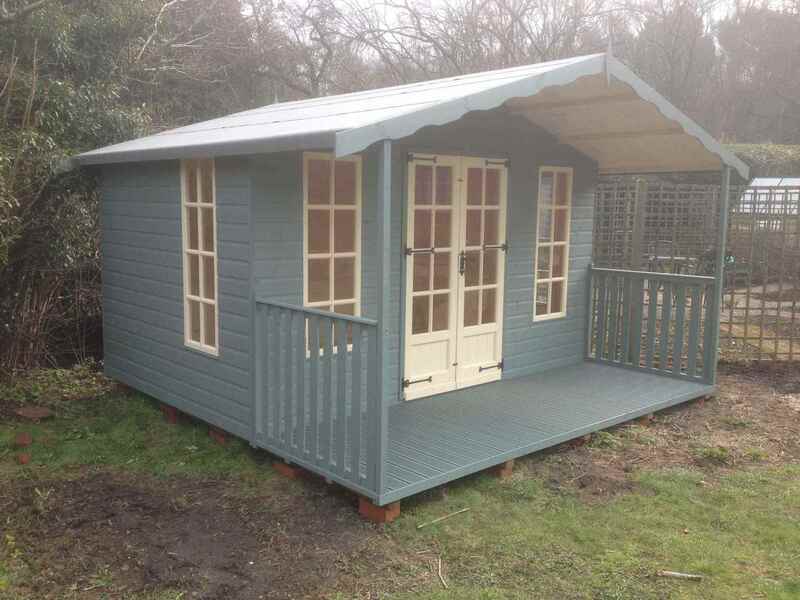 Petersham 8×6 with Painted Finish. 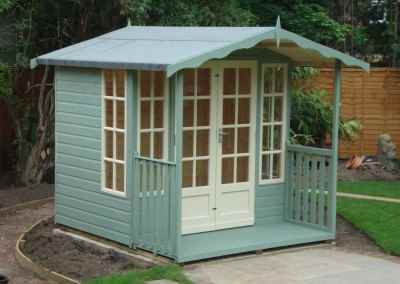 Petersham 8×6, 2’6 Verandah, Shades Finish. 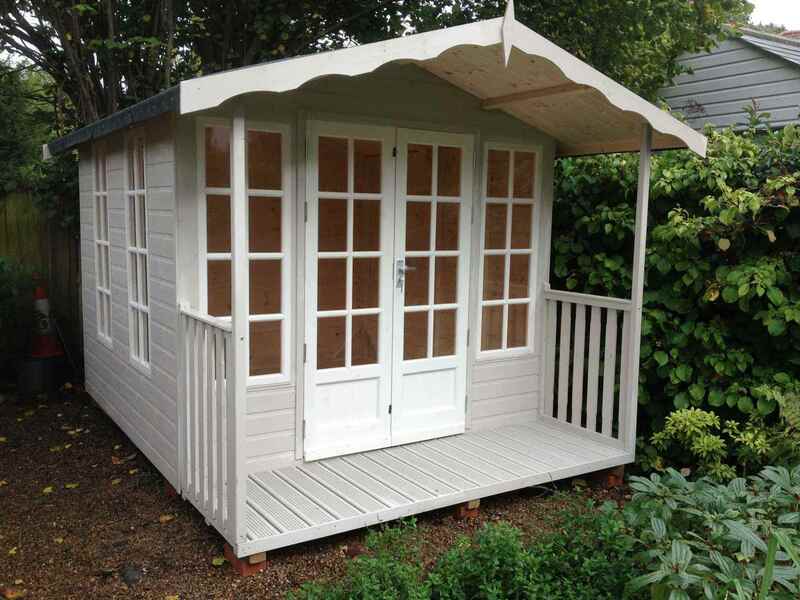 Petersham 8×7, 2’6 Verandah, Shades Finish. 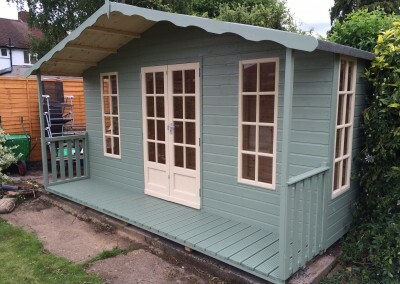 Petersham 8×10 with Painted Finish. 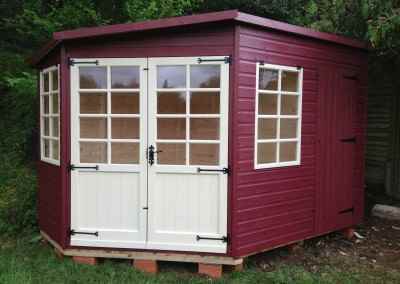 Petersham 8×10, Doors and Windows Both Ends, Old English Fittings, Shades Finish. 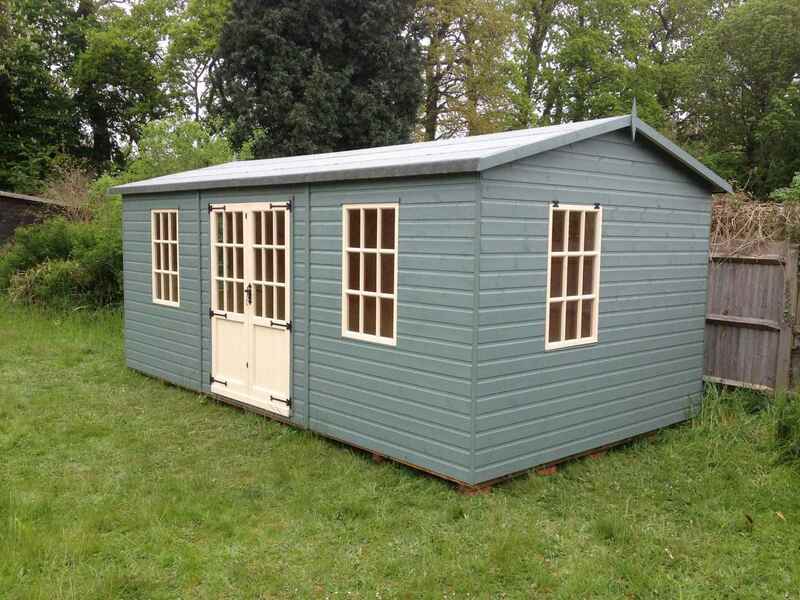 Petersham 8×10, T&Gv Lined and Insulated. 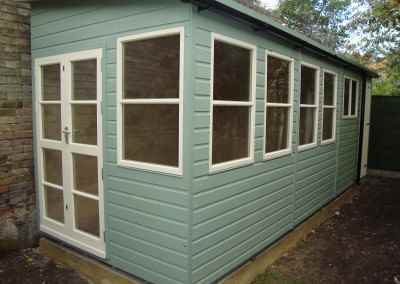 Petersham 8×12, 2’6 Verandah, Both Windows on Same Side, Shades Finish. 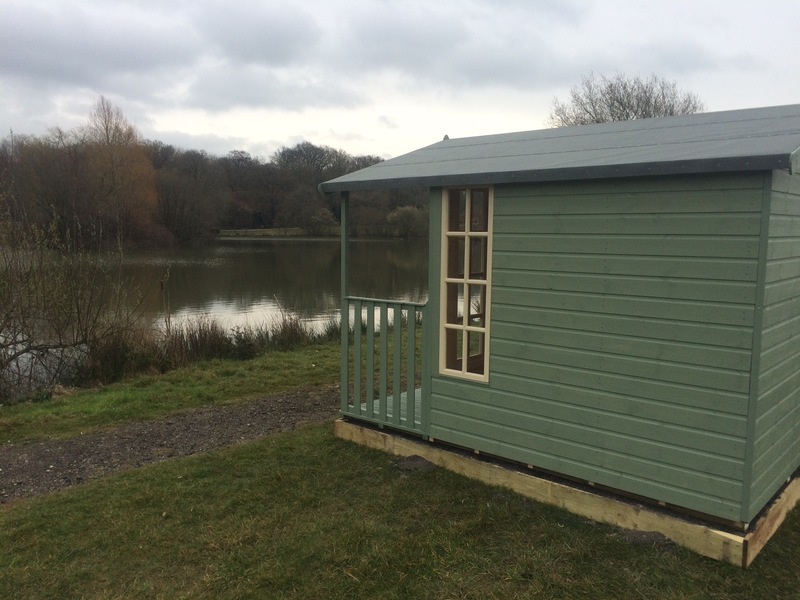 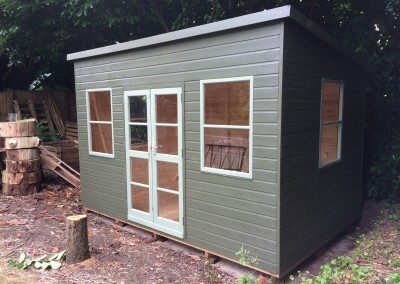 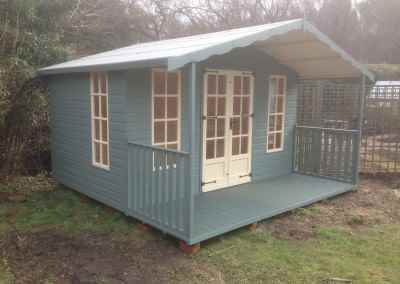 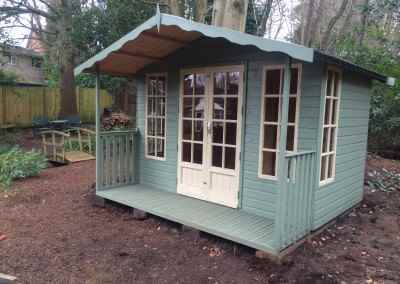 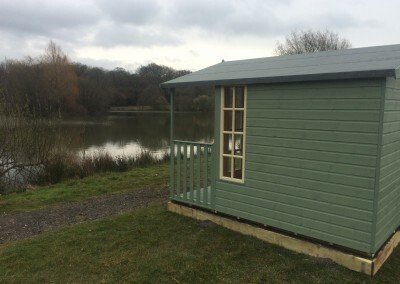 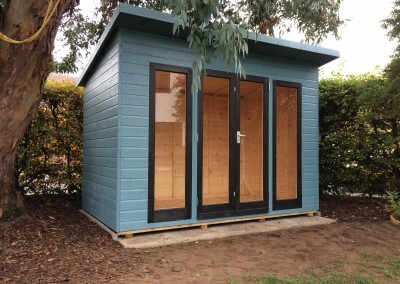 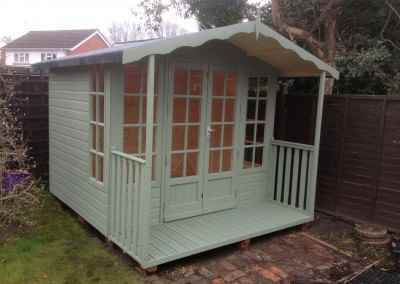 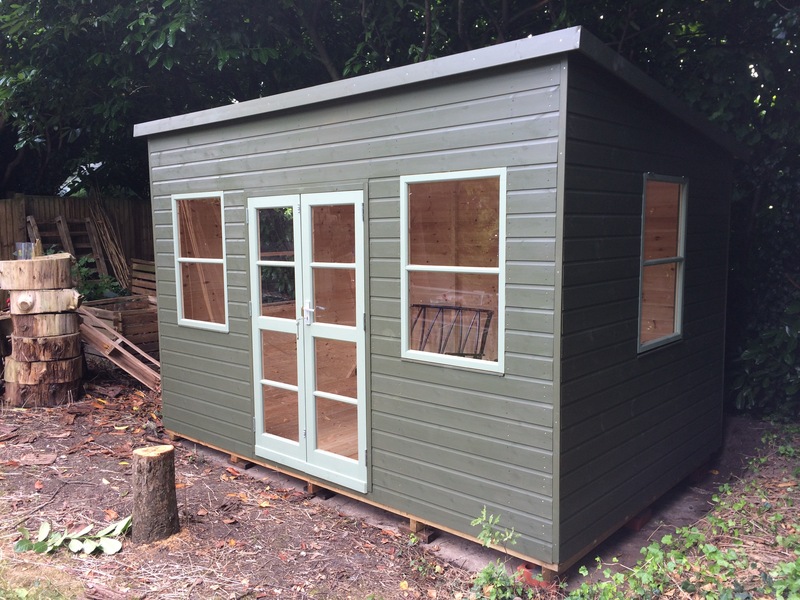 Petersham 9×6 with T&Gv Lining and Insulation and Painted Finish. 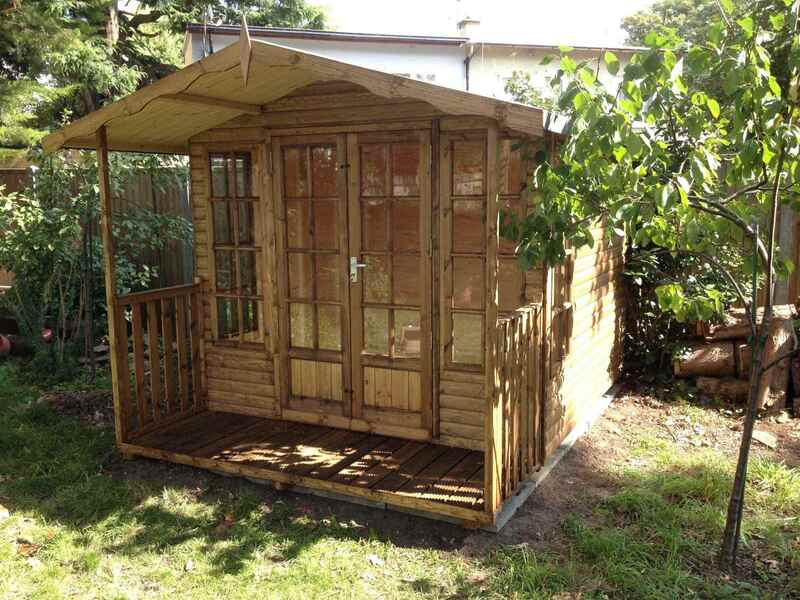 Petersham 10×6 plus 2’6_ Verandah. 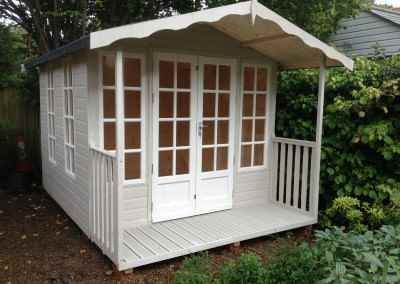 Petersham 10×7, 2’6 Verandah, Shades Finish. 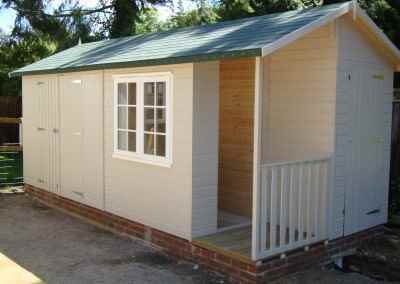 Petersham 10×8 plus 2’6_ Verandah. 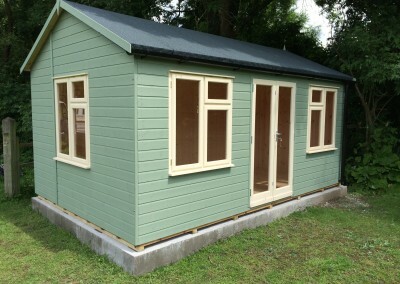 Green Tiled roof, Guttering & Painted Finish. 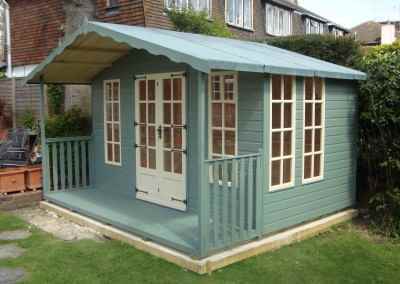 Petersham 10×8, 2’6 Verandah, Shades Finish. Petersham 10×10, Gutter & Downpipes, Both Windows on Same Side, Shades Finish. 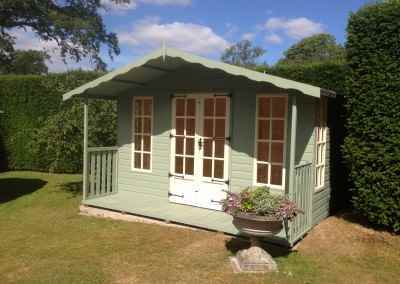 Petersham 12×8, 2’6 Verandah, Both Windows on Same Side, Heavy Torch-On Felt, Old English Fittings, Shades Finish. 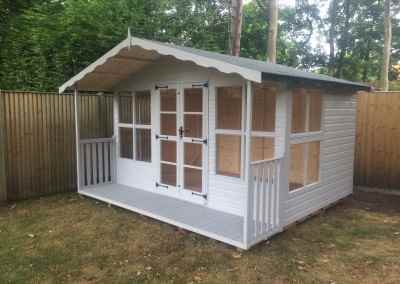 Petersham 12×10, 4′ Verandah, Shades Finish. 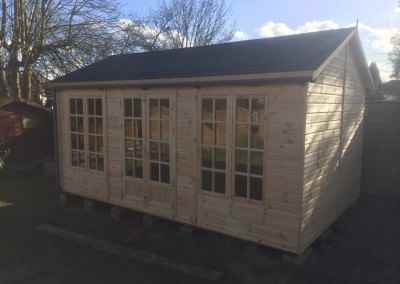 Petersham 14×8, All Windows in Front Wall, Heavy Torch-On Felt. 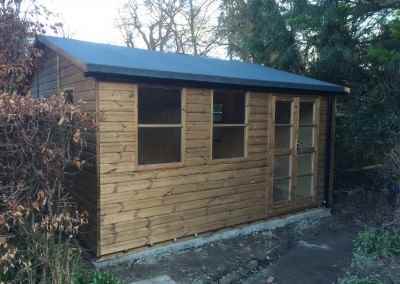 Ascot 10×7 with T&Gv Lining and Insulation. 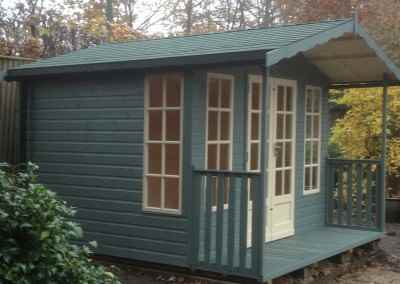 Ascot 10×8, Alternative Lay-Out, Shades Finish. 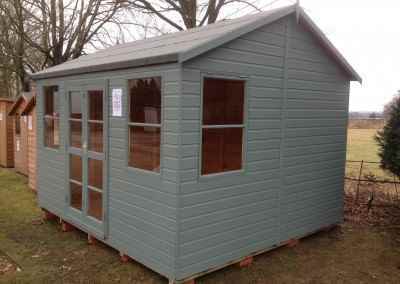 Tilford Corner House 7×7 with Painted Finish. 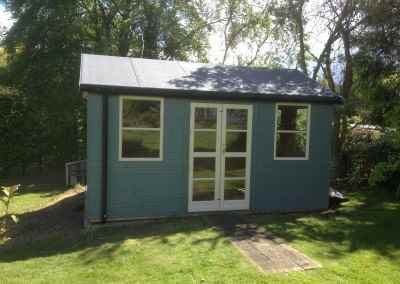 Tilford Corner House 8×8 with 9 Pane Doors and No Windows. Tilford, Bespoke Odd Size to Suit Customers Garden. 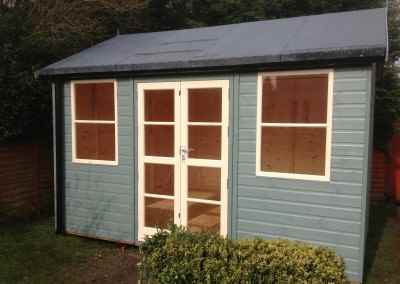 Windsor 12×10, 2 Pairs of Doors. 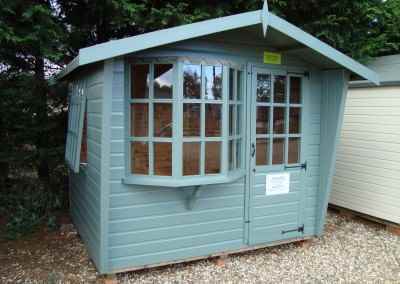 Windsor 14×10 with Bespoke Doors and Windows and Painted Finish.